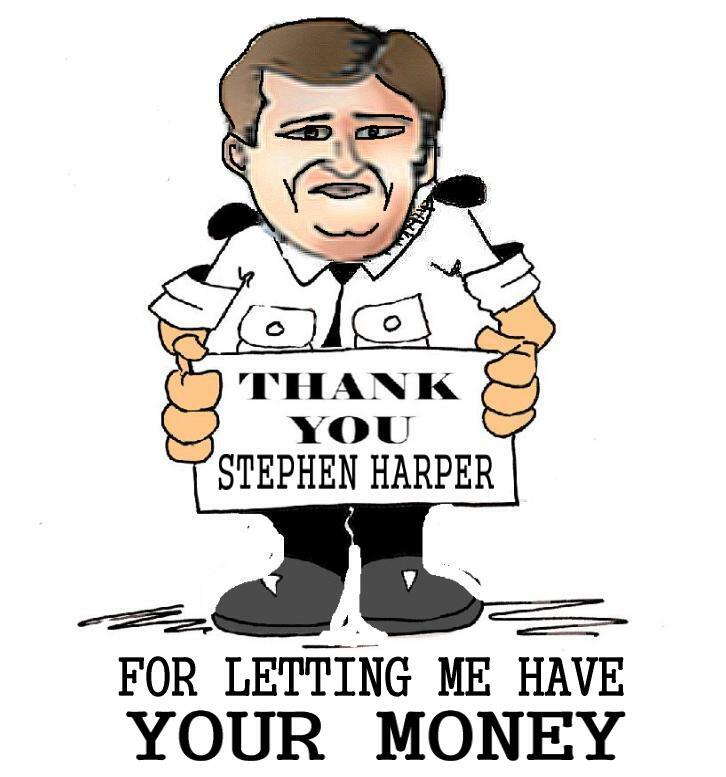 Prime Minister Stephen Harper said he will to do the public’s business in a transparent and accountable way, as he rode to power in 2006 on a wave of promises to govern differently from the entitlement-minded Liberals who’d worn out their welcome with Canadians over the ad scam fiasco but what happened next? 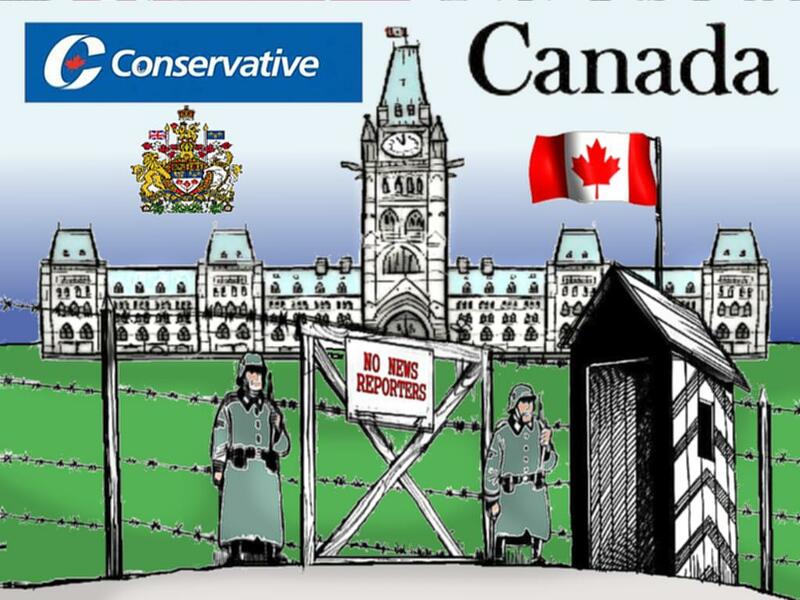 But with Mr. Harper’s second-term Conservative government going even further than its predecessors to erect an opaque barrier between itself and citizens employing a “communications stranglehold” on the bureaucracy clearly to suppress accountability and transparency rather. 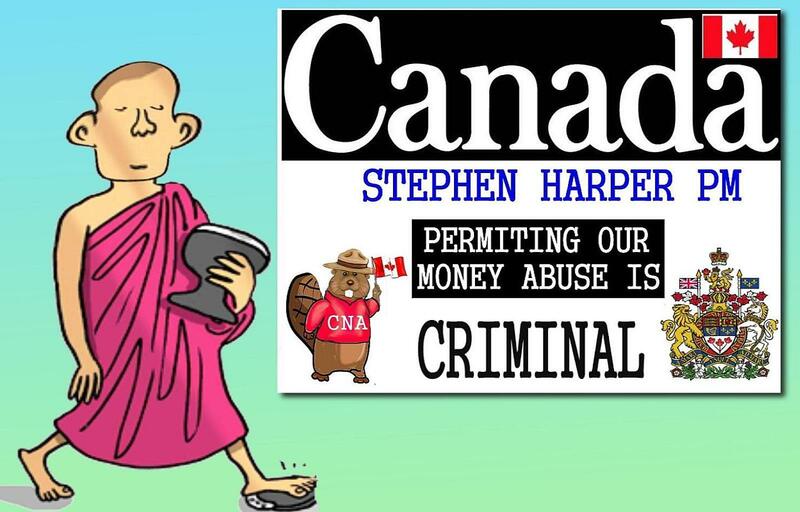 It’s no wonder that groups that range from the Canadian Newspaper Association to the Canadian Taxpayers Federation to the Freedom of Information and Privacy Association take now serious issue with Harper and his cronies. 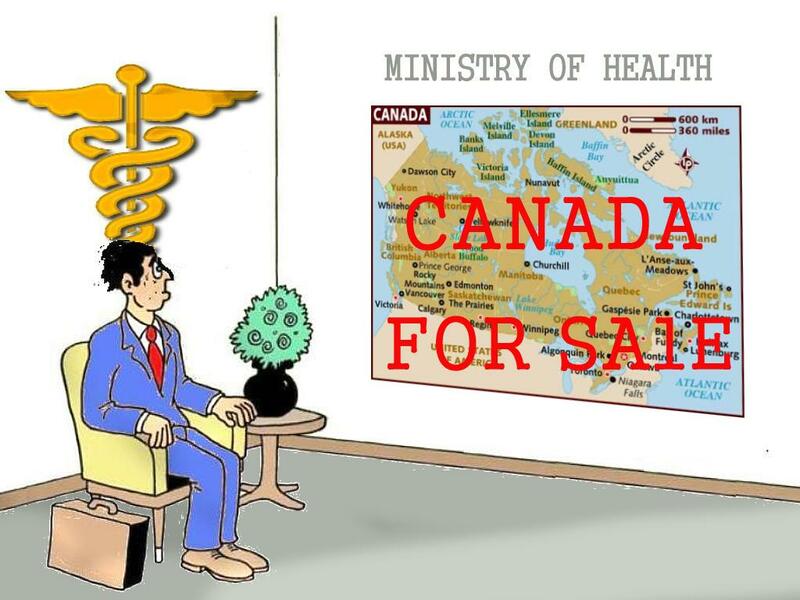 Opposition parties rightfully now also accuse the Conservatives of spending more time and money on partisan stimulus advertising than informing Canadians about H1N1 or ensuring a smooth, adequate vaccine supply. Awkward as well as revealing is the fact that the federal payroll is growing many times faster than inflation to try to compensate for the clearly inadequate, pretentious civil and public servants now as well. Following a decade-long unacceptable trend, the number of public employees grew even under the Conservatives last year by 4.5 per cent, or about 9,000 jobs. 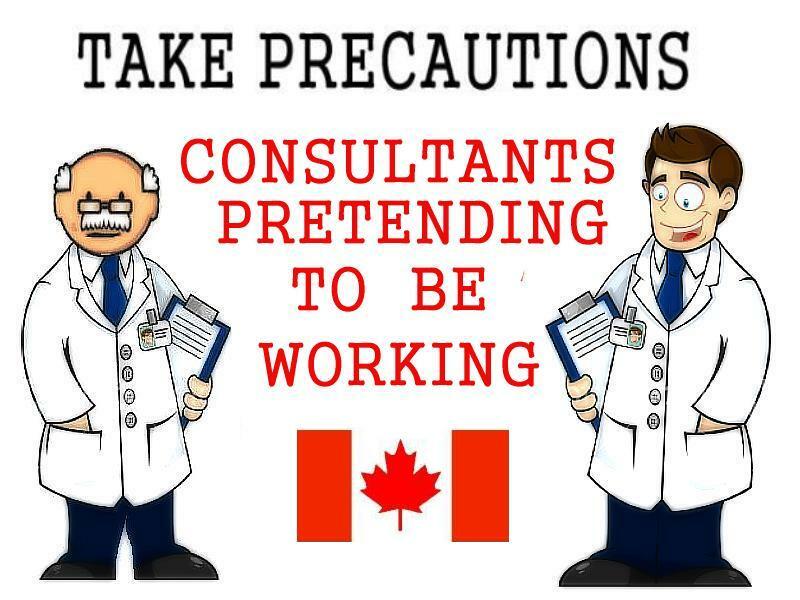 But it’s still also unacceptably evident too that this Conservative government and civil servants weren’t properly prepared for the fore known H1N1 flu even. 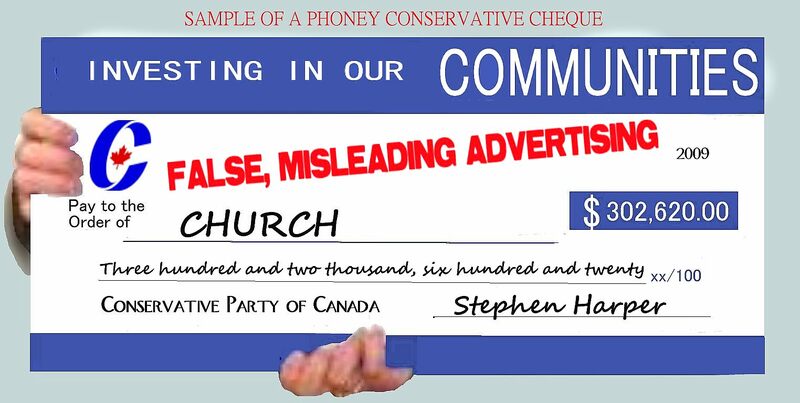 Still upset to the recent flack around Conservative MPs affixing the party logo to oversized government cheques for photo ops, many taxpayers are taking issue with Conservatives continuing unnecessary mail-out flyers too. All a clear indications of a rather really bad Conservative management. Not what we had been let to believe we would have now instead. The Conservative reality stinks. “Recession still rippling through businesses.” This Conservative government is far better at announcing programs than in following them up and ensuring valid results.. cause they are bad, bad managers. Doing one’s best and falling is never good enough.. real competency is always needed still. I HAVE CLEARLY WRITTEN TO THE LAST FEDERAL CABINET MINISTER THAT I NO LONGER RIGHTFULLY BELIEVE ANYTHING A FEDERAL CABINET MINISTER SAYS AND WRITES, FOR TO ME REAL ACTIONS WILL SPEAK LOUDER OVER WORDS.. Reality! 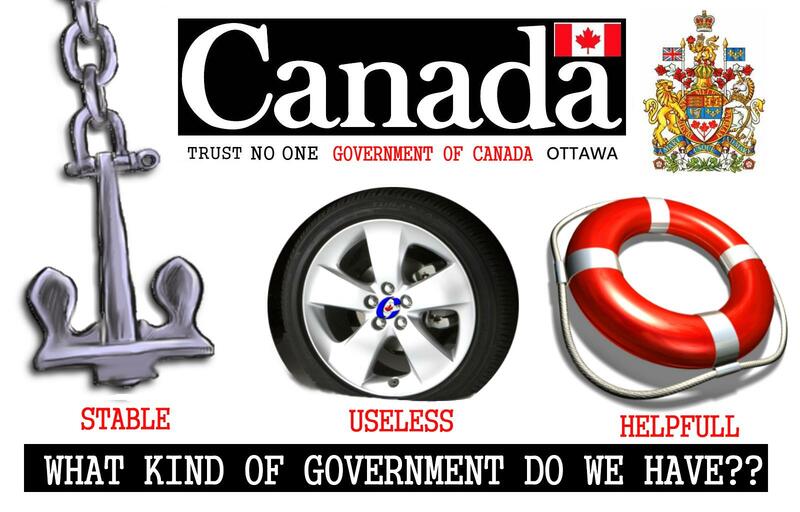 What real governing skills does it take for anyone merely to spend the taxpayers money? None! But now also making sure it is properly spend and not stolen firstly still requires valid managerial skills. The civil and public servants remain remarkably unruffled, even as Ottawa and the provinces rack up close to $100-billion in new debt this year also. 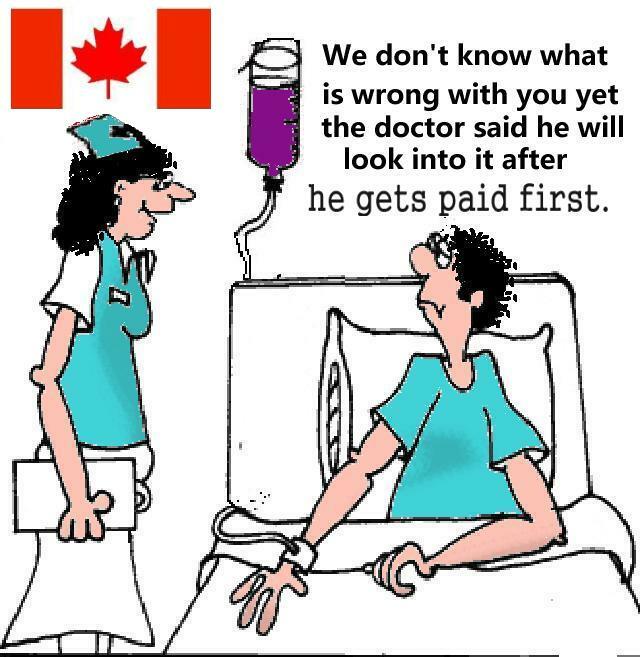 For the Public and civil servants in Ottawa but also those in Ontario remember their raises profoundly but not rather more the poor work they too often do . For most of them, it was the raise they alone also do think still they deserve the raise. If you’re a Stephen Harper fan or Dalton McGuinty government , yes you’ve seen them given more money to public employees at a time of deflation, fear, market panic and widespread carnage in the private sector Most of Ottawa’s Ontario’s budget winds up in the hands of municipalities, school boards and hospitals and health authorities, which makes it harder to track who’s getting it too and to know now know much of it was rather abused too.. 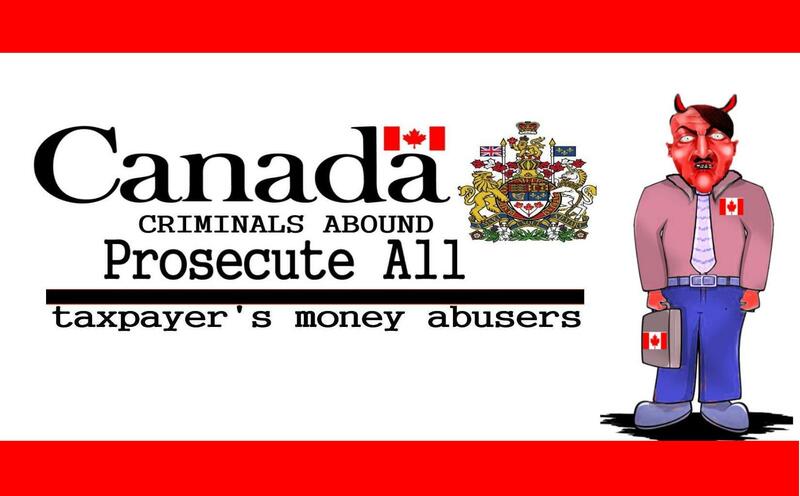 Anyone reading the news lately has heard not just about the too often useless civil and public servants but also about the mafia connections on porkjects that raises the taxpayers costs up to 40 percent now as well even in Quebec. We all already could be facing much more taxes, severe service cuts as a direct result while the federal and provincial governments do brace some more for a “long, slow grind” to economic recovery that included already unacceptable government wastes, high deficits that even will take years to overcome. All, all of this is unacceptable! Rather also now what real effort has been made to work with the private sector to stimulate more valid, effective new job creations programs, that just do not benefit the often corrupt, incompetent municipalities and related contractors? The Conservative government’s economic stimulus spending spree that is pouring billions of tax dollars into road construction projects and infrastructure is just not good enough.. Real employment, and our actual economic outputs are the much better, practical gauge of Canada’s, our present well-being. 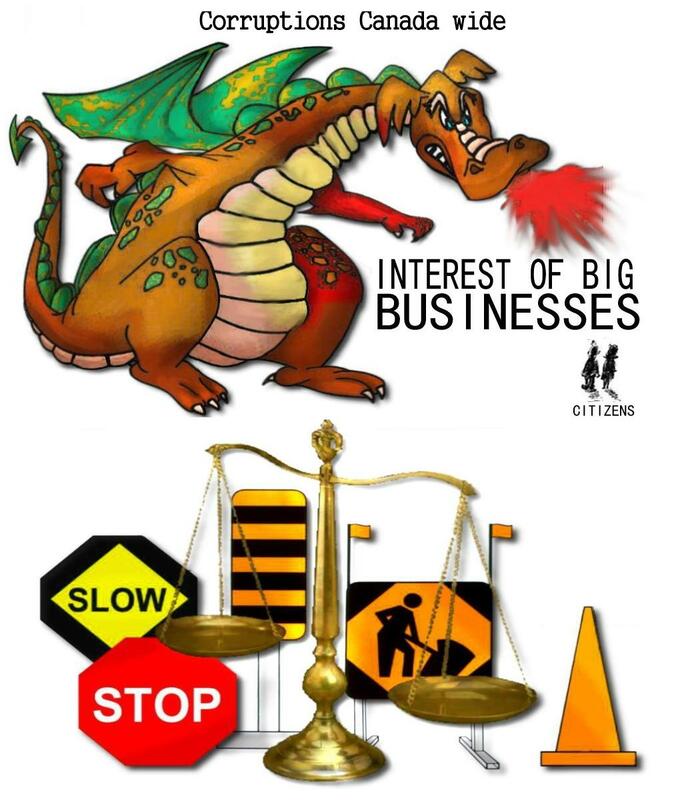 What about having a valid, real Federal economic development, job creation programs instead? 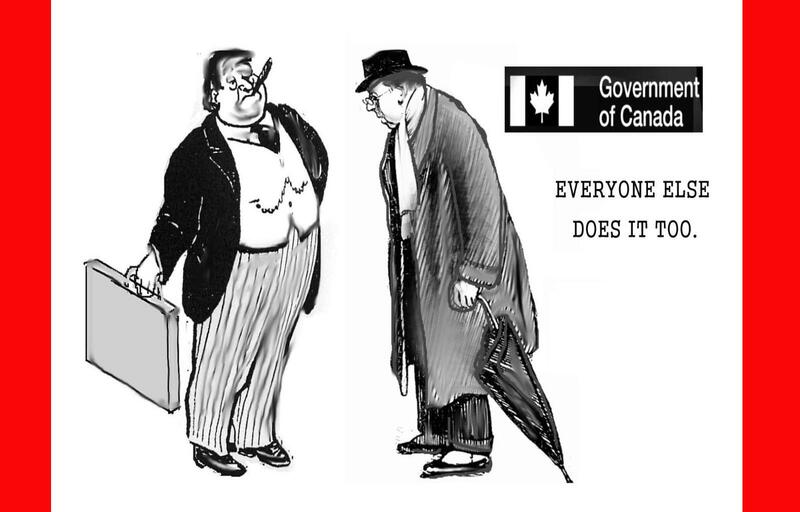 for It is not surprising that the same Civil servants under the federal Liberal government had suggested next again a federal job creation program that would provide cash stimulant firstly now to their fellow buddies, the civil and public servants at the provincial , municipal levels, but what was rather surprising that the Conservative politicians had gone along with it. 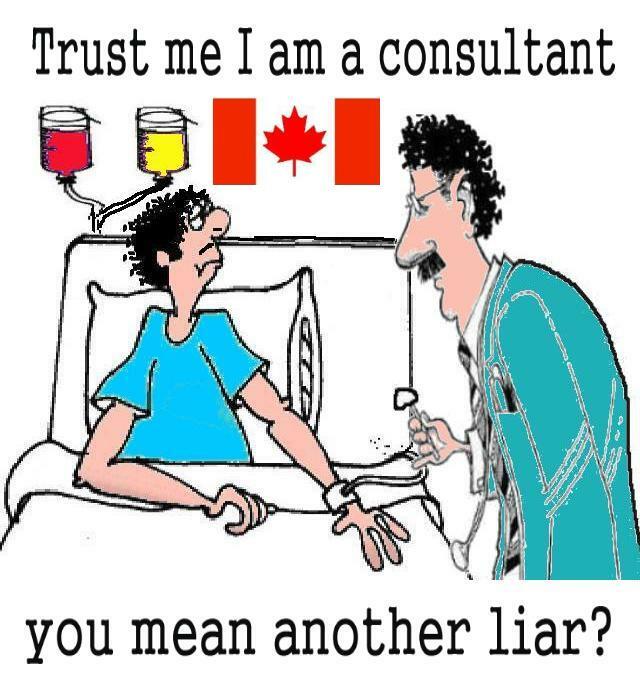 And it is also an undeniable fact now that too many Politicians in Canada, both Members of the provincial legislatures, and members of parliament, do lie, they make false claims that they the servants of the people, they thus are mainly looking after the needs, concerns of the citizens of Canada but mainly instead wrongfully do now use tax payer’s money, do use governmental resources and personnel to distribute unsolicited material to others to promote firstly their own re-ELECTION and TO PROMOTE their own political party as we clearly all have seen the New Conservative Ministers wrongfully also now doing OFTEN NOW as well. Our real employment, and our actual economic outputs are the much better, practical gauge of Canada’s, our present well-being. 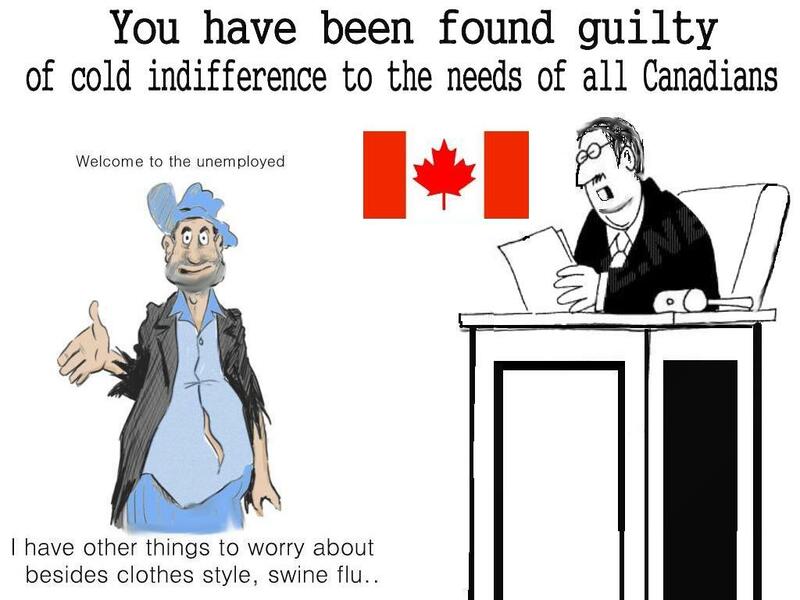 In reality to judge by the latest economic data out of Canada , this country is creating very few long term, well paying jobs, and even shows little recovery of economic growth but what else is new . 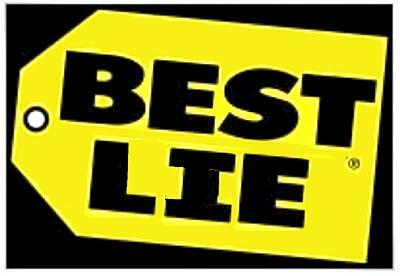 But to get elected and re-elected in politics, the liars know you have to lie, to tell the people what they want to hear still.. 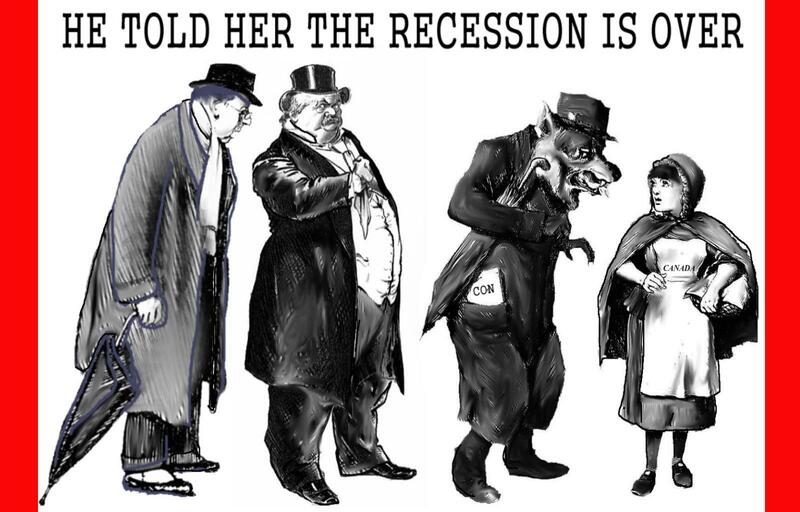 The incompetent economic analysts, the spin doctors, the false prophets, the Conservative cons do still abundantly abound in Canada during this major recession now still.. Now the Bank of Canada being itself Confident that the recession in Canada ended in the summer, the central bank last week raised its economic forecast for the July to September months. But its rosy prediction that the Canadian economy will grow at a 2-per-cent pace for the third quarter seems increasingly at odds with reality again. A monthly report from Statistics Canada, released Friday, showed that the gross domestic product, a measure of all goods and services produced by the economy, posted a decline of 0.1 per cent for August. That followed a flat result for July. All of it was unexpected and disappointing. What also the clearly false and bad analysts had projected, expected now this to be Canada’s turnaround quarter from recession to growth now seems fated to be again vanishing, very weakly evident. 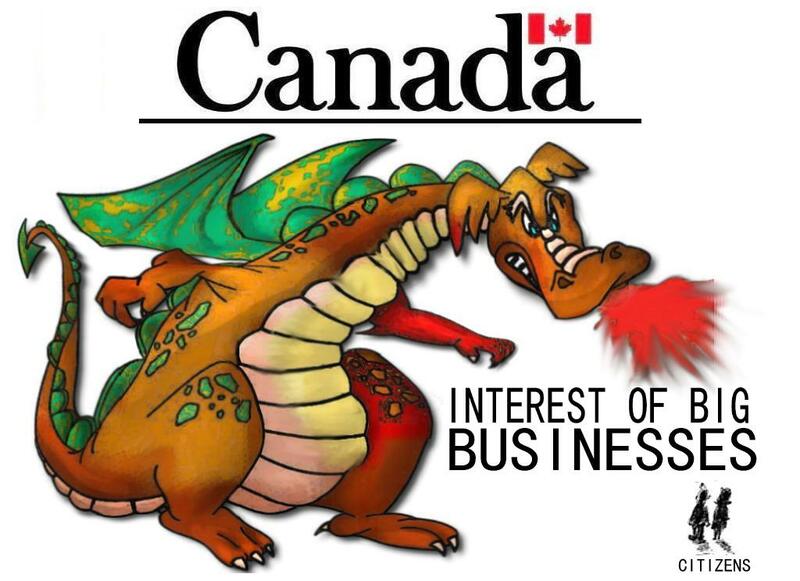 Canada, now also with a rising dollar and heavy dependence on the sickly auto sector, has seen our exports fall, and we see still the sluggishness in petroleum and mining. Manufacturing was also weak, down 0.7 per cent . A decline in manufacturing and wholesaling also led to a drop in the trucking industry. Over the coming months, however, the likely growth rate of Canada cannot be accurately predicted. 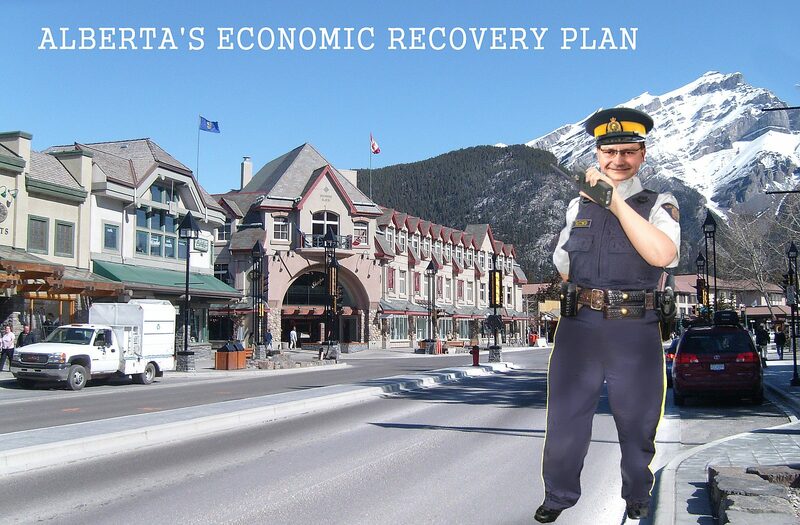 It’s all still a worrisome trend, Federal Finance Minister Jim Flaherty says he’s concerned that private sector isn’t doing enough to boost Canada’s economy, and Canada’s Finance Minister Flaherty now says any improvement in the economy so far is “fragile and tentative”. 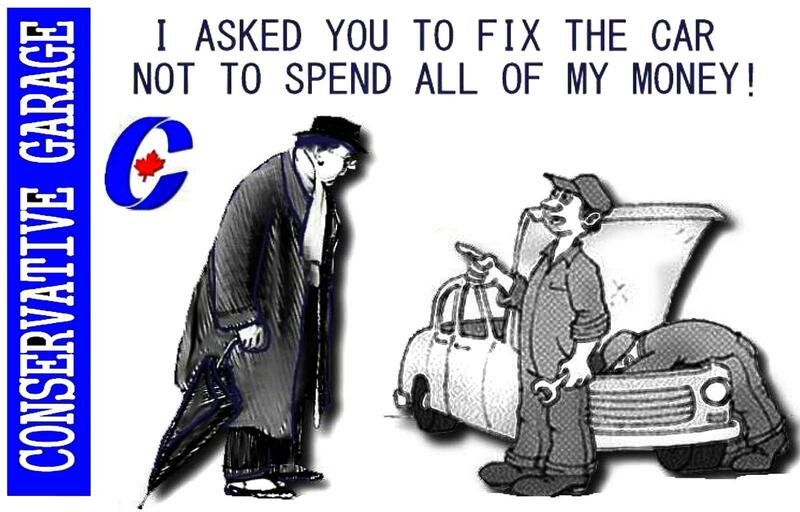 The Canadian economy is still in recession and needs tens of billions in stimulus spending during the next few years to recover, so the Conservatives continue to try to justify their giving more of our tax money to the Conservative ridings, and their friends, supporters.. 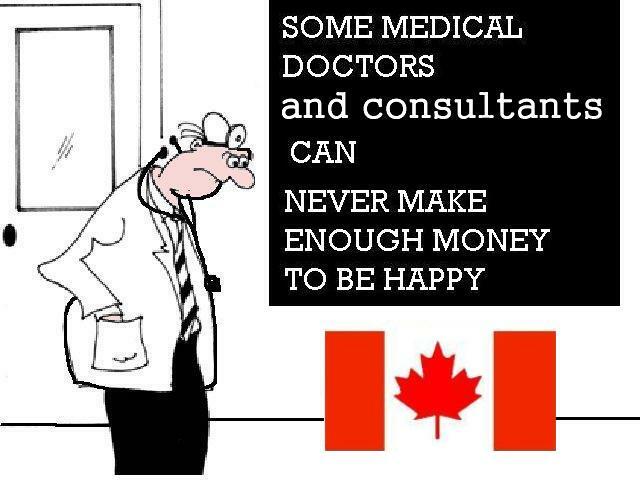 But what about using the tax money to create real lasting jobs, or what no one still knows how to do it in Ottawa? In contrast, the third-quarter U.S. data, this week showed their healthy economic growth of 3.5 per cent, suggesting that conditions south of the border are much more robust than here even though our own Prime Minister Stephen Harper had once predicted that Canada would lead the recovery.. Canada’s recession has been much worse than originally believed and may last longer than the too many had before forecasted, or rather mainly lied. It looks as if Canada’s economy is still not exiting the recession. No Surprise here. 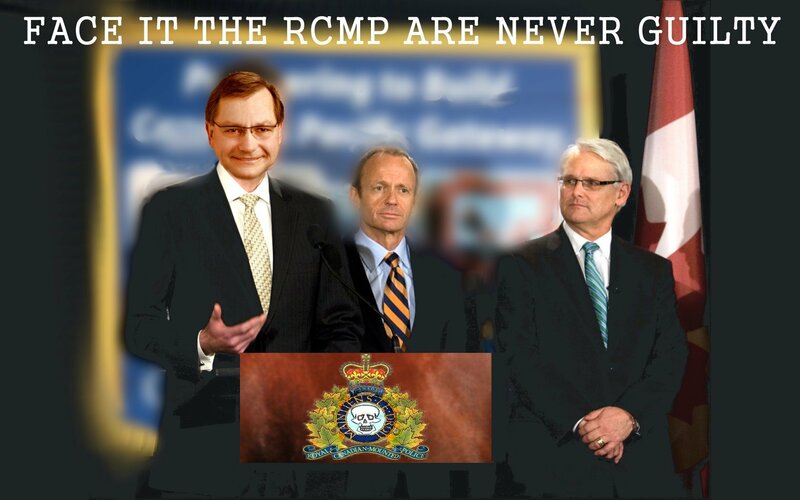 But here is one thing you know for sure, the Police, RCMP, public and civil servants, politicians will cry they are underpaid even for the little good they do and will demand more money.. count on it.. It really causes us to think as to what is the federal Conservative government wrongfully hiding here from us all as well… The Conservative government was accused Thursday of playing an elaborate shell game to prevent Canadians from following the billions of dollars being spent on federal infrastructure stimulus. New Democrat Pat Martin (Winnipeg Centre) told a parliamentary committee the government has done everything possible to hide how much of the $12 billion earmarked for infrastructure has been spent or how many jobs created. 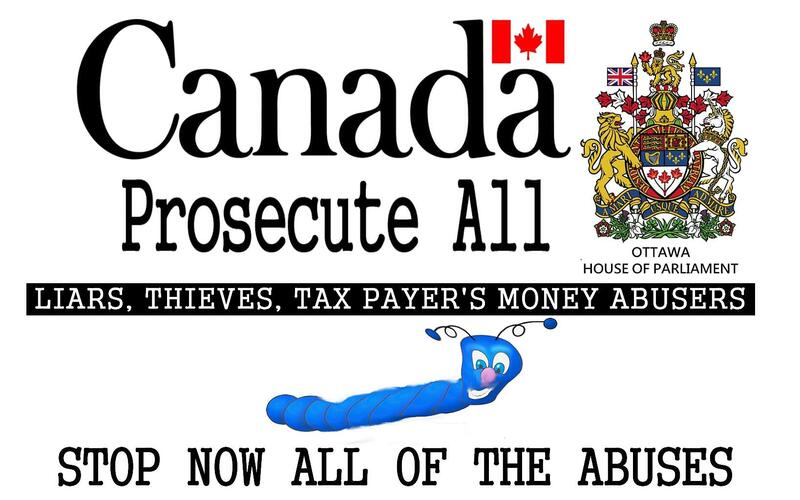 The more simple, practical solution is to arrest Prime Minister rightfully on abusing the taxpayer’s money.. many world wide prime ministers have been successfully tried and convicted for their wrong doings world wide. 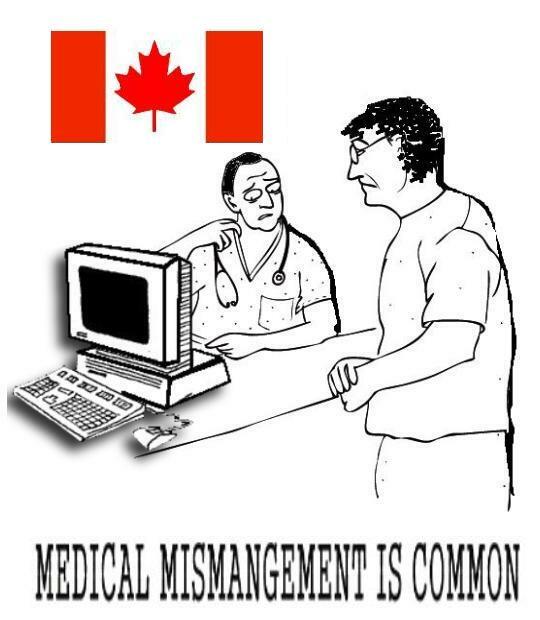 Forget the crap that the Canadian Governments, especially municipalities are serving the public, including all of their civil and public servants, in reality they are mostly self serving, and basically not at all trying to control the tax payer’s costs, as a result major rampant uncontrolled money abuses, thefts, corruptions, etc continues occur Canada wide too.. 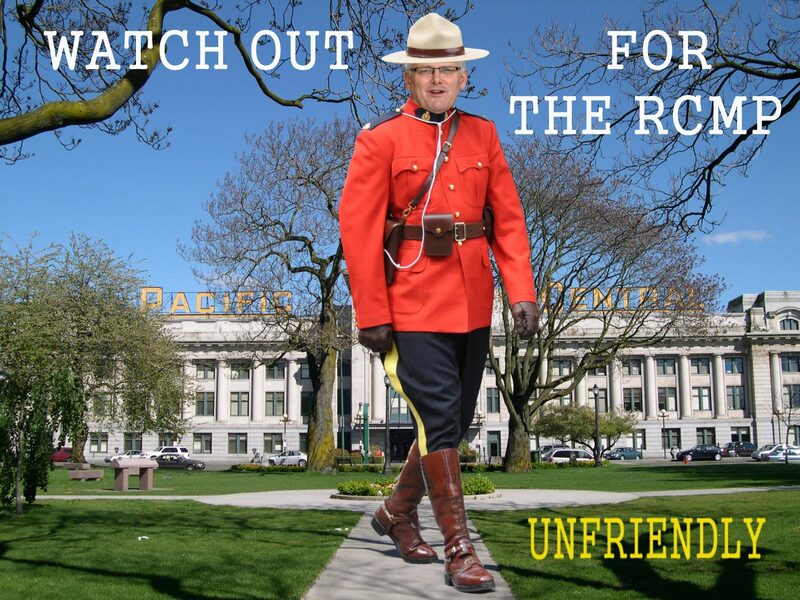 Cloud over Kash Heed embarrassing for Liberals Top cop withdraws from debate over complaints bill Kash Heed doing things specifically to promote his political desires at the expense of others? No. Say it ain’t so The police profession is like a soap opera: sleaze, boozing, internal bickering, shameful misconduct, greed, corruption, sexism, racism and criminal activity. 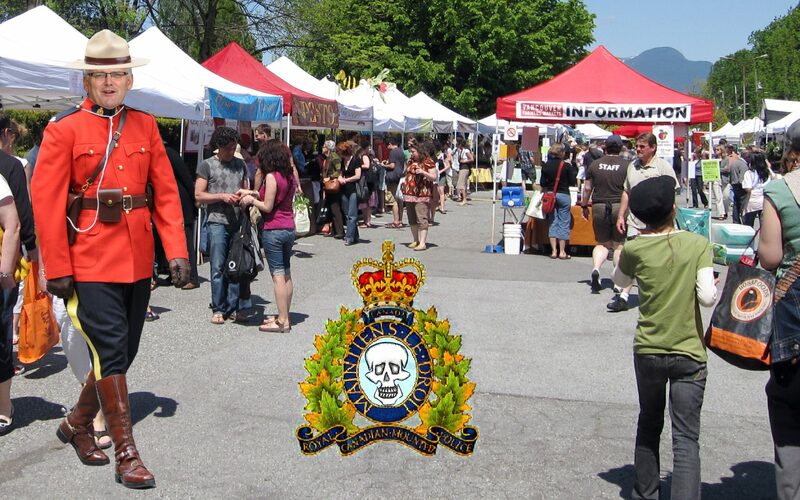 Shows like ” To Serve & Protect” only glamourize the industry and does little to shed light on their cohesive membership and inability to extricate too many undesirables and often, unsavory members miraculously get ahead in life or are promoted and West Van PD, like so many others, is a joke……. Let me see if I have this right. 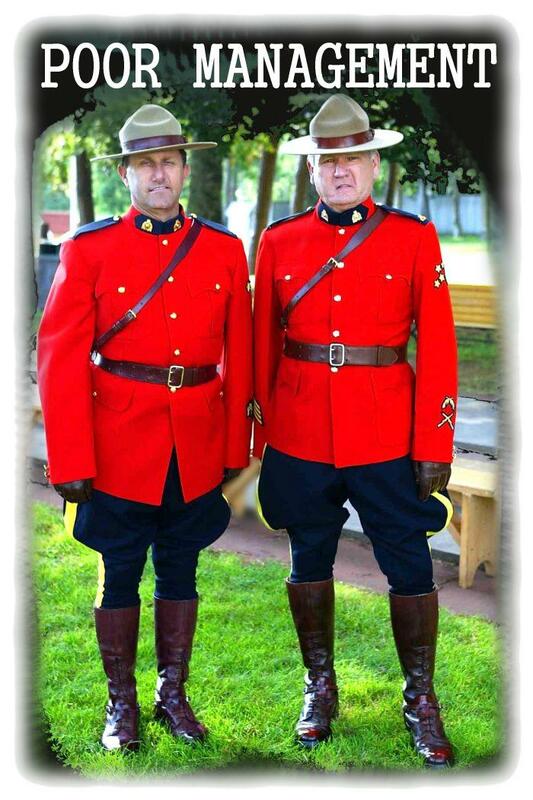 Bruce investigated a drunk officer who had been drinking at a detachment with Bruce’s son. A few months later he went on “stress leave” hmmmm. Then, 18 months later, not ever coming off “stress” leave, Bruce retires and the investigation around him is dropped. Now Bruce is suing someone claiming HE was hard done by. And who pays for all of this? None of the people in the story. Isn’t this the same guy that couldn’t come to court to testify b/c of his so called post-traumatic stress disorder? Held up the proceedings for over a year wasn’t it? Getting paid full salary the whole time. Was finally ordered to court and so quit his job rather then testify! Isn’t this the guy? He should be paying the city for court costs etc! He’s a disgraced cop looking to cash in. 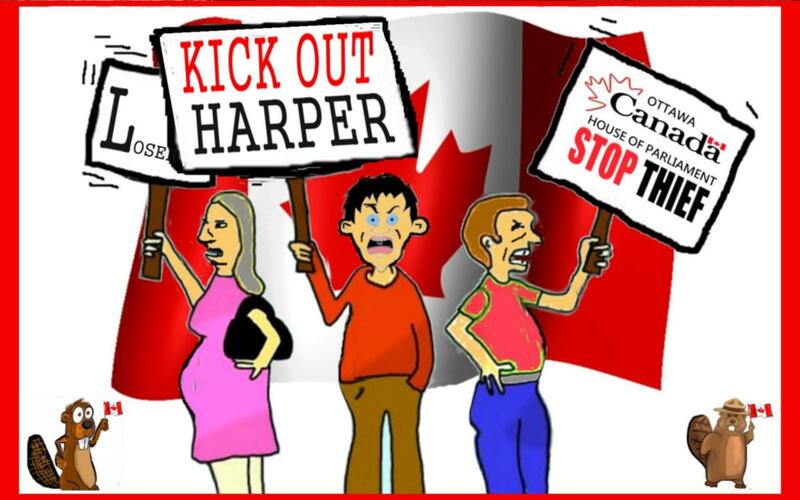 a bunch of rich people fighting for more money from the tax payers…no better than the gangsters.. The whole Police system is unacceptable, farcical, corrupt from top to bottom..
Me too I am striaghforward and say what I believe , If you read my blogs you already know that I do often say and do think the police are generally part of the scum left over in the bottom of the barrel too. 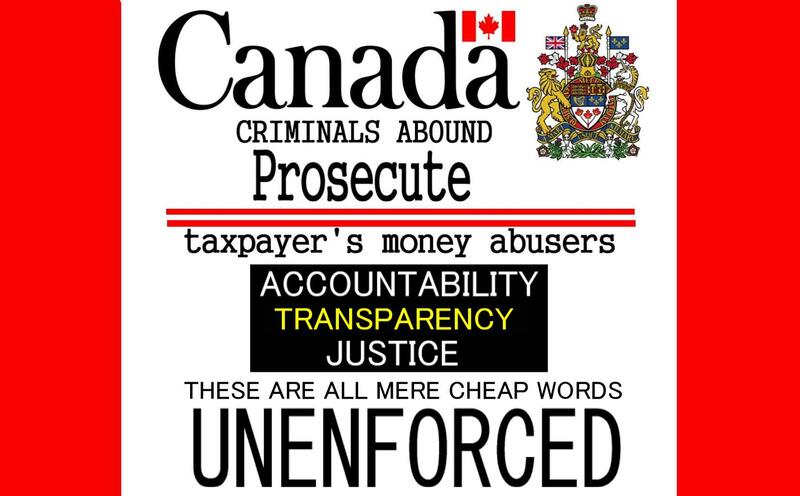 I have openly said it before I have not encountered a decent federal or provincial justice ministers generally the last decades in Canada.. likely cause they generally were lawyers to start of with.. and I also have not encountered decent cops or police chiefs now as well.. Fix it …and rightfully install fair, honest, decent police commissions to protect the citizens and then not so many people will want to assault the police too.. we already know how abusive and crooked the too often lying cops, their sergeants, superiors and their commissions tend to be.. what real practical good besides mere cheap words, unfulfilled promises are you all going to do about it as well? 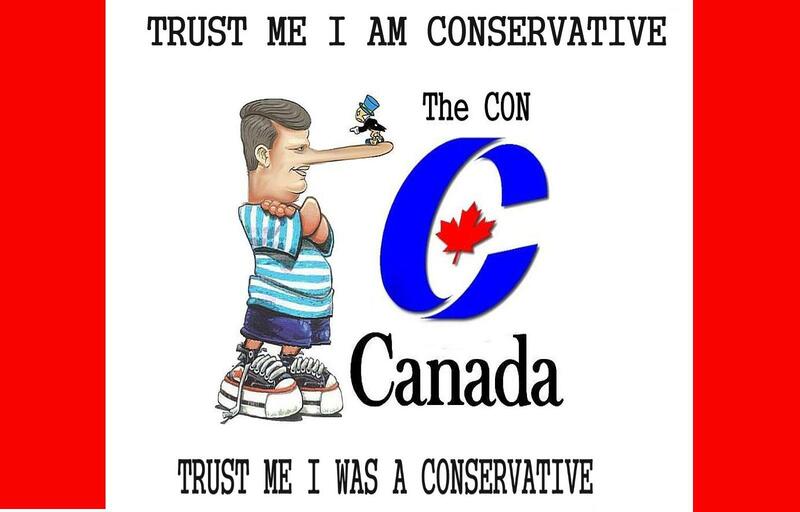 Once again the Conservatives easily show to all what big liars they are when it comes to holding to accountability the bad guys in the civil and public servcies now too or one of their own..
-The first is the initial employee, managements hiring, selection process. Police forces tend to have common criteria of personnel selections. – The second clearly is promotional mechanisms within the force.. which seems too often to reward AND promote incompetency.. TO ME THIS EXPLAINS WHY POLICE CHIEFS, MANGERS TEND OFTEN NOW TO LACK MORALITY, CREDIBILITY, ETHICS TOO. Now as if you all did not know that already that the Local and the national police cannot be respected to do a decent inquiry into the alleged wrong doings of any police officers, cause we can seem all to know that the accused police do not hesitate to lie, to cover-up the reality… now self regulation of the police force, is just useless self masturbation always it seems, thus we need independent reviews of all police complaints for all of the police forces too in Canada, with real negative consequences on the guilty persons now too and it is as simple as that The truth, real acts, real facts speak louder than the too often, false, cheap words now too still. 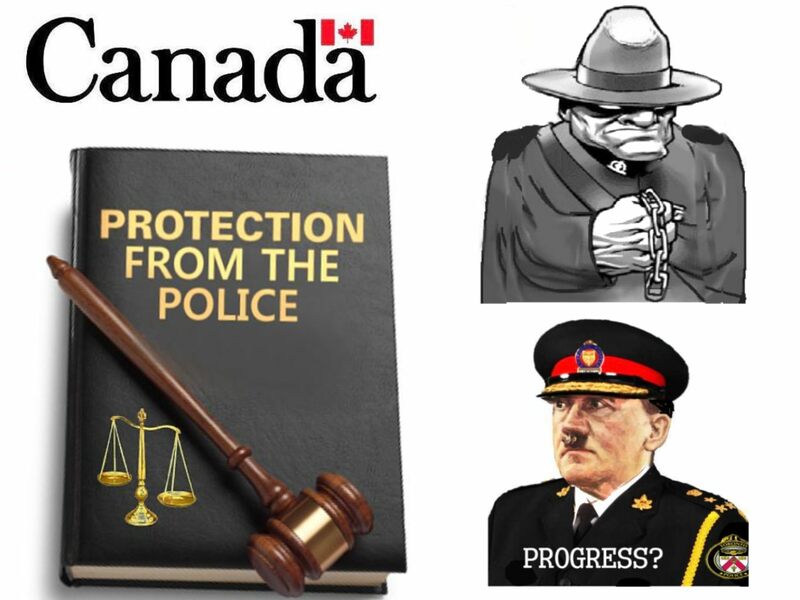 Police unions, Police Public relationships departments now too would have us all believe that the police is supposedly now aggressively tackling crime, criminals, injustice in Canada. 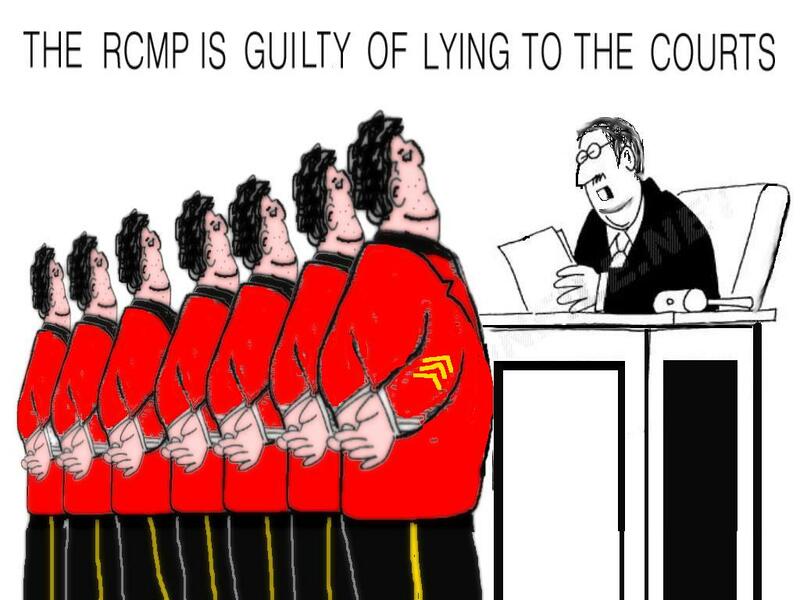 Even a according to the RCMP Public relationship propaganda department too, because if they the RCMP now did not write a report about it, it all now still would not be obvious to most people who wonder what the cops are even doing now most of the time, besides giving out money generating traffic traffic tickets, the report does not indicate the number of bad people actually successfully prosecuted each year for the millions of dollars already spend on the related police man-hours now too? 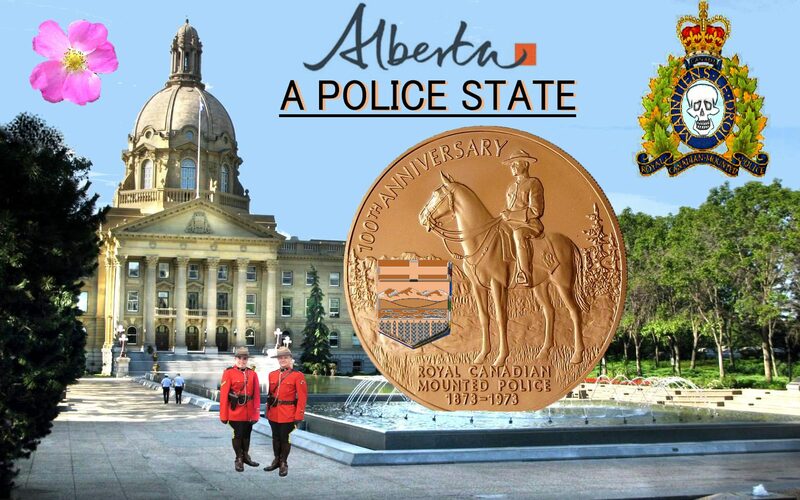 nor does the same RCMP report indicate the cost of the useless police enforcement per year in comparison now to the actual successful prosecutions? 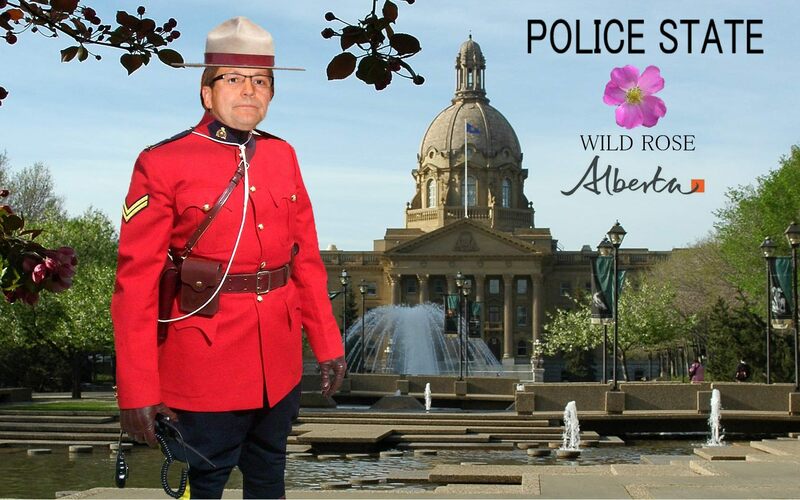 It is undeniable that self regulation tends to be merely masturbation and not the real thing.. As far as as the Public Interest being served even when the Police are investigating themselves, RCMP, Mounties included, especially when those cases involved serious injury or death there tends to be always a conflict of interest when the Police investigated fellow Police and so the decent, honest investigations included independent external investigators such as lawyers not rather fellow police officers. 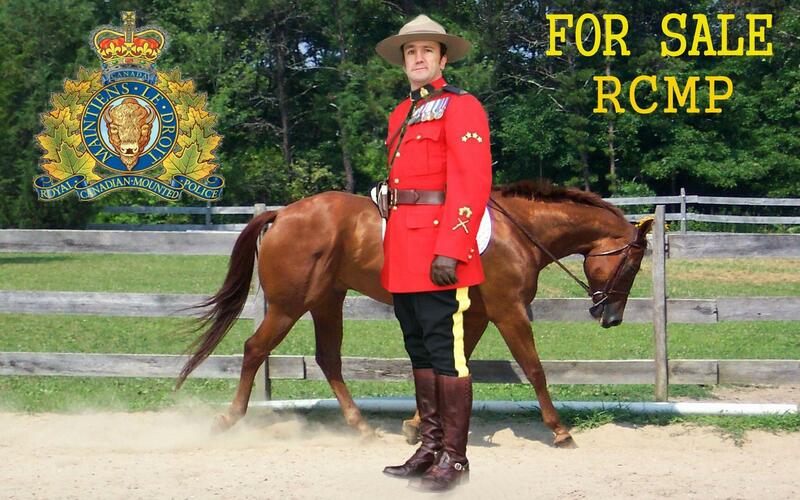 There have been even one too many recent clearly and UNACCEPTABLE NEGATIVE incidents have highlighted the unacceptable issue of police investigating police, including the case of Robert Dziekanski, who died at the Vancouver Airport after being hit with an RCMP Taser. 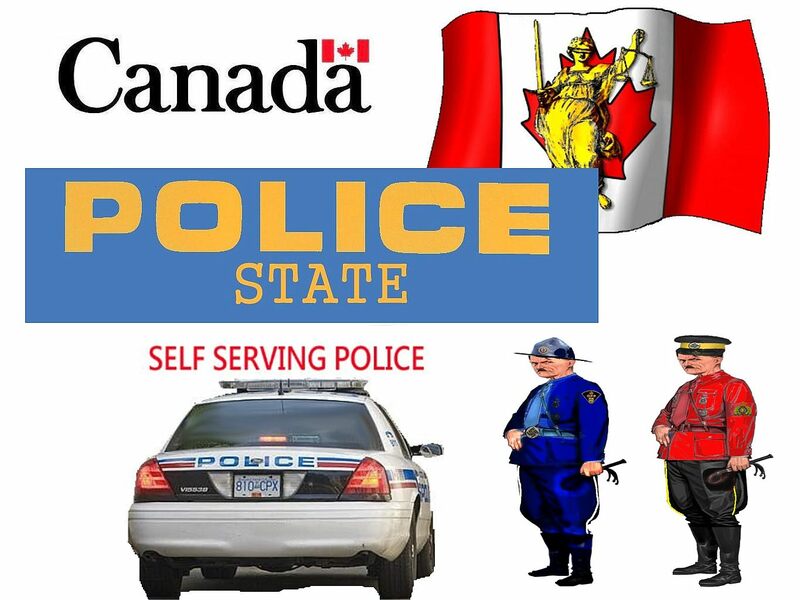 Now all of Canada’s police forces that are mostly mismanaged generally, they today mostly have bad police chiefs, bad police sergeants and too many rotten, bad subordinates too. All because we have mostly bad, pretentious justice ministers as bad and not rather good managers. 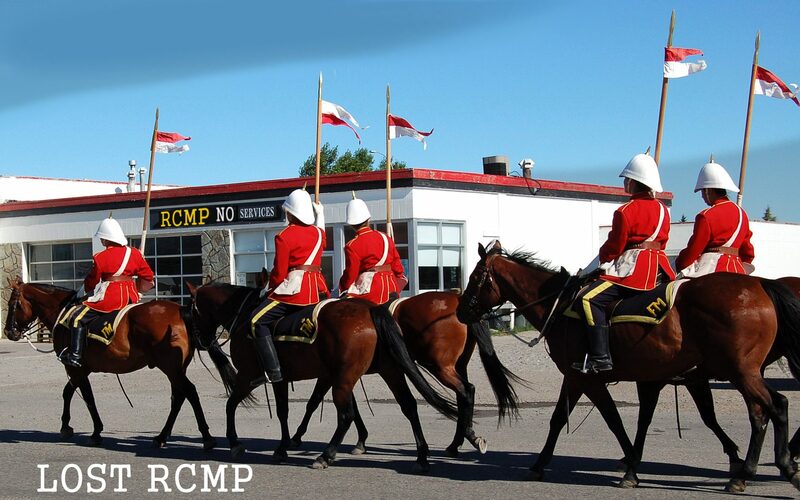 Do see all the many other posts about the bad cops, RCMP, OPP here as well. Now there is a really great gap between how the cops see themselves and how the citizens DO see them. 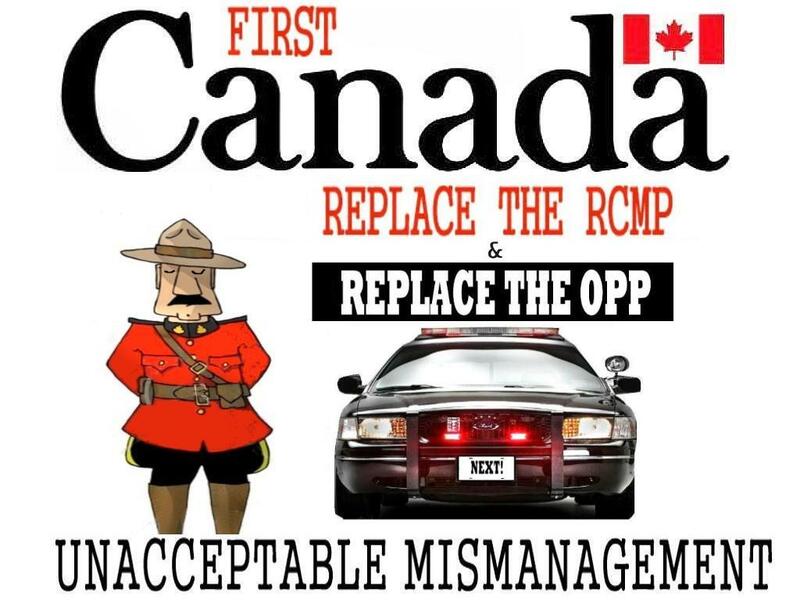 In most of Canada too the Police Department’s disciplinary system remains “fundamentally ineffective” and should be taken over by an outside agency. Also now as if you all did not know that already the local and the national police cannot be respected to do a decent inquiry into the alleged wrong doings of most police officers, cause we can seem all to know that the accused police and their supervisors, examining boards, really do not hesitate to lie, to cover-up the reality… now self regulation of the police force, is just useless self masturbation always it seems, thus we need independent reviews of all police complaints for all of the police forces too in Canada, with real negative consequences on the guilty persons now too and it is as simple as that. 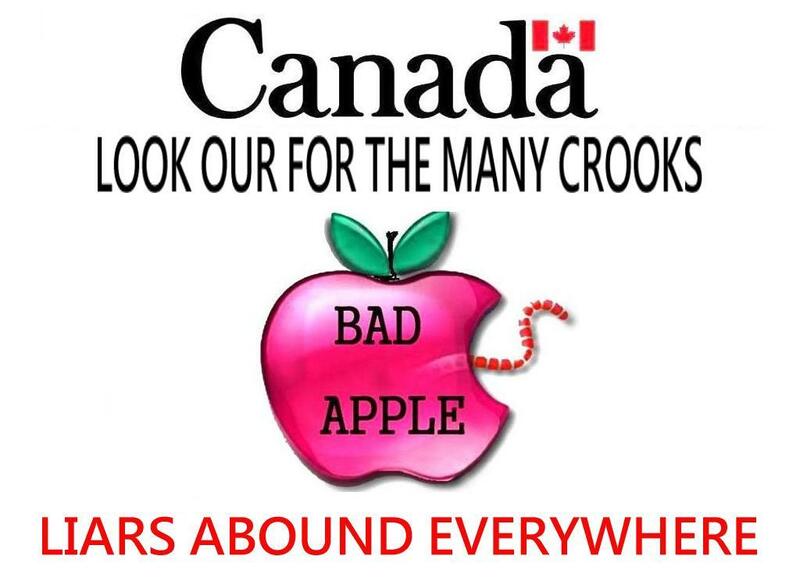 Now it is undeniable that Canada’s supposed law and order party that has been in power for a few years, has had time to find money and jobs for thousands of their friends., that has been electing judges to suit their own tastes as well, has been falsely spending taxpayer’s money, using governmental resources to promote their own reelection and also to promote the the new Conservative party, this same party and it’s leader Prime Mister Stephen Harper, it’s justice ministers have absolutely failed to deal adequately with the much too many bad, abusive cops, RCMP we still do now have in Canada and why was that now? Application of governmental Accountability is only an election gimmick? 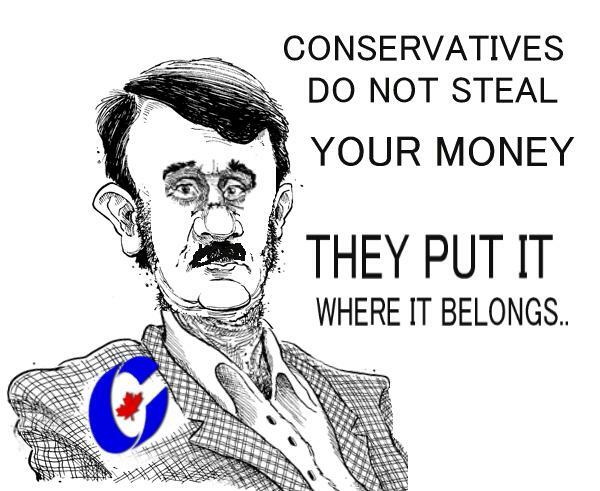 Why the Conservatives too act like, and support the Mafia in Canada? Reality! What real governing skills does it take for anyone merely to spend the taxpayers monies wastefully .. any fool can spend it and any fool can make budget cuts.. Conservative or Liberal ones too. But now also making sure it is properly spend and not stolen firstly still requires valid managerial skills. The civil and public servants remain remarkably unruffled, even as Ottawa and the provinces rack up close to $100-billion in new debt this year also. 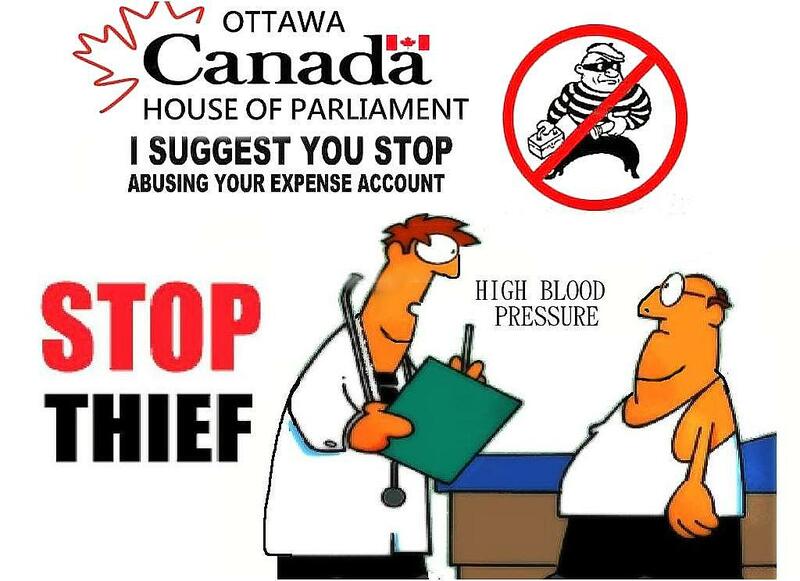 For the Public and civil servants in Ottawa but also those in Ontario remember their raises profoundly but not rather more the poor work they too often do . For most of them, it was the raise they alone also do think still they deserve the raise. If you’re a Stephen Harper fan or Dalton McGuinty government , yes you’ve seen them given more money to public employees at a time of deflation, fear, market panic and widespread carnage in the private sector Most of Ottawa’s Ontario’s budget winds up in the hands of municipalities, school boards and hospitals and health authorities, which makes it harder to track who’s getting it too and to know now know much of it was rather abused too.. 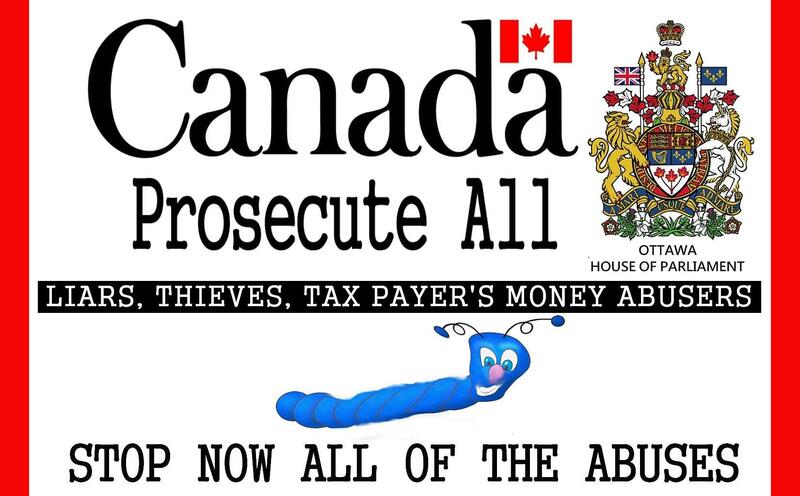 Anyone reading the news lately has heard not just about the too often useless civil and public servants but also about the mafia connections on porkjects that raises the taxpayers costs up to 40 percent now as well even in Quebec. We all already could be facing much more taxes, severe service cuts as a direct result while the federal and provincial governments do brace some more for a “long, slow grind” to economic recovery that included already unacceptable government wastes, high deficits that even will take years to overcome. All, all of this is unacceptable!! 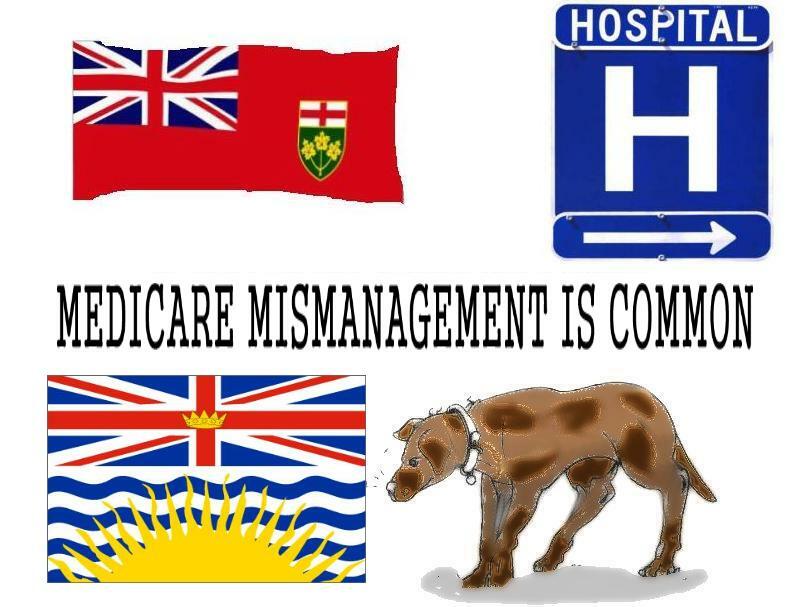 Here is what also rightfully bothers me, it is an undeniable fact now that too many Politicians in Canada, both Members of the provincial legislatures, and members of parliament, do lie, they make false claims that they the servants of the people, they thus are mainly looking after the needs, concerns of the citizens of Canada but mainly instead wrongfully do now use tax payer’s money, do use governmental resources and personnel to distribute unsolicited material to others to promote firstly their own re-ELECTION and TO PROMOTE their own political party as we clearly all have seen the New Conservative Ministers wrongfully also now doing OFTEN NOW as well. 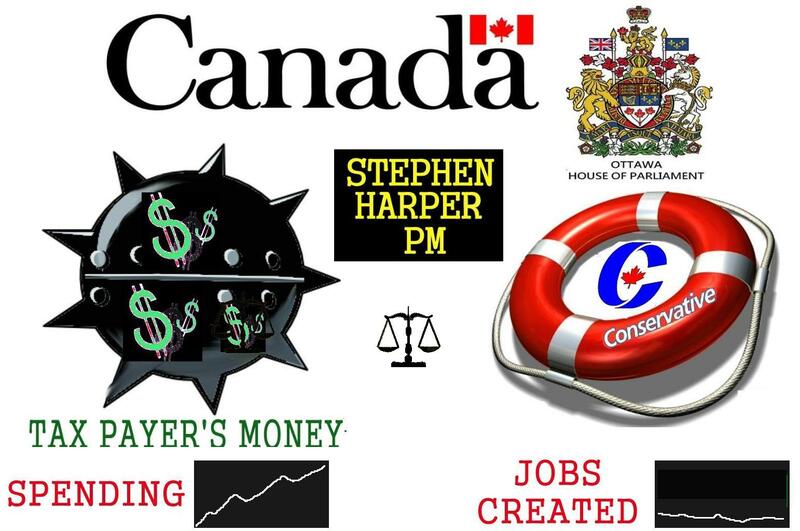 Canadians believe Tories biased on stimulus funding: poll OTTAWA – A new poll suggests the Harper government’s multimillion-dollar, taxpayer-funded ad blitz to promote its stimulus plan doesn’t seem to be having the desired effect. OTTAWA – A $50-million federal fund set up to build infrastructure for next June’s G8 summit is being spent partly on projects that are far from the summit site and with tenuous links to the high-powered meeting. Industry Minister Tony Clement announced the low-profile fund last February, explaining that the fund was being “provided for G8 Summit related infrastructure, including a G8 Centre in Huntsville.” Huntsville, Ont., will host the meeting. The town of 18,000 is in Clement’s riding, about 215 kilometres north of Toronto, and is best known for being at the heart of prime cottage country for Toronto’s wealthier class. Huntsville has received the largest share of the money, mainly $16.7 million for a new G8 Centre, $9 million for a summit management office and $2.4 million for improvements to the road by the resort where the meeting is to take place. But a partial list of the fund’s projects, and a series of news releases, shows that many of the towns in Clement’s riding are receiving money from the fund to build band shells, plant gardens and put up signs and lights. Research on the spending was carried out independently by The Canadian Press alone, but the Liberal party said it would release its own analysis after being contacted for comment on numbers. One news release announced $1.1 million to upgrade a street and replace trees in Parry Sound, Ont., some 80 kilometres away from the summit site. Clement also announced $194,000 for a large “welcome granite stone” and new lighting for a concert stage, also in Parry Sound. The area just south of Parry Sound is receiving $745,000 for signs, fencing and landscaping in the towns of Rosseau, Humphrey and Orrville. The towns of Port Severn and South River, many kilometres from the summit, are each getting $65,000 for signs and landscaping, too. “They’re somewhat disconnected (from the summit), for sure, Parry Sound and Port Severn,” said Huntsville Mayor Claude Doughty. Bala Falls Road, a small road about 50 kilometres from the summit via another back road, is getting $400,000 for improvements. “How is this justified? In what way is this going to improve the G8?” said Liberal MP Gerard Kennedy, who said he has completed a separate analysis of the G8 fund, with similar conclusions. There are rumblings that, despite the $50 million set aside for in summit infrastructure, the region can’t handle such a large meeting, and that Toronto would be far more convenient. It’s also uncertain whether the leaders and their delegations will stick with their original plan of getting to Huntsville by flying to North Bay, Ont. The city is about 100 kilometres north of Huntsville. The airport there is receiving $5 million from the G8 Infrastructure Fund. But there are concerns that, with only one runway, it won’t be big enough to handle so many foreign dignitaries, and that Toronto’s airport is better equipped and more secure, sources said. 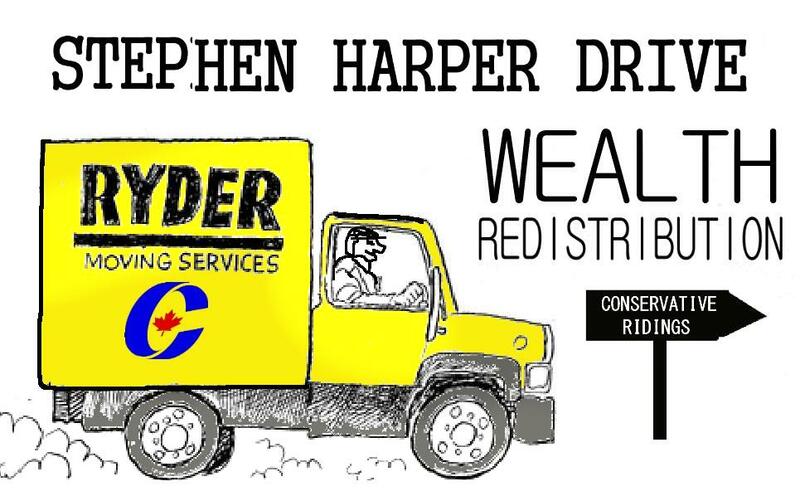 Again, why are taxpayers paying for Stephen Harper’s campaign sites too? and it falsely goes on and on the citizen paid PC advertisement .. 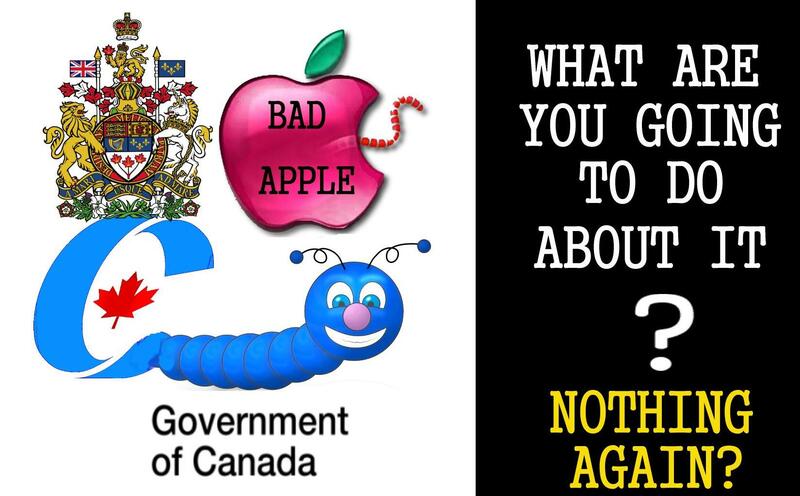 The Federal Government, the Quebec Government and the Mayor of Montreal have all rejected calls for a public inquiry even though the citizens demand it.. so what are the big 3 sacred of? hiding? Sin. 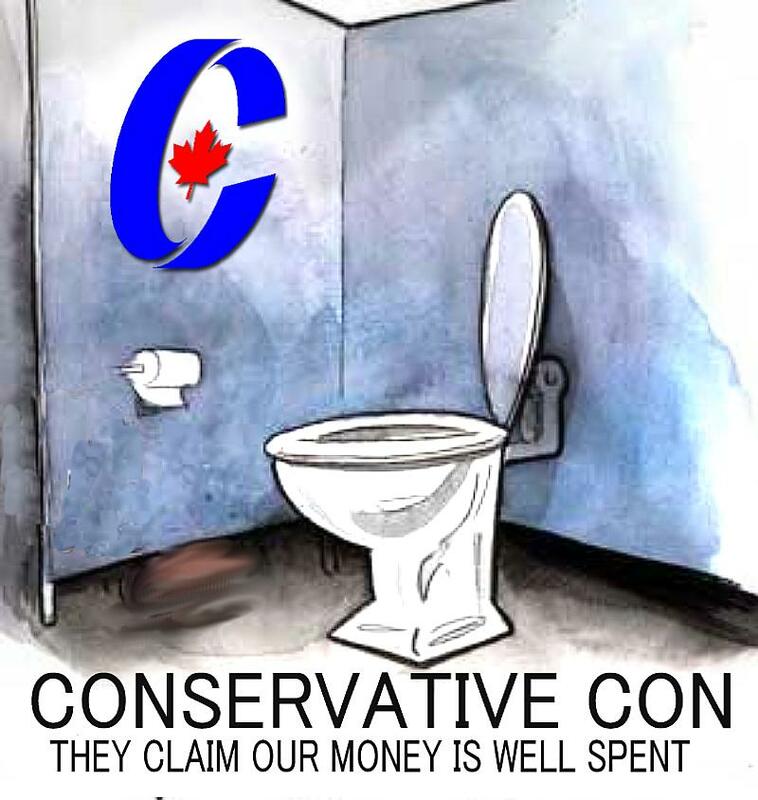 We will all pay later for the Conservatives‘ wasterful spending Harper, with the likes of Tony Clement, Stockwell Day, Jim Flaherty, John Baird, and all of his other cabinet ministers campaigned on the point they would not run a deficit. While at the time each and every one of these unscrupulous politicians knew they were running a deficit of $5.8 billion dollars! Everything from there on has been a neo-right political lie. 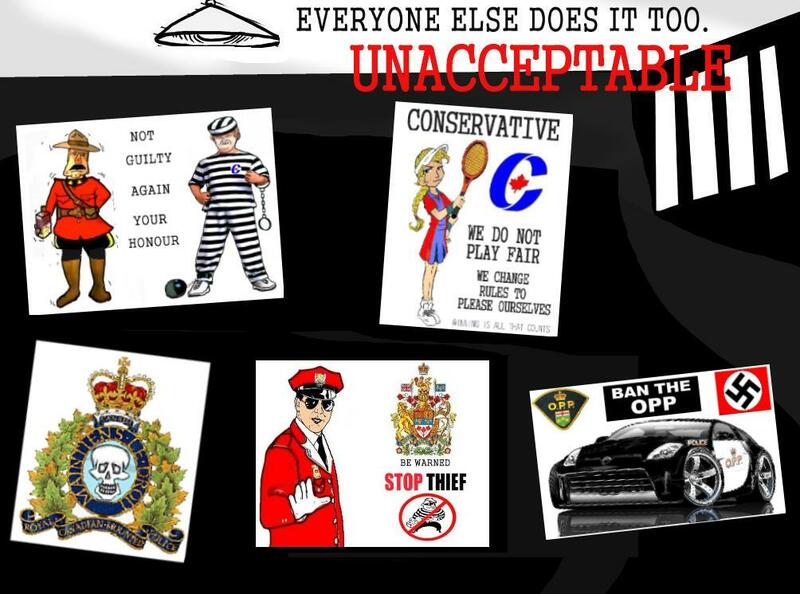 Two hundred photo ops showing the completely unethical use of the Conservative Party logo is by no means a small indication of what lengths and deceit this crew will go to, to advance their extremely flawed political ideology. 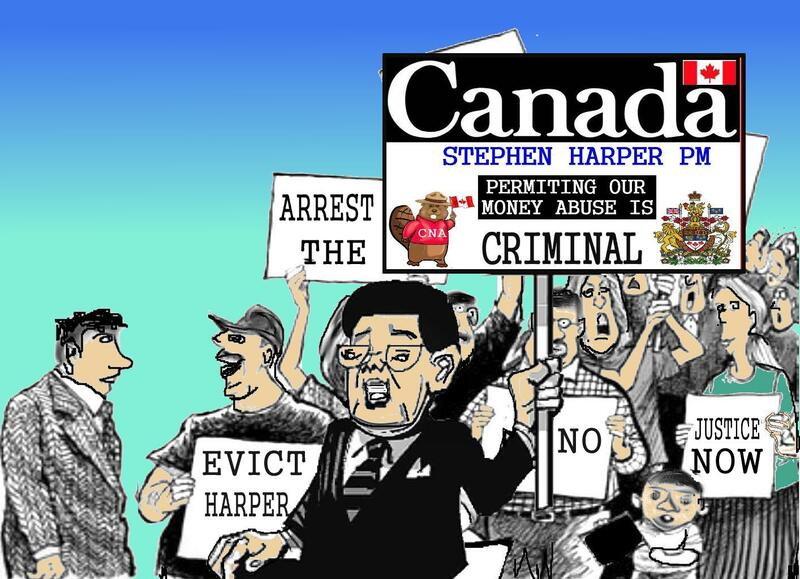 The waste of this neo-right fiasco will show up down the road and it will be the biggest financial scandal in Canadian history! How do I know this? Simple. 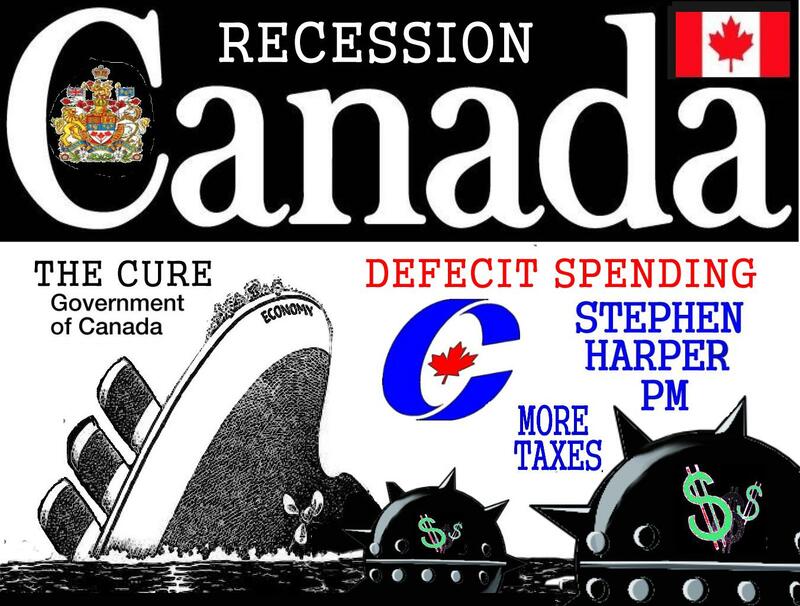 Harper is spending more money and running the largest deficit in Canadian history and he is a politician who cannot be trusted! 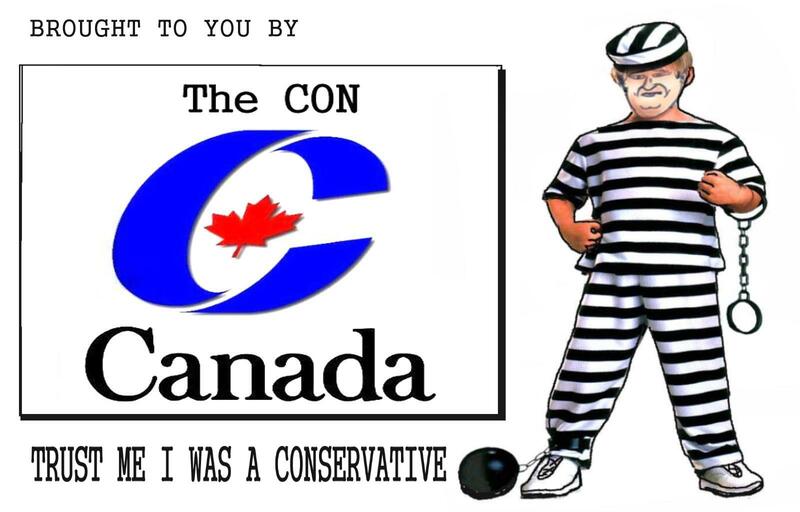 Comments Off on Why the Conservatives too act like, and support the Mafia in Canada? There are some people in this country who rightfully are not looking forward to the Olympic Games, many of whom have announced their intention to protest and demonstrate against them when the time arrives. and there are also those who would stifle the opinions of these demonstrators and protesters. 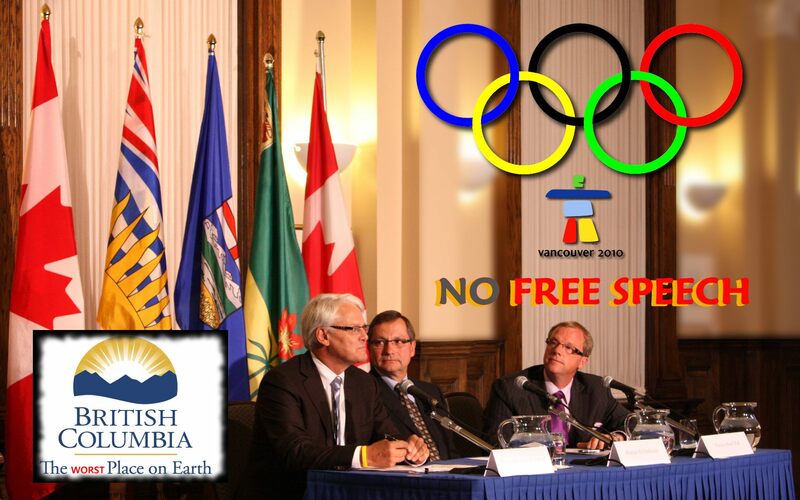 Civil rights should not be traded away for 2010 Olympics. 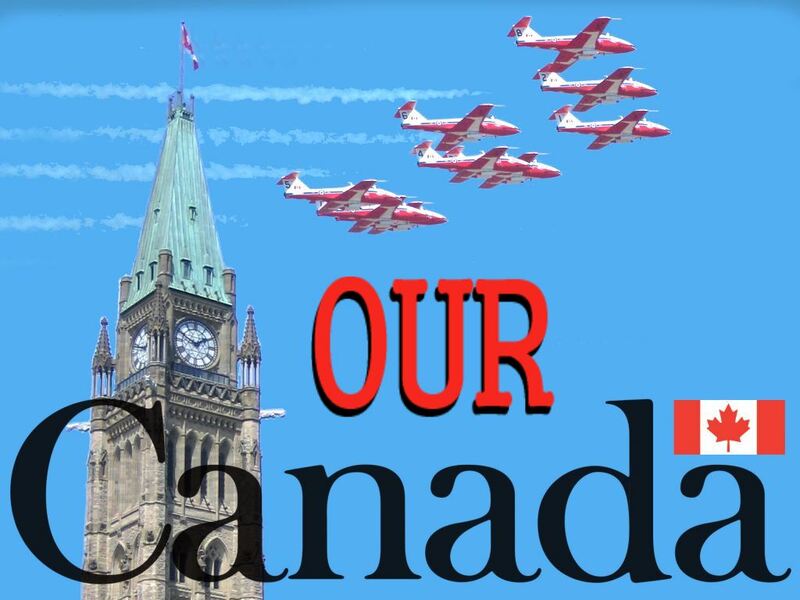 Canada is founded on the constitutional right to freedom of thought, belief, opinion and expression, including freedom of peaceful assembly and freedom of association. 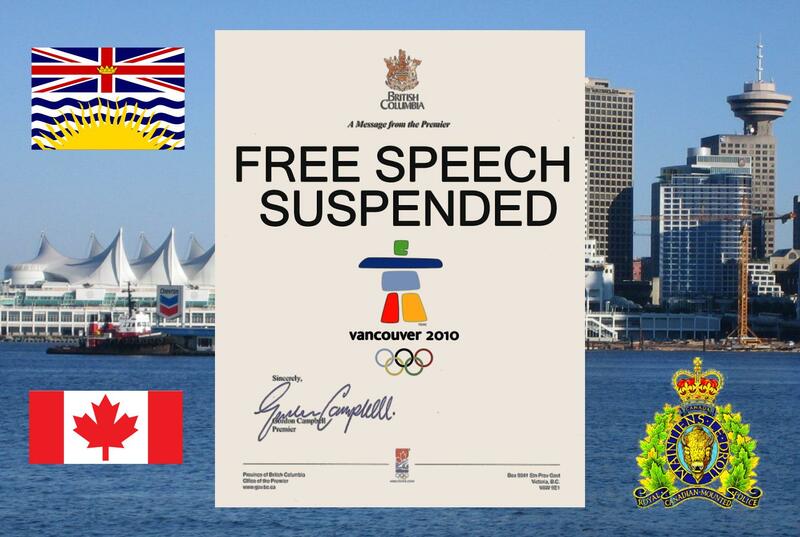 When anyone violate those principles is at expense of us all.. Now in Canada freedom of speech and expression is considered a fundamental right. Section 2 of our charter of rights specifically describes our freedom of speech and assembly in unequivocal terms. 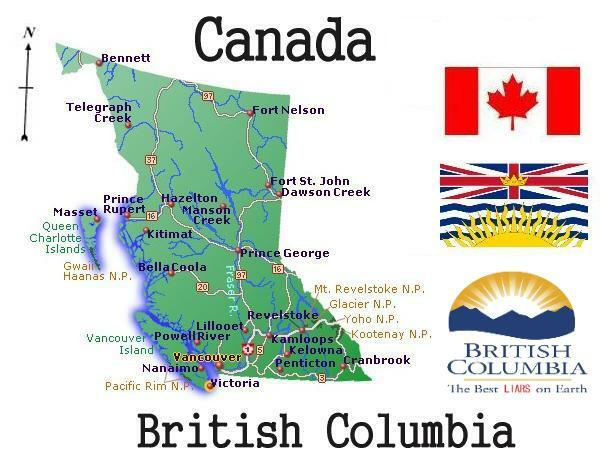 But the B.C. Liberal government’s Bill 13, includes amendments to the Municipalities Enabling and Validating Act, that do run counter to these basic principles of freedom of speech and freedom of assembly . 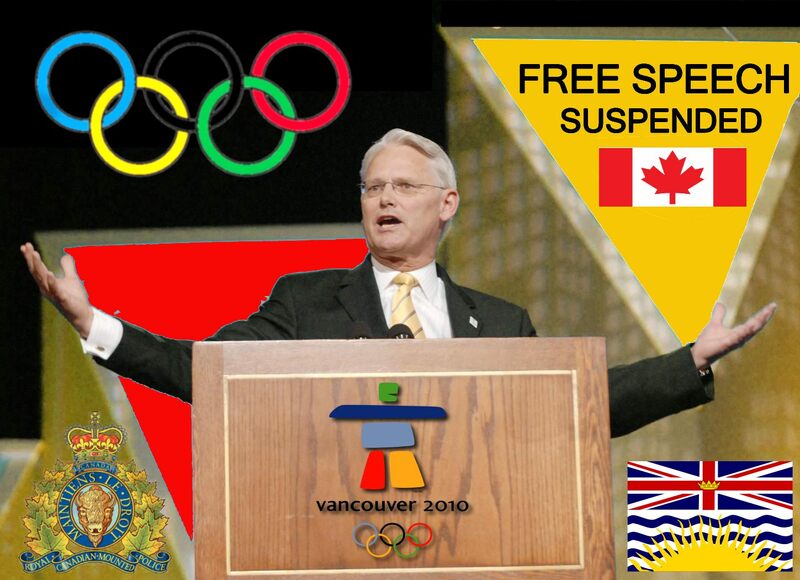 Now proposed BC governmental “Amendments will provide the municipalities of Vancouver, Richmond and Whistler with temporary enforcement powers to enable them to swiftly remove illegal signs and graffiti during the 2010 Olympic and Paralympic Winter Games. The legislation does not change the existing scope of authority to regulate signs and graffiti. Rather, it provides, on a temporary basis, wrongfully a faster way of removing signs and graffiti that violate municipal bylaws during the short period the Games are underway. 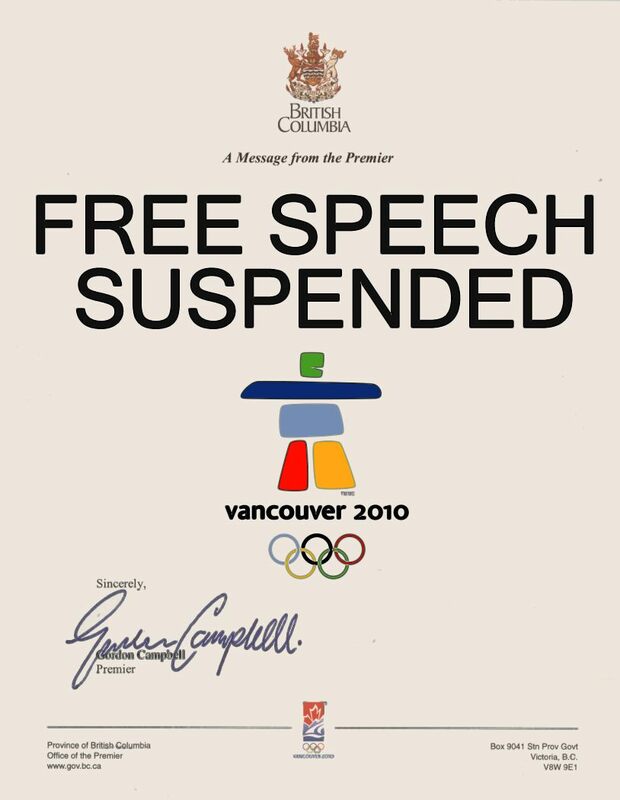 ” Not only does the amendment effectively call for the banning of dissenting opinion, it would allow municipal officers to enter private property to remove illegal signs with only 24 hours notice This idea of creating a law which would encourage the removal of politically dissenting signs, even temporarily, is till rightfully an affront to all of our basic Canadian liberties a there are no provisions for a “temporary” suspension of inherent rights in our Constitution. 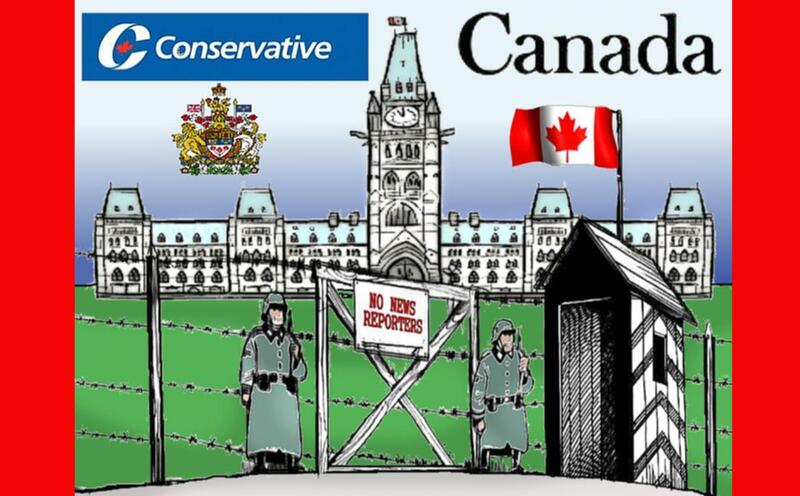 Many Canadian persons, Political parties, government instead tend to believe in two kinds of rights: those which further the interests of their political party into more power, and those which do not. I do not support any actions in the name of security that would stifle political free expression”.. I believe that our fundamental rights and freedoms are inalienable, and beyond the purview of government—any government—to manipulate, trade away, or infringe upon even for any personal, political purposes. I rightfully also do reject the infringement of private property rights and the curtailment of free speech, free assembly, and basic civil liberties for political expedience. All opposition politicians not in power often do state the same thing. But often next when they get into power, they mysteriously tend to change their minds, fail to keep their promises.. the Conservatives included as we know.. 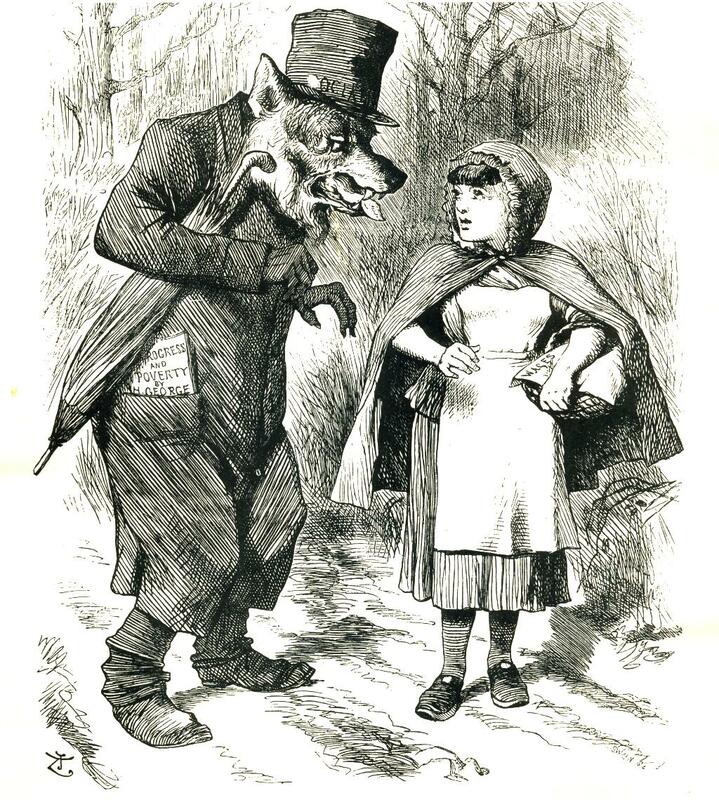 It is an undeniable historical fact of life that if you try to tell the bad people what they do not want to hear, or what they do not want others to know they next often will try to suppress your right of free speech, by any means, by your false oppression now as well, and that yes includes crooked persons, bad cops, bad politicians, bad elders, bad pastors.. even in a democracy. ” Everybody?” With all due respect , even if it was true, which we all know it is not , that doesn’t make it right still. 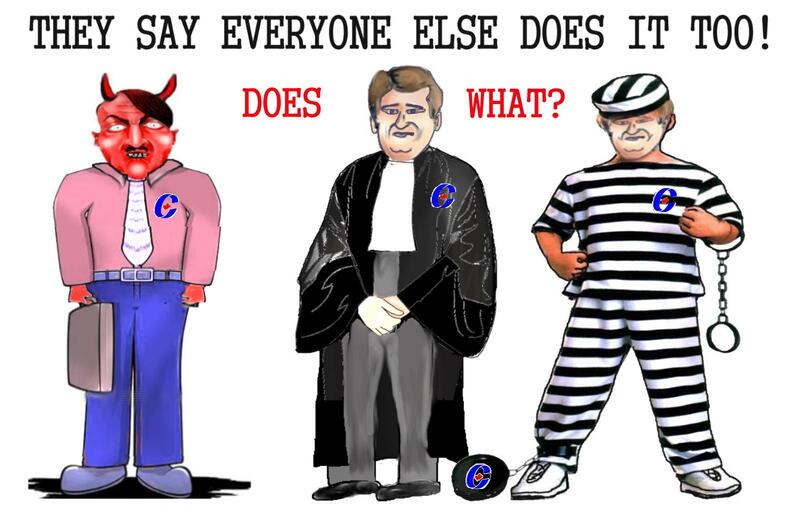 The Conservatives often say that “Everybody has done it, everybody is doing it ” is firstly still basically, really not true for I am not doing it. Many of us are basically cynical now about the politicians and the political games they play. 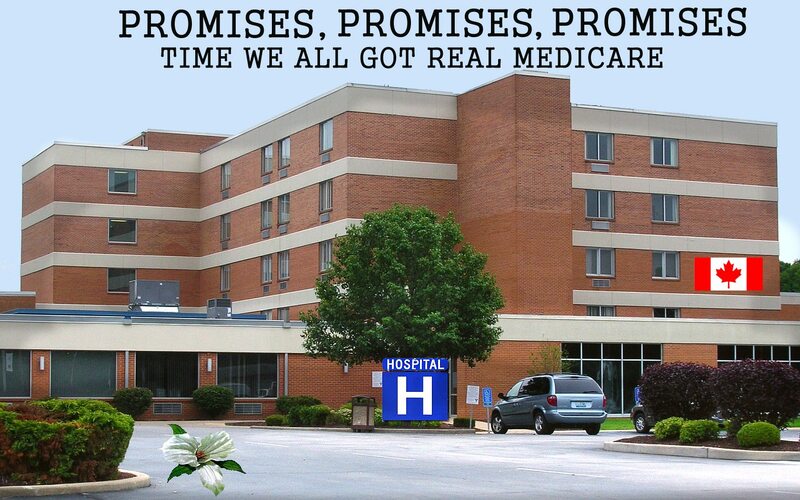 For example, they always promise not to play games and promise to keep all of their promises too . 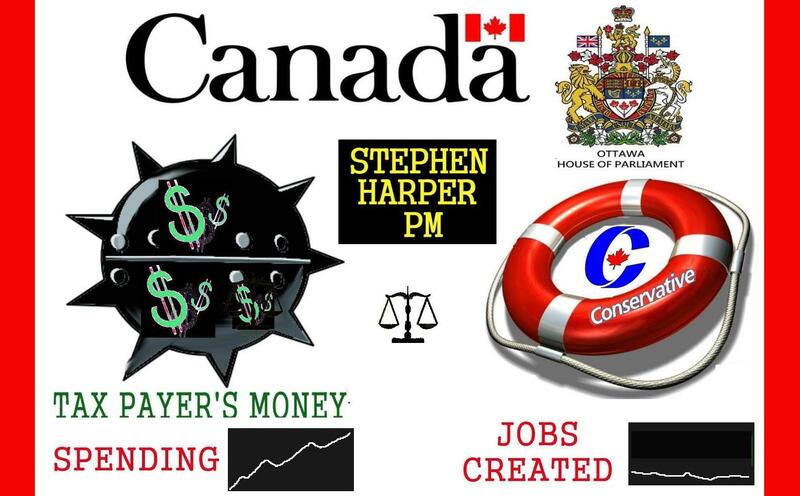 In reality Prime Minister Stephen Harper has no valid job creation, economic recovery vision and is instead using public funds to secure Tory seats. 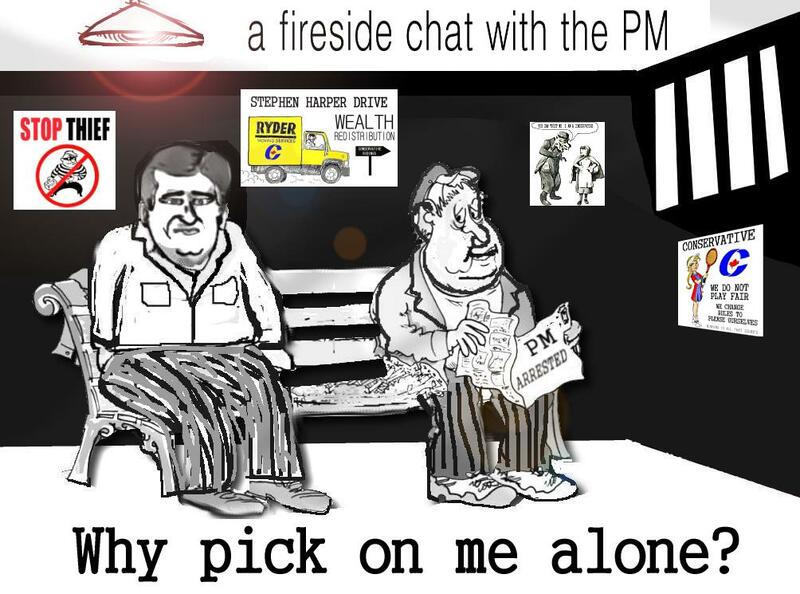 Prime Minister now also acts like a Liberal, talks like a Liberal and spends money like a Liberal, so really what is he ? A non Conservative.. but meanwhile the Conservatives say that Liberal Leader Michael Ignatieff, will raise taxes if he is elected and so next what is the difference anyway now under Harper, who in spite of whatever he say will have to cut back on our social programs and raise our taxes sooner or later.. so which federal leader “is on the right track to keep taxes low? reality, none of them..” And based on the present actual economic recovery it is very unlikely the economic growth will be enough to pay off the deficits.. As fixated as politicians are on balanced budgets, no Canadian political leader, not even Stephen Harper, is going to be able to keep from raising taxes with a projected $100-billion federal deficit” It is time the Conservative politicians, all those other Conservative MPs who, at photo-op cheque presentations have repeatedly given the impression Government of Canada economic stimulus money is coming from them personally, and not the government, and including Prime Minister Stephen Harper started coming clean and honest with all Canadians. 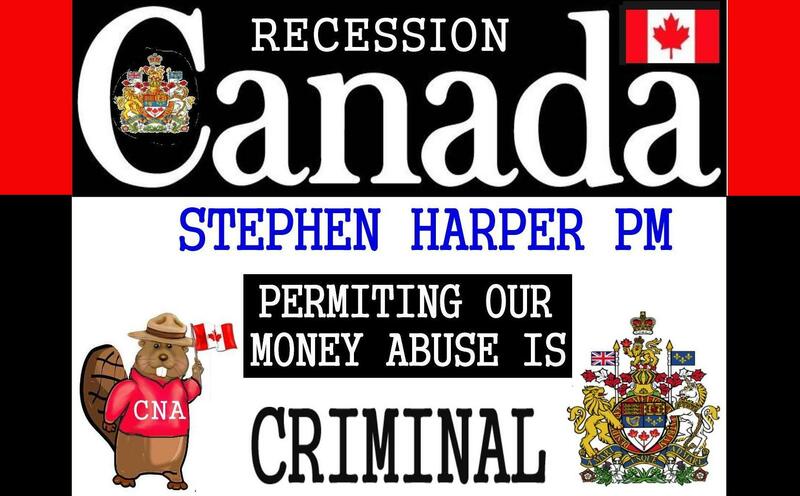 For to make sure Canadians know about their poor in reality “economic action plan,” the Harper Conservatives have now even wasted millions of dollars – millions of tax dollars – on a massive advertising campaign, including TV commercials and billboards. 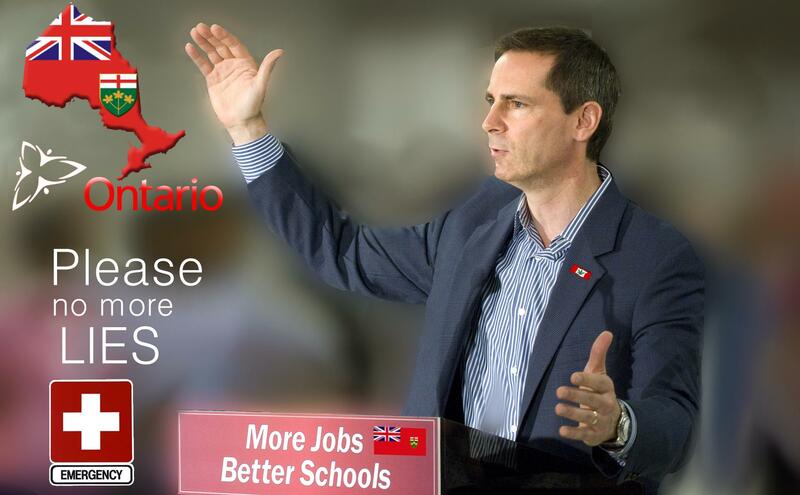 ” These ads, of course, do not change the reality that tens of thousands of Canadian workers are running out of employment insurance benefits, their workplaces closed down and their pensions gone up in smoke. ” Despite the Conservatives Government claiming to be good fiscal managers, and now still next best qualified to manage the economy. 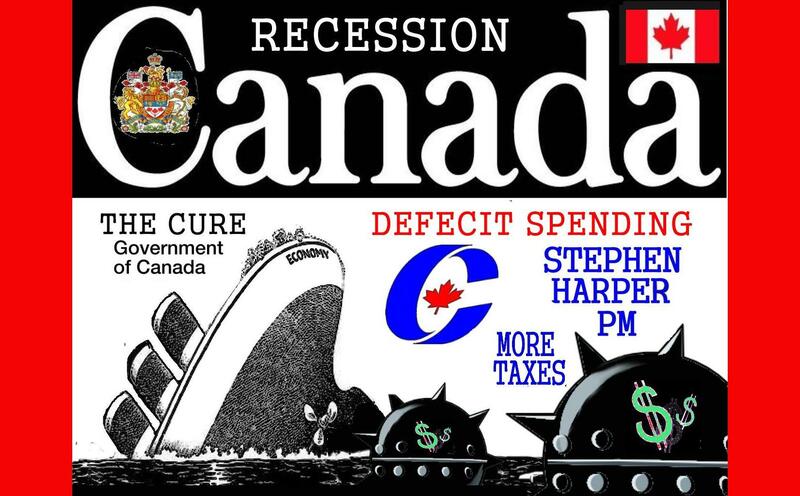 Billions of dollars in past Liberal surpluses evaporated under Harper – even before the real recession hit Canada. Reality “This government’s stimulus package has failed, “Stimulus funds are not going into areas that need it — the forestry and manufacturing sectors and into places with high unemployment”, for “what they wanted to do was keep the money up in Ottawa and dole it out to Conservative ridings and their friends, “says Liberal Leader Michael Ignatieff too. 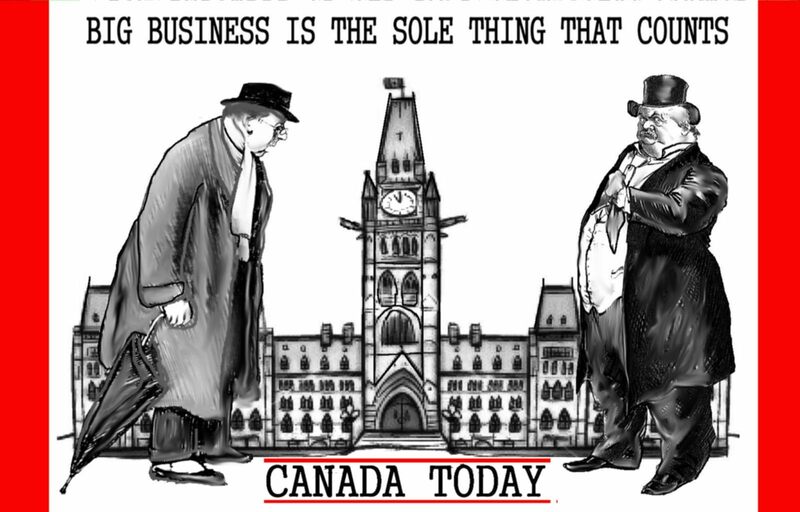 The alleged mafia has been doing it’s business for decades under the various governments noses, both under Conservatives and Liberals., so why should it be stopped now? Better late than never! No role for Ottawa in Quebec Mafia investigation: Nicholson OTTAWA – The buck passing Ostrich Justice Minister Rob Nicholson insists the federal government will not get involved in Quebec’s investigation into Mafia corruption in the construction industry. 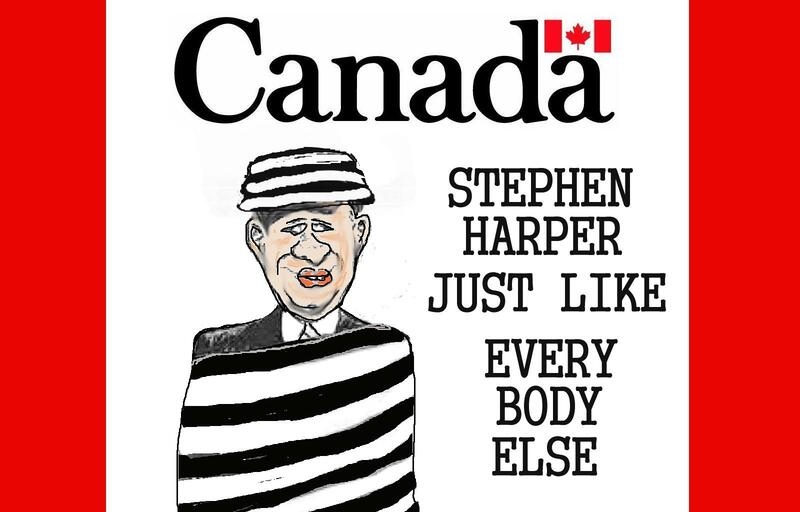 The Prime Minister is still Canada’s chief Justice Minister. 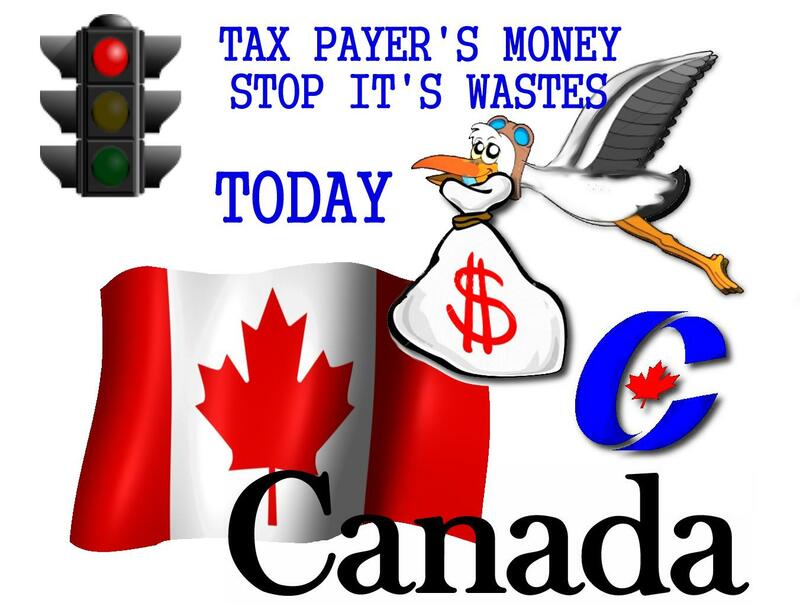 and is this related to the Quebec, Constructions corruptions scandals going on presently as well.. after all some of the biggest cement companies are in Montreal.. Lafarge Cement included.. and is this why the Conservative federal government does not want to get into Quebec’s legal affairs too? Ignatieff rejects calls for public inquiry into Quebec construction scandal Tue Oct 27, 2:34 PM MONTREAL – Michael Ignatieff is the latest politician to brush off calls for a public inquiry into an alleged corruption scheme involving politicians, construction companies.. and now what are they all hiding, covering up in reality, kickbacks of course..
Quebec Justice Minister Kathleen Weil said last month she is also looking at the possibility of initiating civil action against the ex-Quebec lieutenant-governor Lise Thibault who pleaded not guilty to fraud. Thibault had said she spent the money on security and transportation had a lso said it was natural for taxpayers to foot the bill for her personal trips, meals she had with friends, office parties and the ski and golf lessons. 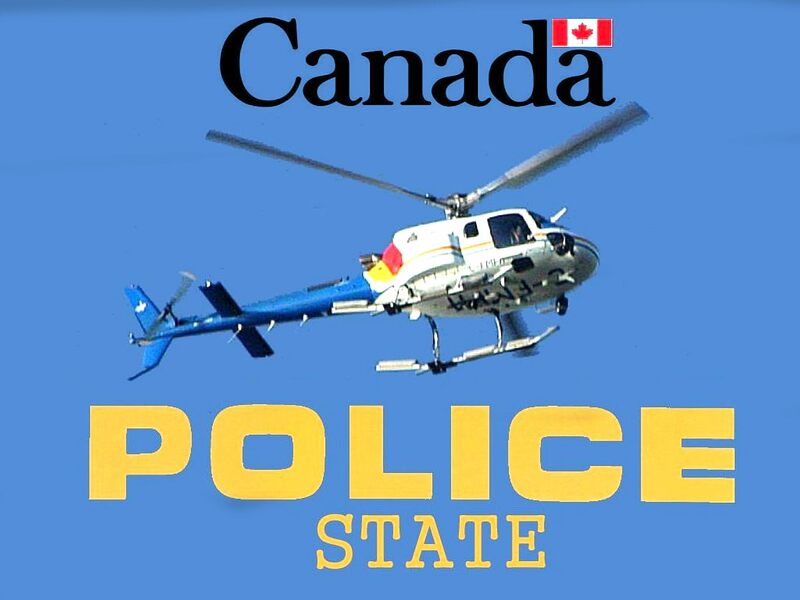 Police ‘protesters’ called before ethics panel The Quebec Police Ethics Committee has ordered a review of the conduct of three provincial police officers who posed as protesters at the summit of the three North American leaders in Montebello, Que., in August 2007. Infiltration by police officers to arrest criminal offenders is acceptable, but all acts committed by the officers towards that end are not necessarily legitimate, the committee said. And people barely raised a peep when this police state action was uncovered. It’s about time. I have nothing against cops posing as drug dealers to catch criminals. I have nothing against cops posing as 12 year old girls in chat rooms to catch paedophiles. What I do take exception to is cops entering into a legal and peaceful protest in order to ‘attack’ the police and thereby justify the police attacking the crowd to maintain law and order. The bad cops do need to be kicked off the force and their superiors need to be shown the door sans golden parachutes as well. No role for Ottawa in Quebec Mafia investigation: Nicholson Quebec announces new unit to examine shady dealings in construction industry The Canadian Press MONTREAL – The Quebec government has formed an investigations unit to examine allegations of collusion and corruption in the province’s construction industry. The unit will only oversee “Operation Hammer” and will include members of Quebec provincial police, Crown prosecutors and Mounties, Public Security Minister Jacques Dupuis told a news conference Thursday. “As we’ve already said, the current situation is worrisome and unacceptable,” Dupuis said. “And that’s why we’re taking the necessary steps to make sure this kind of behavior stops.” The move comes amid reports that companies linked to the Italian Mafia have dabbled in political affairs and essentially created a construction cartel that works to drive up the cost of building projects. Mafia experts say the practice exists elsewhere in Canada and is particularly worrisome now that Ottawa and the provinces are embarking on the most expensive infrastructure program in Canadian history. Quebec has been rocked by reports that Mafia-linked construction companies have colluded to drive up the price of public-works projects by 35 per cent in the Montreal area. But so has the rest of Canada now as well Earlier in the day, the Quebec government brushed off widespread calls for a public inquiry into the murky world where politics, the Mafia, and the construction But an online poll suggested that a majority of Quebecers wanted a sweeping public inquiry. Leger Marketing said 76 per cent of respondents indicated support for an inquiry, while only 17 per cent did not. Guy Chevrette, a retired PQ minister who was also part of the Cliche Commission in the 1970s that investigated Quebec’s construction industry of the day, says a public inquiry is necessary. “There (are a) number of subjects that warrant study by experts,” Chevrette said. Without answers and recommendations to change the culture, the problem is likely to persist, Chevrette said. “Police will de-mask the fraudsters,” Chevrette said. 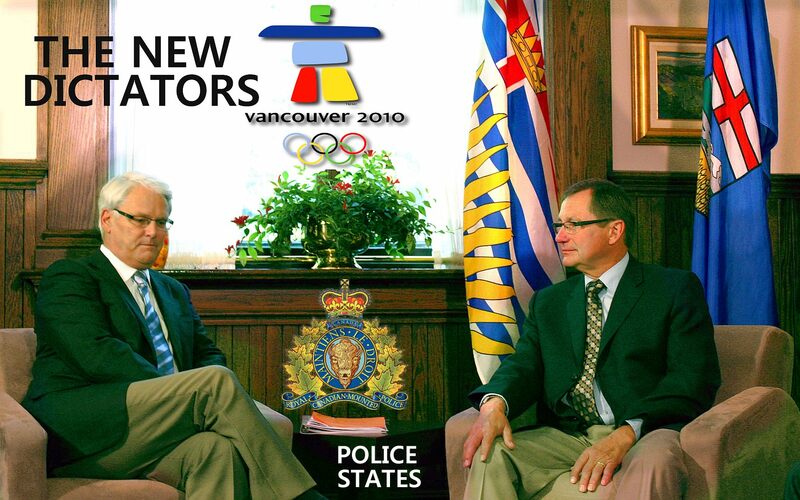 “But (police investigations) don’t offer the dimension of finding solutions and alternatives.” Those sentiments were also brought up this week by retired judge John Gomery, who headed the famous inquiry into the federal sponsorship scandal. Gomery said large donors wield too much influence in the awarding of municipal contracts and that a public inquiry could serve to explore those ties. 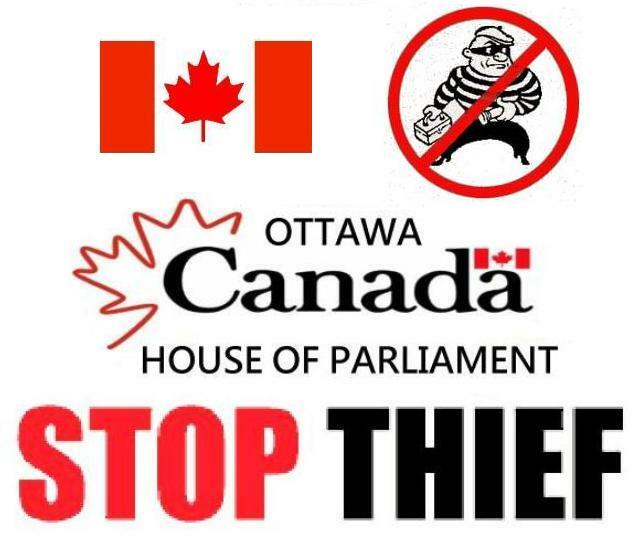 OTTAWA – The clearly buck passing also, Ostrich Justice Minister Rob Nicholson insists the federal government will not get involved in Quebec’s investigation into Mafia corruption in the construction industry. 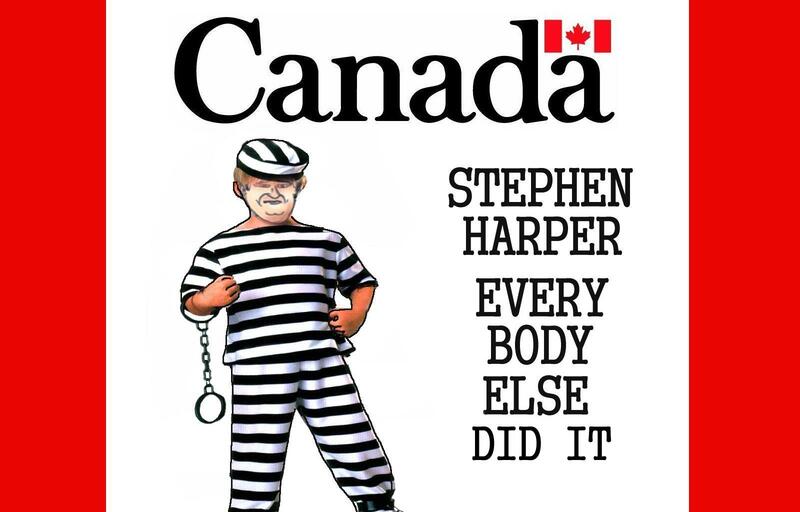 The Prime Minister is still Canada’s chief Justice Minister. History will repeat itself. We saw how Quebec dealt with the unexpected loss of money in the Quebec’s pension fund, the useless, pretentious Quebec MLA, Liberal Minister of finance Monique Forget, who seemed to always forget about me, she next resigned, everything was forgotten and business went on as usual.. all just swept under he floor rug again and again.. and next door to her we had also lost Liberal Paul Martin MP and not one noticed too or cared…. 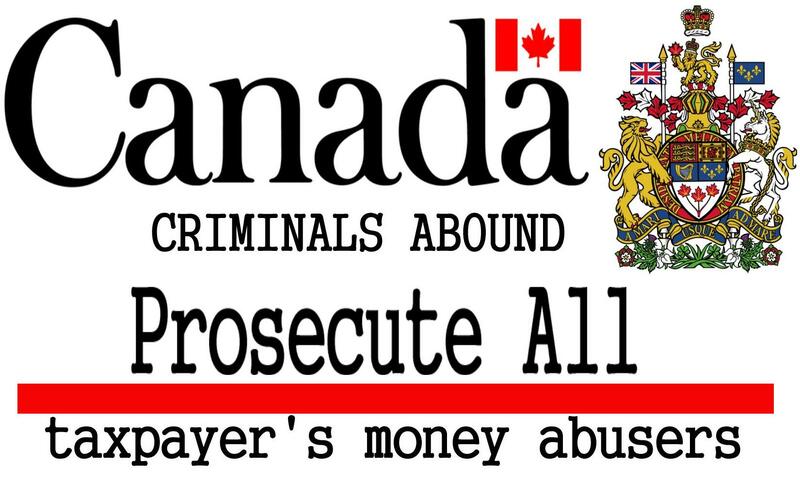 and is this related to the Quebec corruptions scandals going on presently as well.. after all some of of the biggest cement companies are in Montreal.. Lafarge Cement included?.. 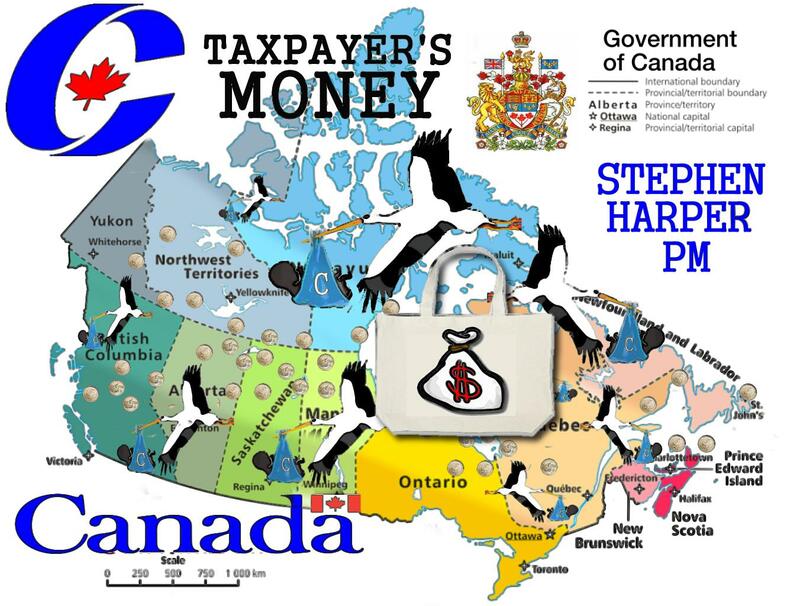 and is this why the Conservative federal government does not want to get into Quebec’s legal affairs too? Ex-PQ minister slams proposed changes to political party financing rules The Canadian Press – Contributions in the province are limited to $3000 per year to each political party and can only be made by Quebec voters. Public exposure and exemplary prosecution of the guilty serves every one’s best interest, the guilty persons included now. 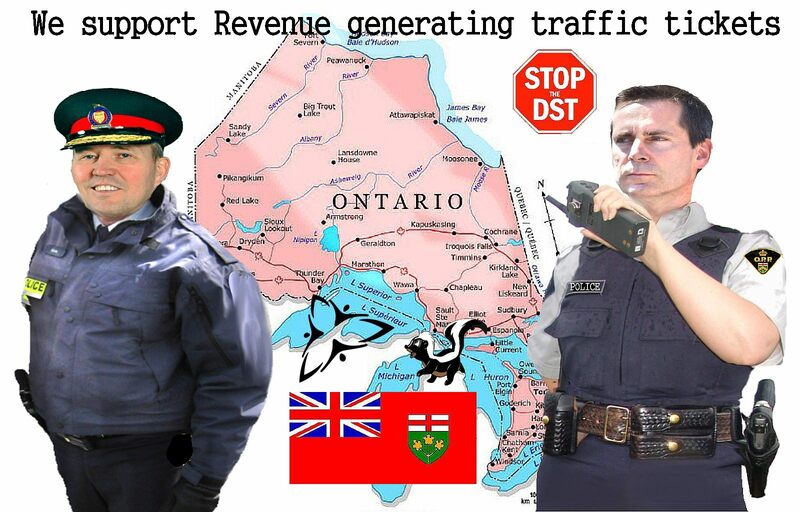 In spite of the often mere Public relationship news releases do Face it that basically crime, theft, tax evasions, tax payer’s money abuses are still now rampant for decades too in CANADA and Canada wide even because the too often pretentious civil and public servants, related police are firstly are not doing their jobs, they are not only incompetent, but indifferent even mainly cause their political masters would not let them do it as well.. the RCMP included now.. Instead the police spend most of their time and energy on revenue generating traffic tickets, which are not even the major causes of accidents too. Bell, Telus and the large cable companies now control 94% of the residential internet services market in Canada. This dominance stands in stark contrast to the competitive dynamic and choice that existed when internet access was first emerging. In 1998 competitors had 47% of the residential market however as high speed began to emerge competitors’ market share began to drop dramatically and is now virtually non-existent because the former monopolies have denied competitors fair economic wholesale access. In the late 90s Canada was also leading the world in broadband deployment and state-of-the-art networks. 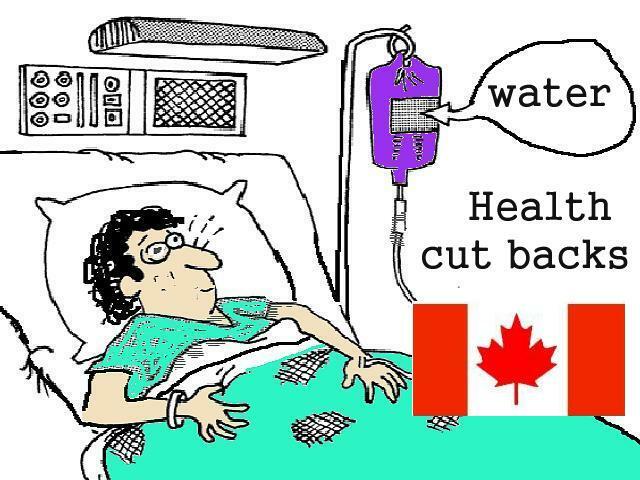 Now Canadians pay more than all other G8 countries and get less. Canada needs the latest and best technology solutions in order to stay competitive. If we allow more monopolization and less competition, there will be no pressure to innovate, and the Canadian economy will suffer. 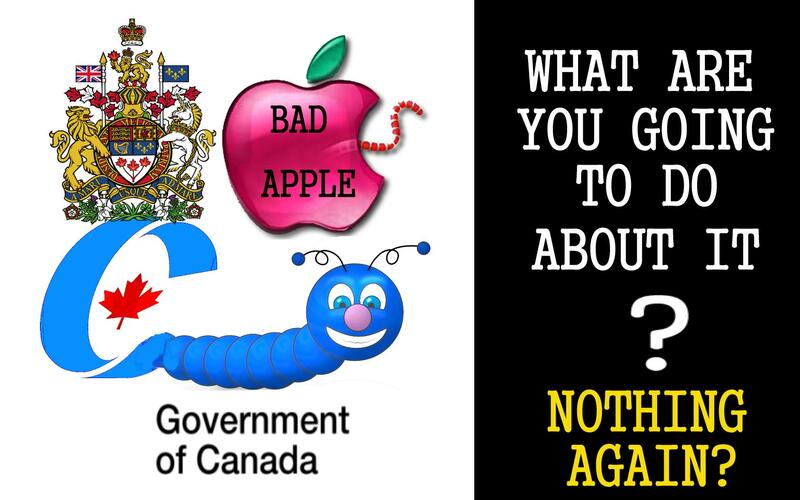 Bell and Telus were subsidized by taxpayers to build their networks, and we all did that because we wanted the networks to help serve the public interest, not just the private interests of the telephone companies. The networks should continue to be regulated to ensure they serve the public interest, since we helped foot the bill to construct them. Canada should be leading the world and Canadians should be receiving the innovation and choice that vibrant broadband competition would bring. This will not be achieved by allowing, as the CRTC is doing, the unregulated former monopolies charge retail customers what they want and to use their network dominance to eliminate competitors. The evidence is clear from the past….when we have competition in broadcast and telecom markets, consumers get more and better services, at lower prices. Turning back the clock would produce exactly the opposite effect. The US tried the approach the CRTC is advocating and it was a disaster. Estimates are that the cost to the US economy were $66 billion and 234,000 jobs. If the federal government lets Bell and Telus have the power to harm competitors, smaller towns and rural Canada will suffer most. 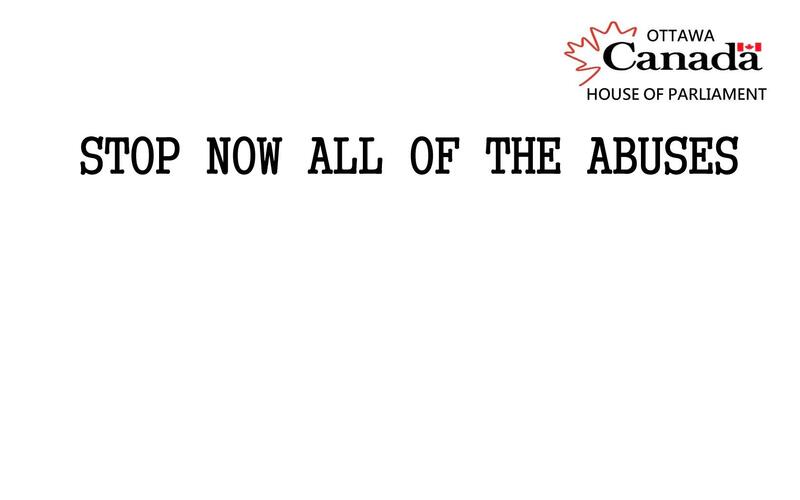 We need to stand up for all parts of Canada. Bell and Telus, like most companies, offer more attentive service and more attractive offers when they know you have a choice. 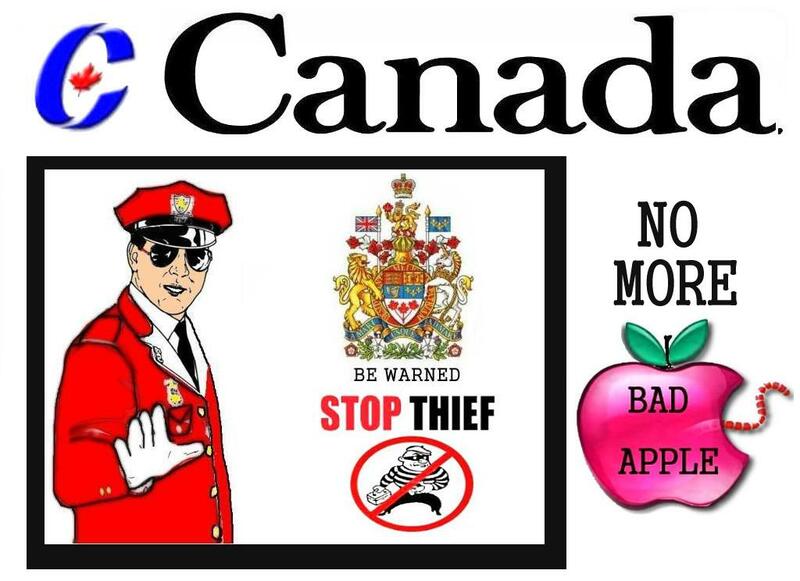 The past rules have not harmed Bell and Telus on the contrary, they are among the largest and most profitable companies in Canada. 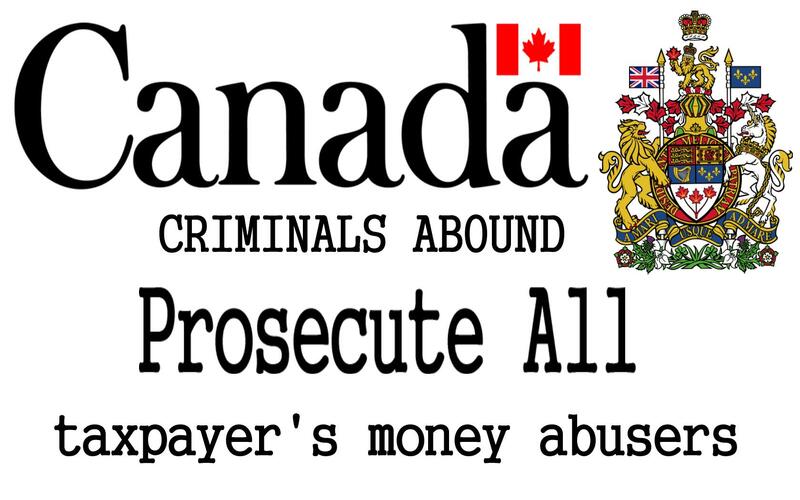 Decades of such crimminal practices continue also in Quebec, not just in other provinces like Alberta and Ontario now too cause the leaders wrongfully do not do much about it still cause they clearly benefit from government kickbacks, corrupt supporters.. 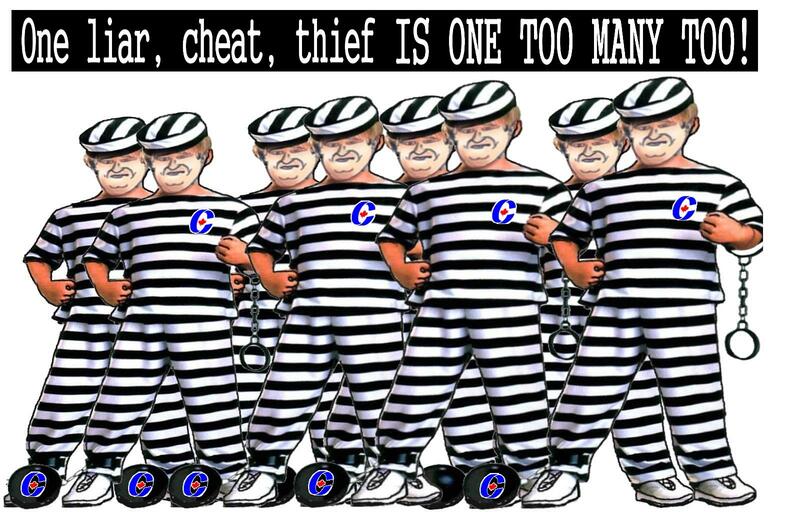 It is a common joke to refiniance a provincial election just issue some road contracts..
Face it the Canadian Queen’s Courts Canada wide too are more often now filled firstly with divorce, speeding, parking, bylaw infractions while even under the Conservatives the major criminals, white collared crime criminals, tax payer’s money thefts, abusers, are often, falsely too, not investigated, or successfully prosecuted neither by the police or the governments in reality and none of this is ever acceptable, not even in Canada..
Gomery wants new inquiry – this one into alleged mob, construction, politics ties MONTREAL – The man who led a historic inquiry into political corruption thinks another one is necessary amid allegations of criminal acitivity in the construction industry and municipal politics. 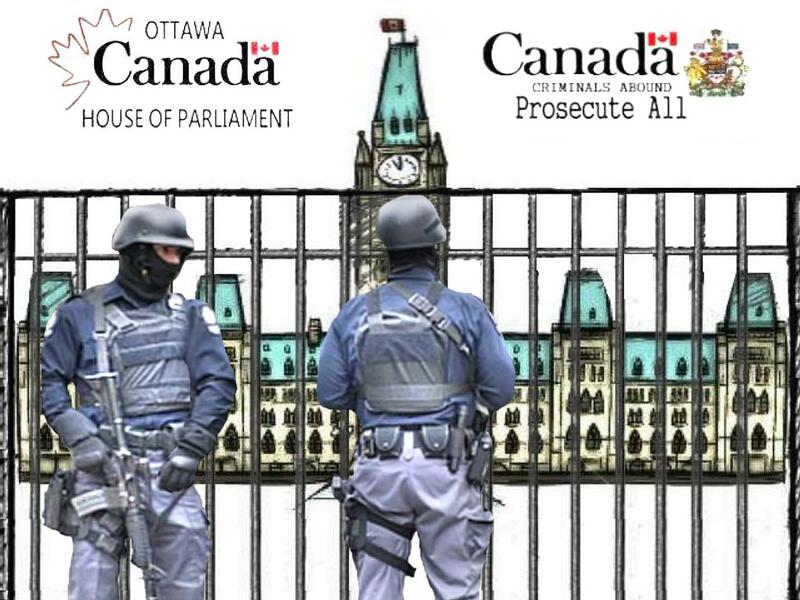 Mafia experts describe such corruption as a national occurence but so far governments at the federal, provincial, and municipal level have been resistant to the idea of a probe. The retired judge said large donors wield too much influence when it comes to the awarding of municipal contracts, and that an inquiry could explore those links.. Quebec’s highways cost 11 per cent more per kilometre than in Ontario and 43 per cent more than in the rest of Canada… Curbing corruption could save several hundred million dollars every year.. adds 20 to 35 per cent to the cost of public works projects… the savings would pay for better repairs to, and snow removal from, streets and sidewalks. It would reduce pressure on raising property taxes, parking-meter fees, and bus fares. And it would make tram lines (which cost $40 million per kilometre) more affordable. Why does more corruption happen in Quebec. Ah yes, a post-Christian society? 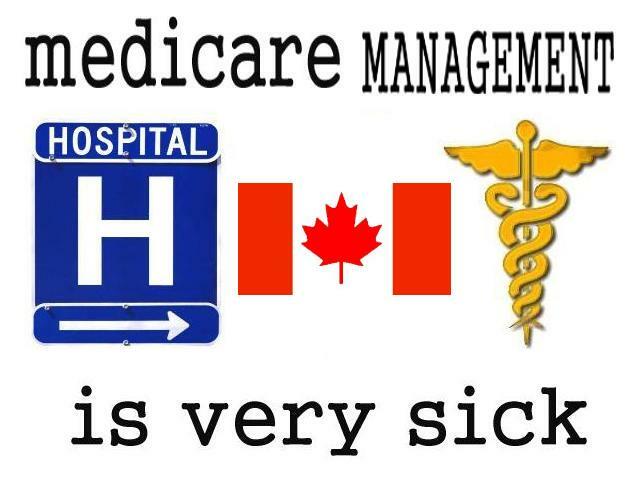 Hypocritical, It is basically no different from the crooked government contractors, consultants in BC, Alberta or or Ontario now too . 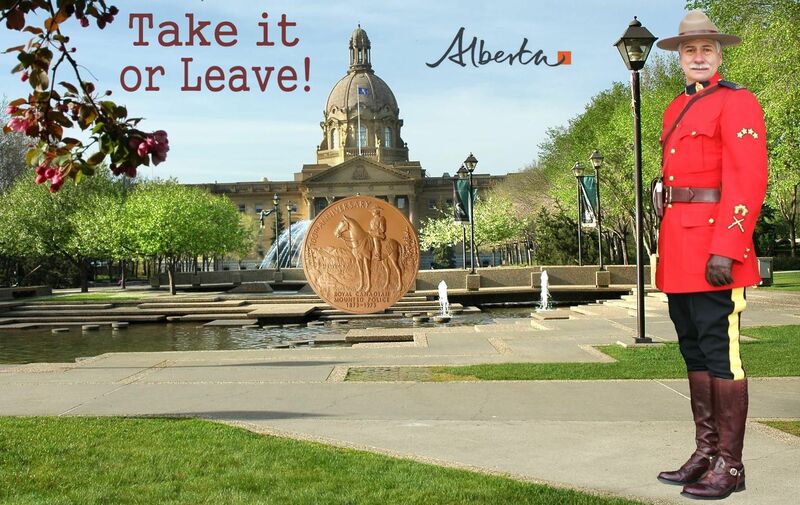 Look where much of the Alberta’s Heritage money was wasted also and why? . 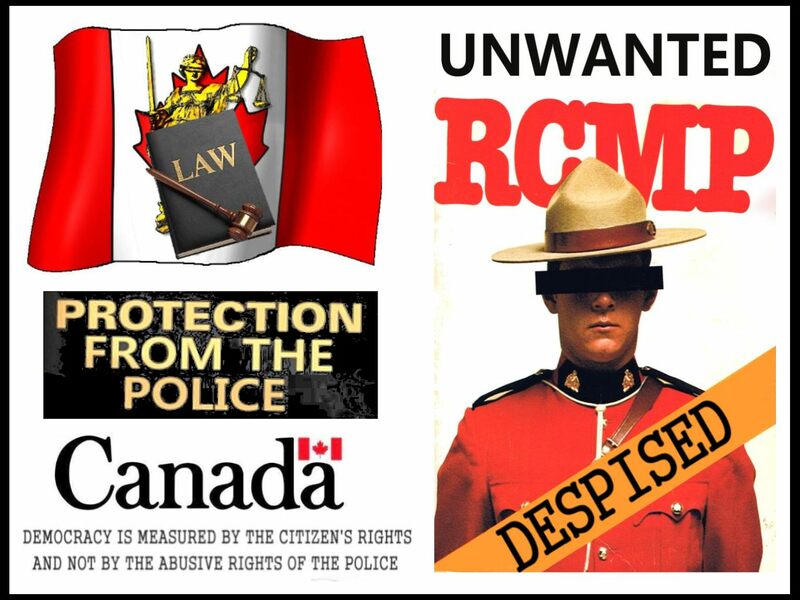 In Canada commercial and taxpayer’s money abuses are rarely prosecuted by the RCMP, the government’s master’s watch dogs, and the police cause they tend to envy the crooks, and the RCMP itself is known to abuse the tax payer’s money as well. 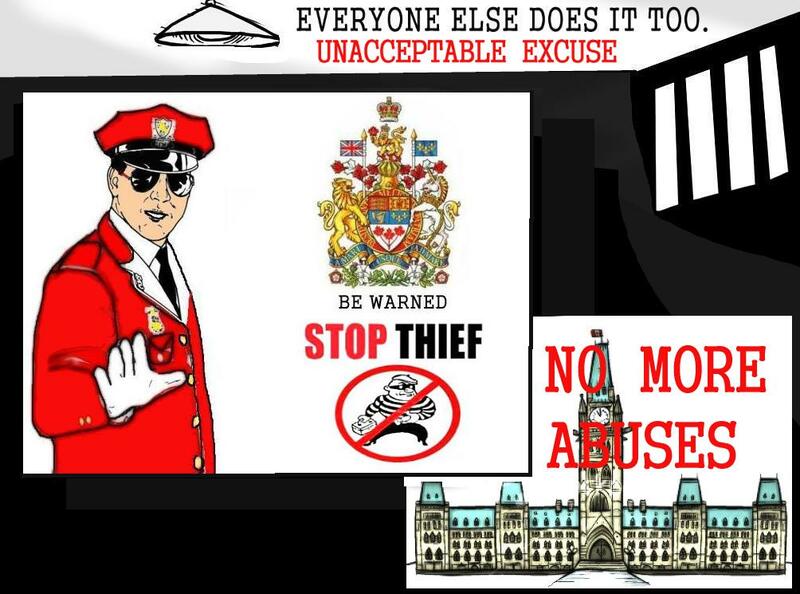 I know cause I reported commercial crime myself that I had personally witnessed to the RCMP, Police and it still never was adequately dealt with. Holding anyone Accountable also means them now being open and transparent. 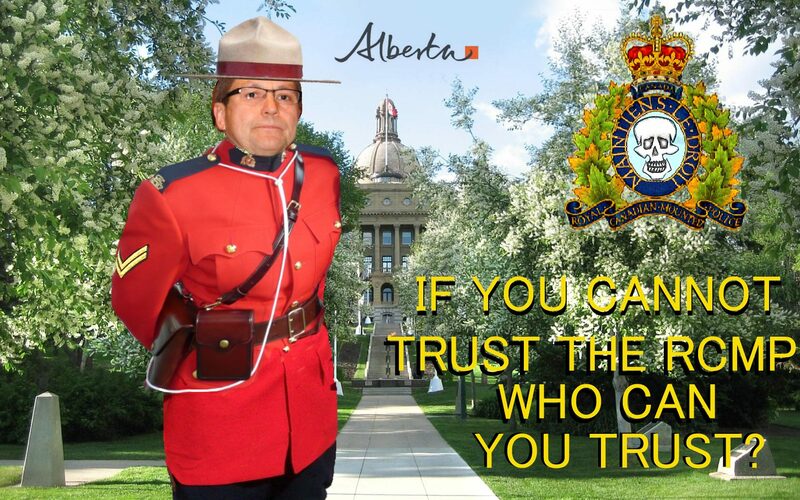 Governments and institutions, civil and public servants, RCMP as well. 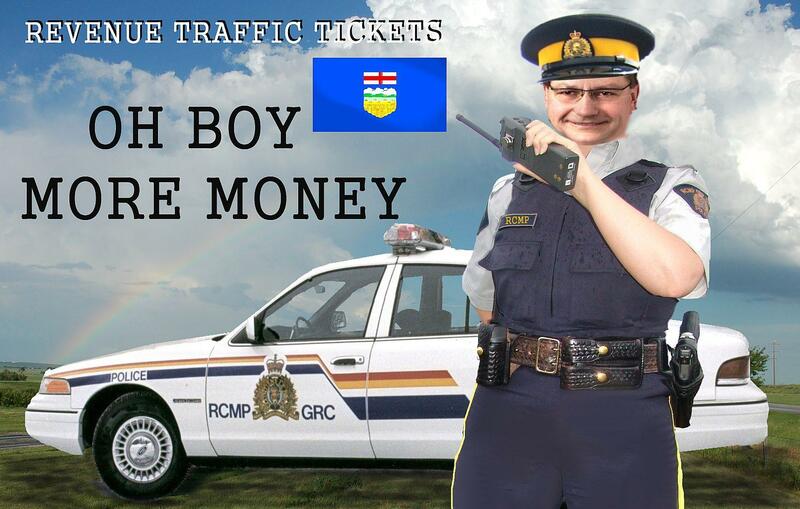 June 2013 Canmore, Cochrane; Bragg Creek and Redwood towns were one of the first to be hit with flooding as well and now yes CANMORE the home of the perverse Traffic court, and RCMP traffic ticket revenue generation as I have already written recently, the severe flooding moved on to Calgary and next to many cities along the rivers of southern Alberta. 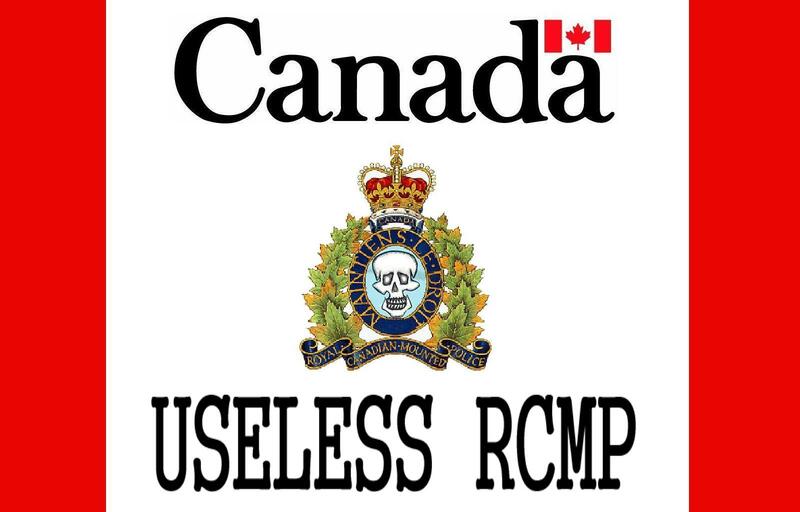 The RCMP have no time to get money from speeding tickets but instead they have to help instead the flooded citizens.. that must hurt their false pride and economic income. 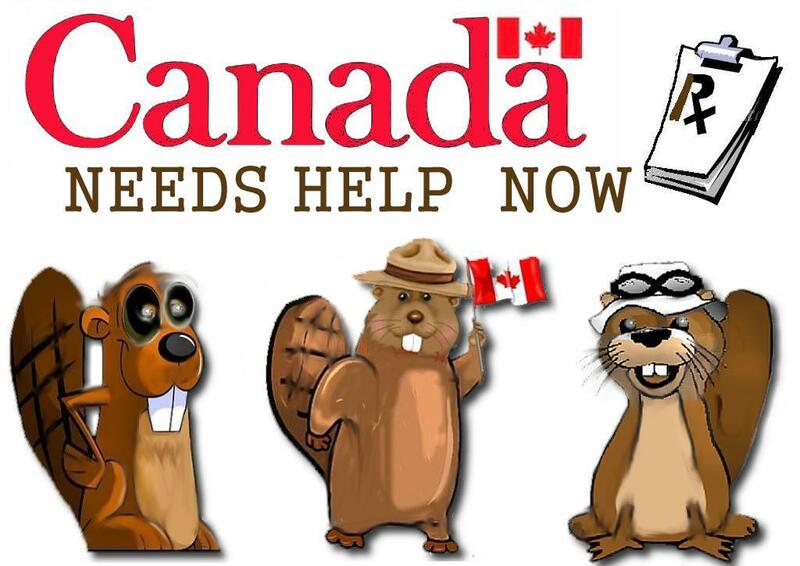 Now Flood emergency lifted in Cochrane; Bragg Creek and Redwood residents permitted to return..
CALGARY ALBERTA DOES NOT HAVE THE MONEY OR THE SKILLED MANPOWER TO REBUILD FROM IT’S UNEXPECTED DEVASTATION THAT OCCURRED INSTANTLY AND WILL TAKE DECADES TO RESTORE. Up to 150,ooo people without a Home to live in or a home that is flood damaged and NO one will pay for the repairs to it.. Major roads, even bridges damaged, the C-train put out of action for weeks, accessibility across town, or to downtown extremely difficult, the whole downtown core shut anyway.. Infrastructure damage in the Billions of dollars, months or years to repair too.. and No one had ever thought such a devastation would ever happen. 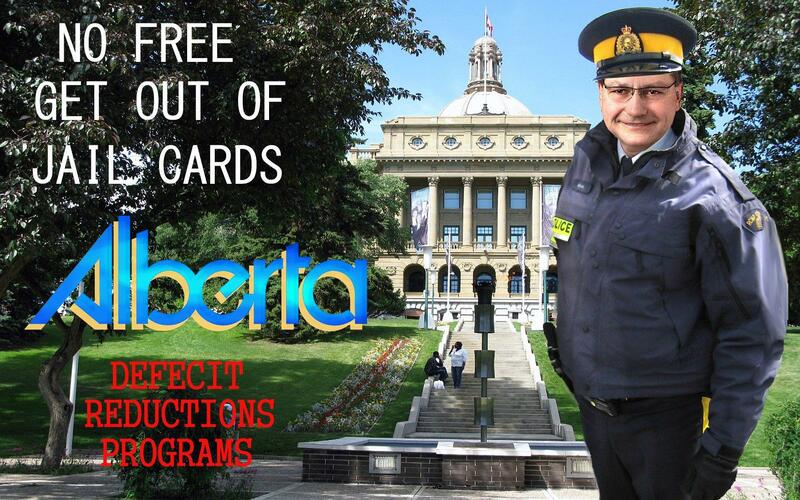 The Government of Alberta does not have the cash or income to pay for all of this too. Bowness park Where many of the seniors, poor people live, their homes were flooded too. Flooding impact in downtown Calgary is so dire that some parts of the core may take weeks or months to return to normalcy, Mayor Naheed Nenshi said on June 20,2013 . 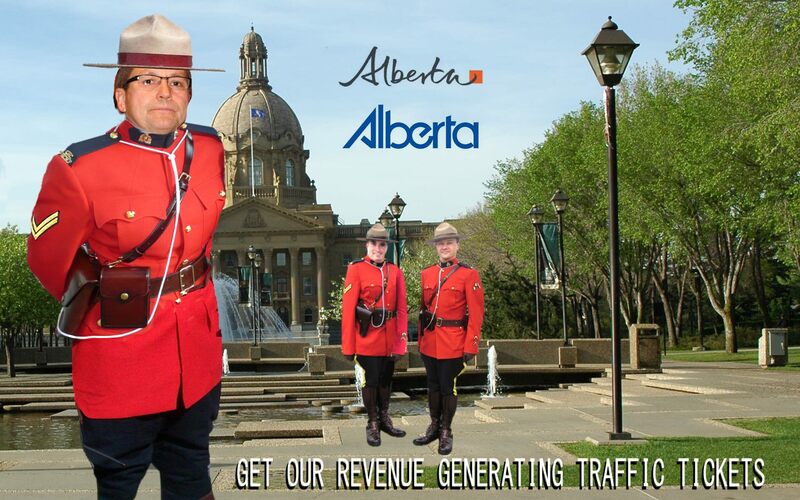 Calgary Alberta Downtown business to be shut down at least a month due to floods, power outages In Alberta now price gouging is going on . Products such as water and ice etc ., are being sold at jacked up values. 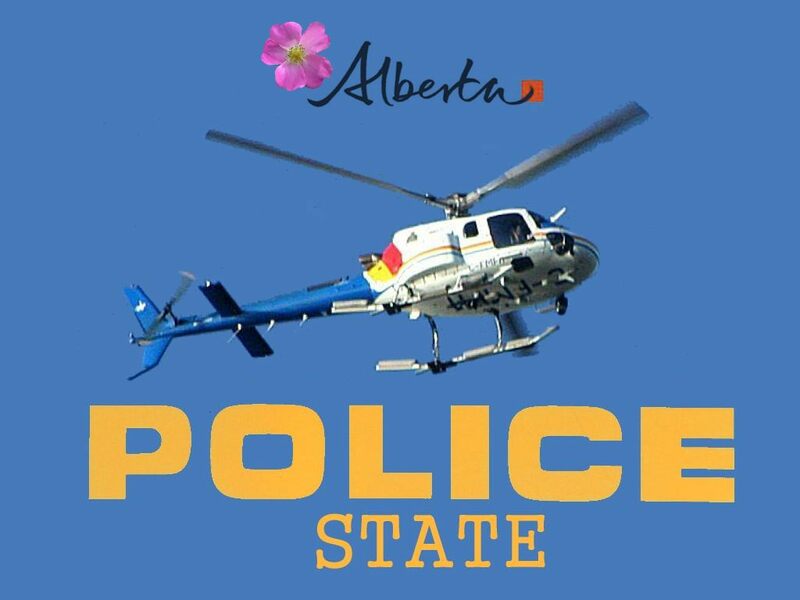 “Under the emergency management act in province of Alberta, price gouging or price fixing above normal levels during a state of local emergency is illegal and it would take some cooperation between ourselves and police but individuals could be prosecuted for that,” and “the legislation states the cost of goods before a local state of emergency should be the cost of goods during the local state of emergency.” Fire Chief and head of the Calgary Emergency Management Association Bruce Burrell says there are laws against it which protect the consumer. But it is all still just cheap talk as no one has been arrested for it so far. Such is the bad reality. 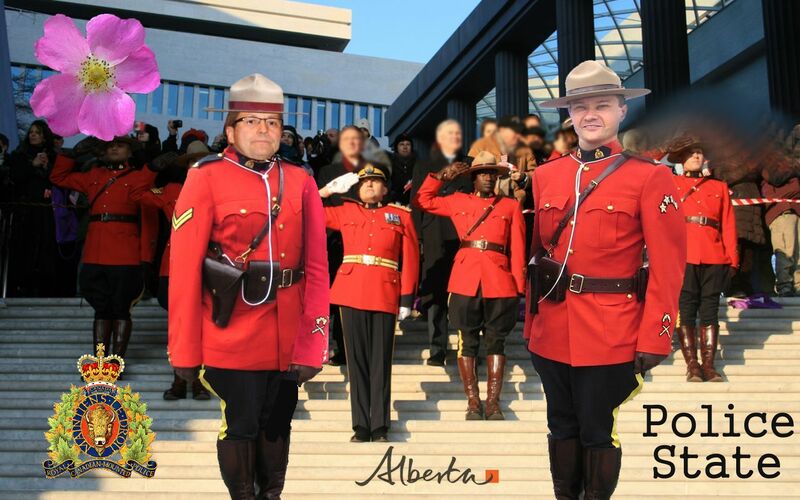 July 2013 Federal Official Opposition Leader Thomas Mulcair himself after visiting Calgary, Alberta said he doesn’t think the rest of Canada has a full understanding of the devastation caused by floods that hit southern Alberta now. “ it’s easy to forget that there are months, and months, and months of cleanup. 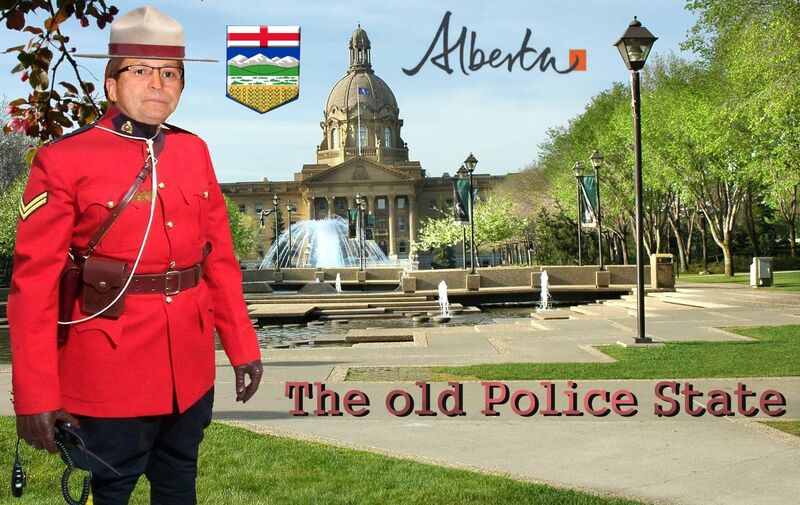 And then years and years and years of rebuilding” Many of the Albertans, First Nations and even low-income Albertans, including seniors, who were pushed out of their homes NEED TO be put back into proper housing EVEN before the Alberta winter hits. Who will help to do all of this still? Almost no one? Donations received are just a drop in the bucket. 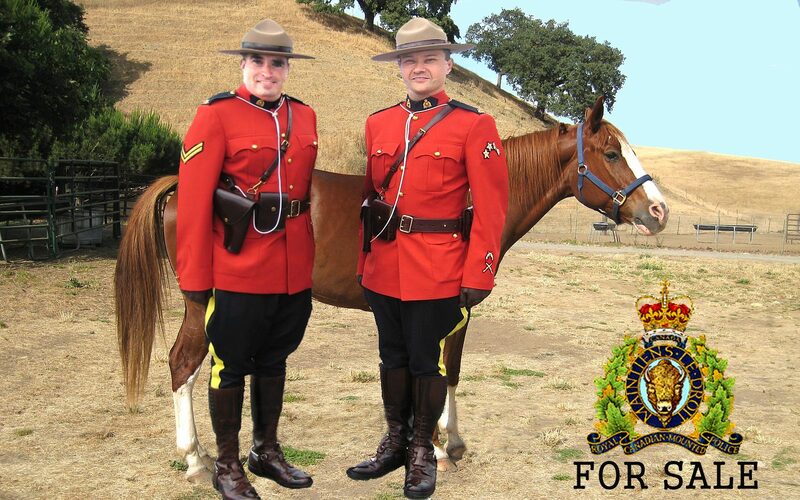 Royal Canadian Mounted Police Told Not To Aim Tasers At Heart, Chest AHN -Taser International advised the Royal Canadian Mounted Police not to aim their electronic stun guns at the heart and chest due to links of the weapon hit with cardiac arrest. 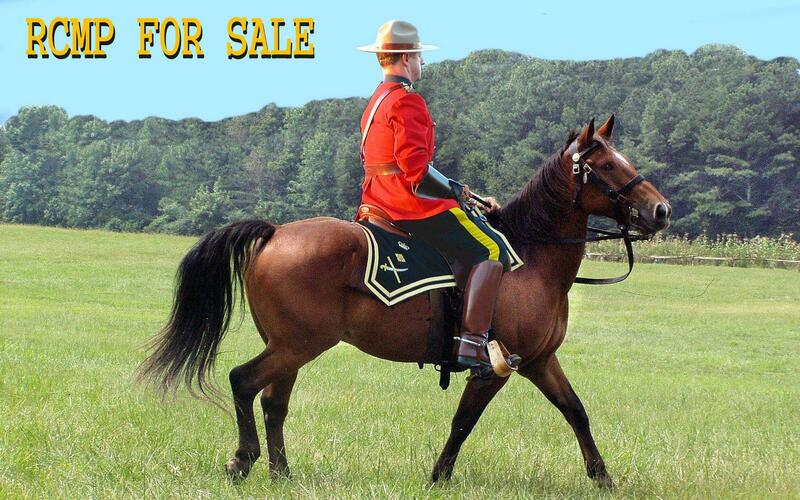 Instead of the two body parts, the Mounties were advised to taser their targets on their abdomen, legs or back. RCMP officer safety committee chairman Scott Warren expressed surprise at the Taser International’s advice because it decreases their target zone. 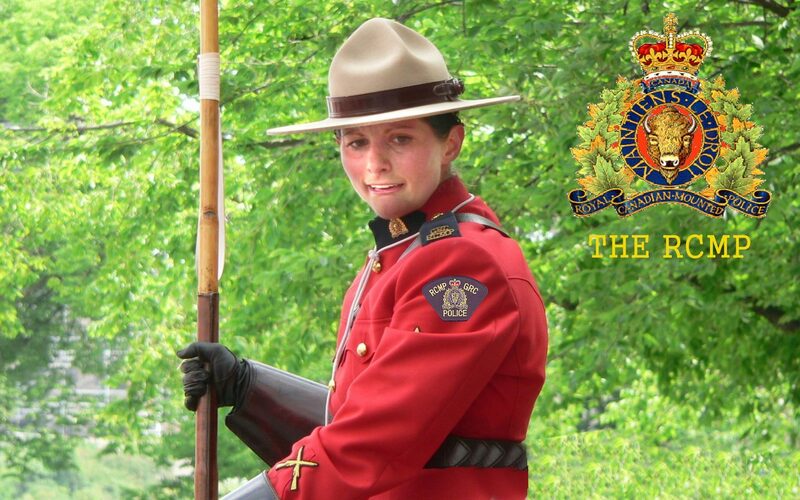 It also warned the Mounties to avoid using the Taser when their target is on elevated platforms or other places where a fall could result to more injuries. New police complaints office fails to address cops investigating cops: critics Mon Oct 19, 9:58 PM TORONTO – Ontario’s new civilian agency to deal with police complaints fails to fully address the key problem of police investigating their own, critics said Monday. Police investigating themselves tends to be merely masturbation again and not real justice.. Protecting confidential sources Lawyers Weekly – A journalist is jailed or fined tens of thousands of dollars. The offence? Promising to protect a confidential source. 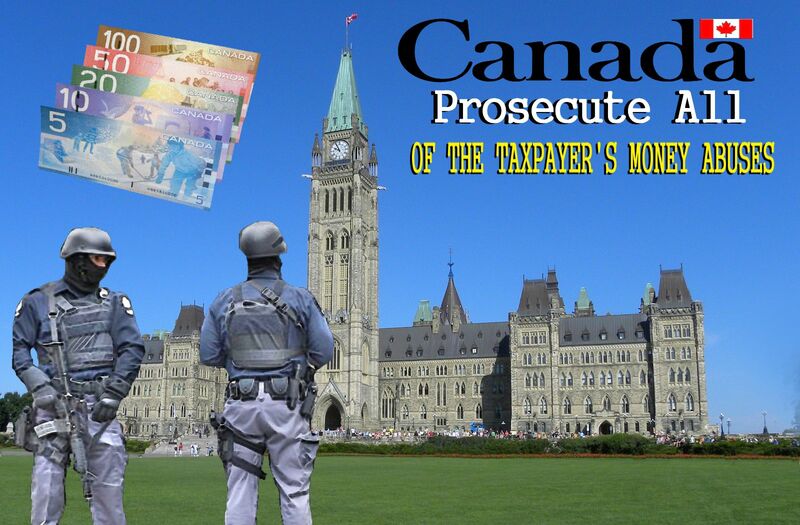 In May, the Supreme Court heard the National Post’s bid to protect a source behind reporter Andrew McIntosh’s “Shawinigate” investigation into federal loans and grants to businesses in the Quebec riding of former prime minister Jean Chrétien. A ruling could come this fall. 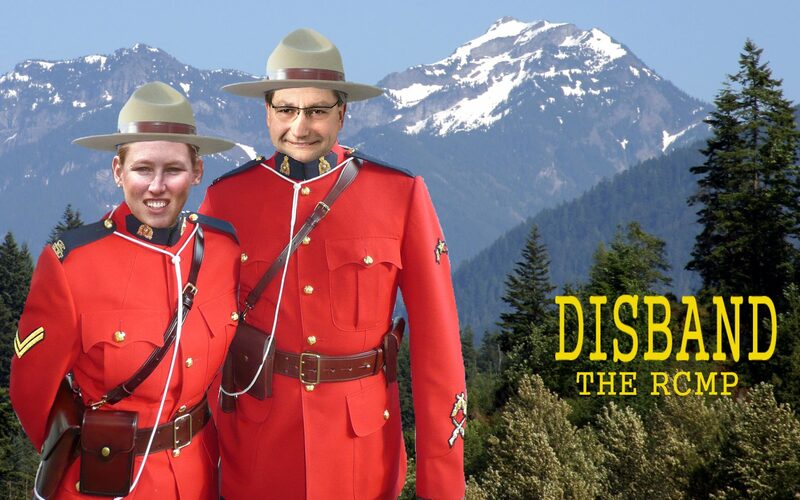 The McIntosh case has been before the courts since 2002, when the RCMP tried to seize a leaked bank document that suggested Chrétien personally benefited from a loan to a Shawinigan hotel he once owned. The document came from a source McIntosh had promised to protect, but police want to test it for fingerprints and traces of DNA that could identify the leaker. The Post challenged the warrant and won at the trial level. 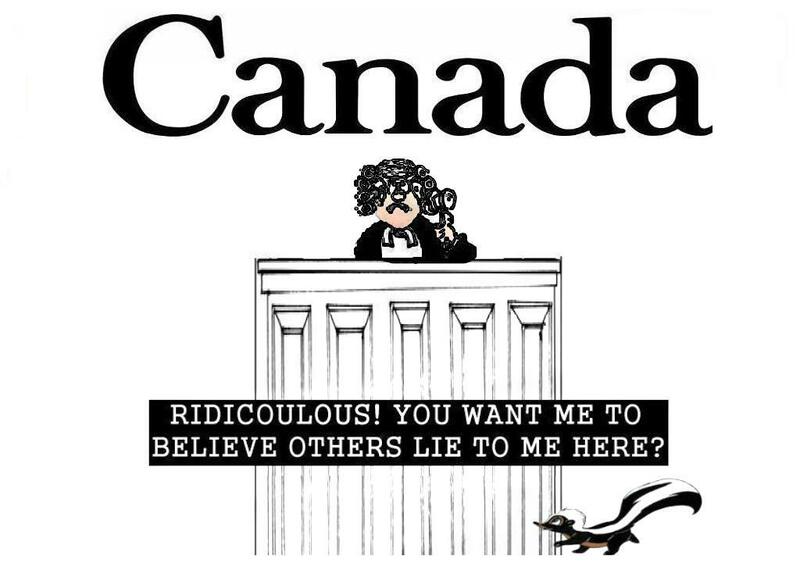 In 2004, Justice Mary Lou Benotto of the Ontario Superior Court described confidential sources as “essential to the effective functioning of the media in a free and democratic society,” and she ruled this particular source should be protected, not exposed (R. v. The National Post et al.,  O.J. No. 178). Ontario’s Court of Appeal disagreed and, in 2008, ordered the Post to hand over the document (R. v. The National Post,  O.J. No. 744). The court accepted, as did Benotto, that gathering and disseminating information “without undue state interference is an integral component” of the Charter right of freedom of the press. And in some cases, the courts will recognize the journalist-source relationship as privileged. Police and security chiefs ARE NOW able to scour the contents of every email and internet phone call sent in Britain. The program, known as Deep Packet Inspection, also gives them the ability to eavesdrop on phone calls made over the internet. The proposals, revealed by Home Secretary Jacqui Smith, come amid increasing evidence that terror groups such as those in the Mumbai attacks are using internet telephones to avoid telephone taps on landline and mobile phones. NOW I HAVE NOTHING TO HIDE, but I do rightfully object to a police state and the political watchdogs being used by any of the perverse, crooked politicians to watch over any of their rightful opponents, At least they should get a court order from a judge stating the reason for their search now too and next also their actual findings.. 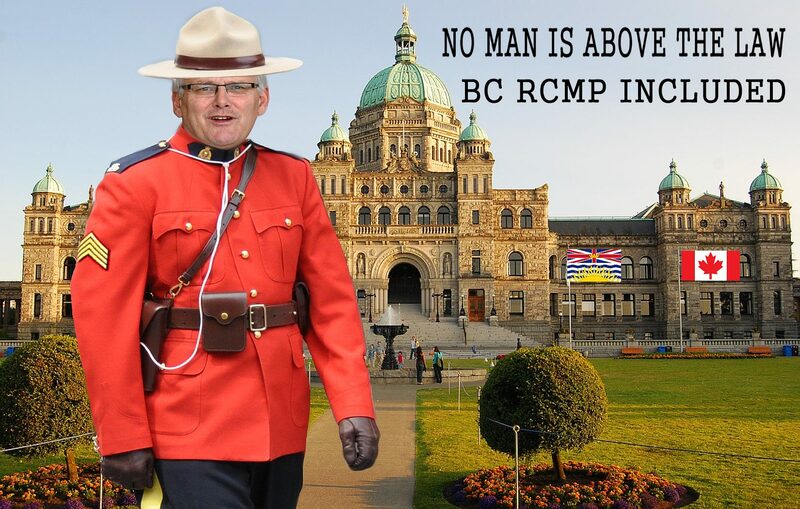 Tags: B.C. 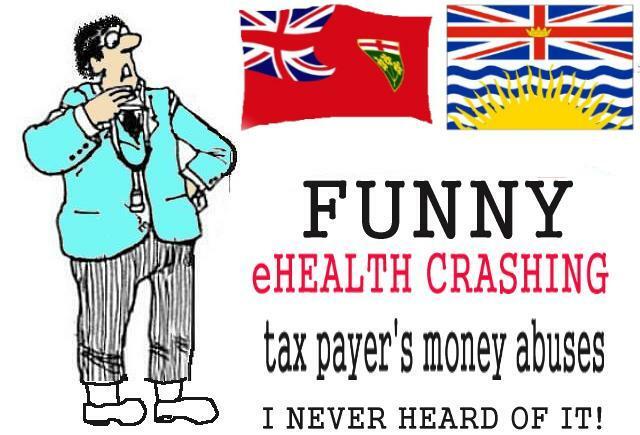 government bureaucrats, BC Fraser Health Authority manager, Canada, computer consultants, computer vendors, corrupt public official, Corruption, Cost Effectiveness, Dr. Jonathan Burns, eHealth, eHealth expenses, ex MP Vic Toews, ex PM Harper, ex Prime Minister, Fraud, government, government consultants, health bureaucrats, health care, HEALTH CONSULTANTS CORRUPTIONS, Health Minister, ignatieff, James Roy Taylor, Liberal Party of Canada, Liberals, LOSS OF CREDIBILITY, Michael Ignatieff, Mismanagement, Progressive Conservatives, public and civil servants, scandal, sickening, Stephen Harper, suffering, Unscrupulous, waste, WHITE COLLARED CRIMES. 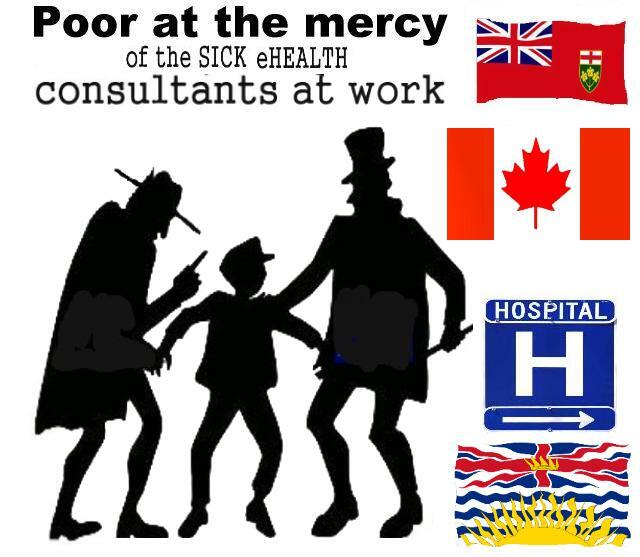 WE READ ABOUT IT IN ONTARIO AND NOW NEXT IN BC ALSO HEALTH CONSULTANTS CORRUPTIONS, WHITE COLLARED CRIMES..
Dr. Jonathan Burns, head of Pixalere Health Care, in RCMP probe gets $320,000 annually. 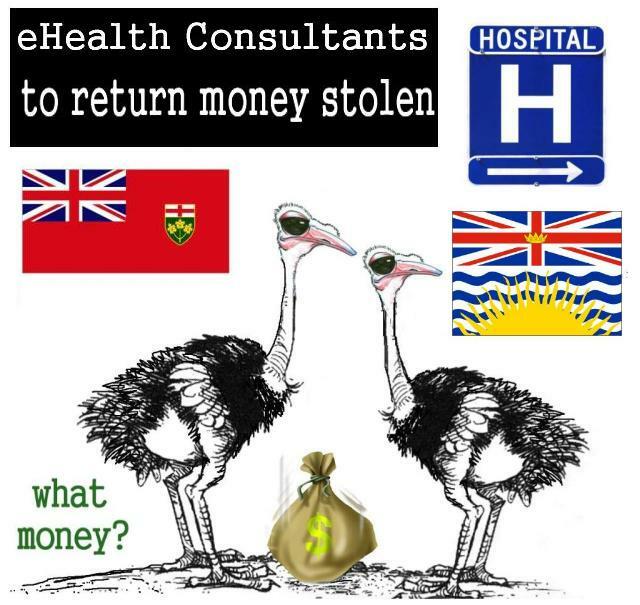 The RCMP alleges that Burns bribed two provincial health-care bureaucrats in the process of getting the Pixalere adopted for use. 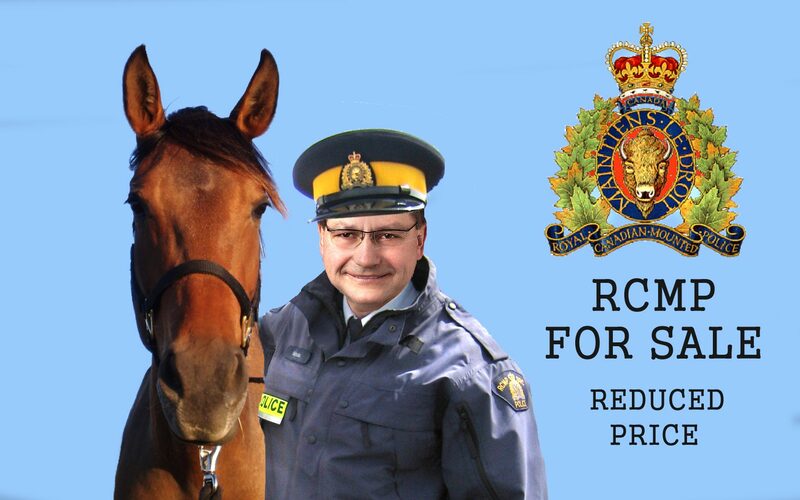 The RCMP also allege former Fraser Health Authority manager James Roy Taylor allowed Burns to fraudulently submit more than $500,000 in invoices while the Pixalere was being tested, in return for a $70,000-a-year job for Taylor’s wife and free use of the Kelowna condo. 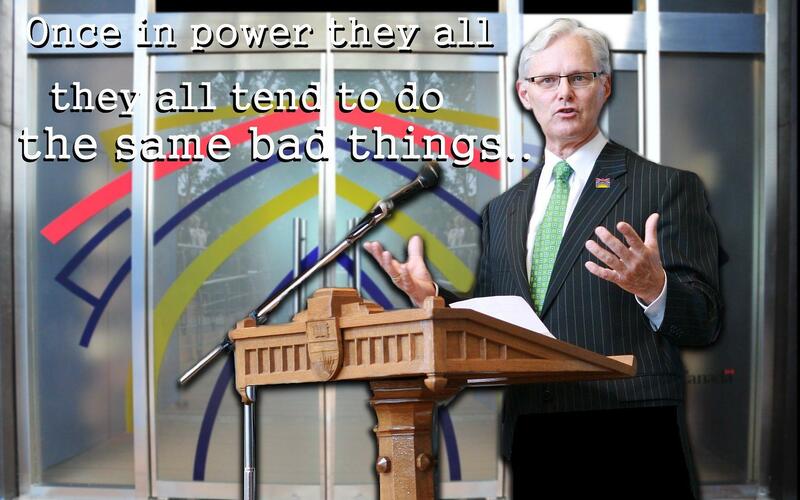 There is nothing lower than a corrupt public official. Insider information, Unfair and restrictive trade practices, double billing and much more…There is corruption at every level of government where money is involved. 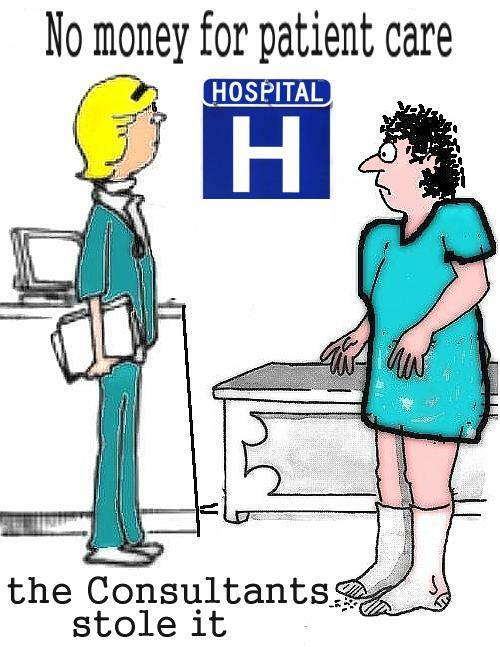 The citizens get told their health care must be cut and meanwhile the executives are busy lining their pockets. He and his insider chums should be sued, if necesssary, to recover all the monies they have skimmed from this province over the years. I don’t believe that any senior B.C. 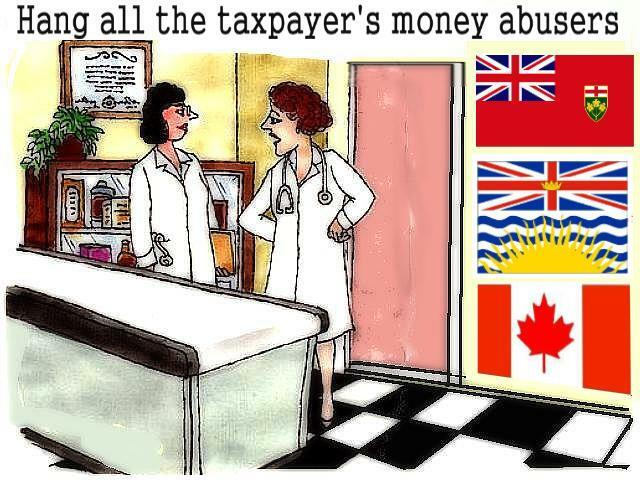 government bureaucrat necessarily knows even the meaning of the word “ethics”, Dr. Burns certainly should. .
It’s time to pry off the greedy fingers off what is left in BC and demand some resignations! The fact that this creep was hired after already being found guilty of fraud is disgusting! It only shows how corrupt those in control really are. 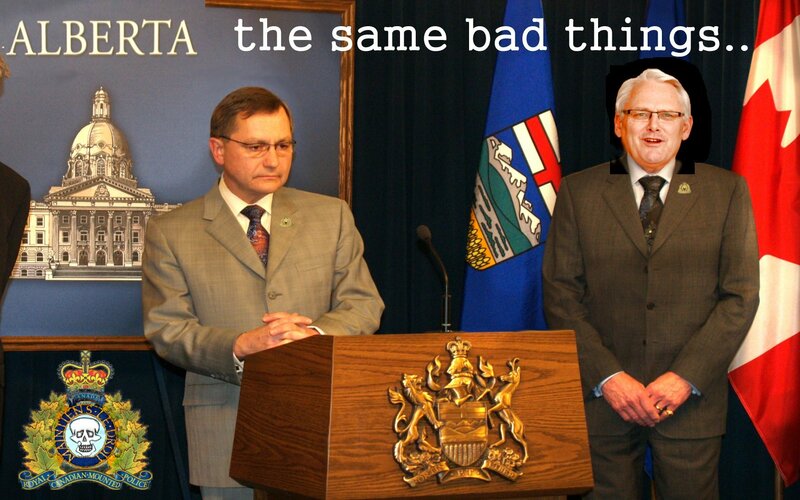 And that would include the Campbell government. 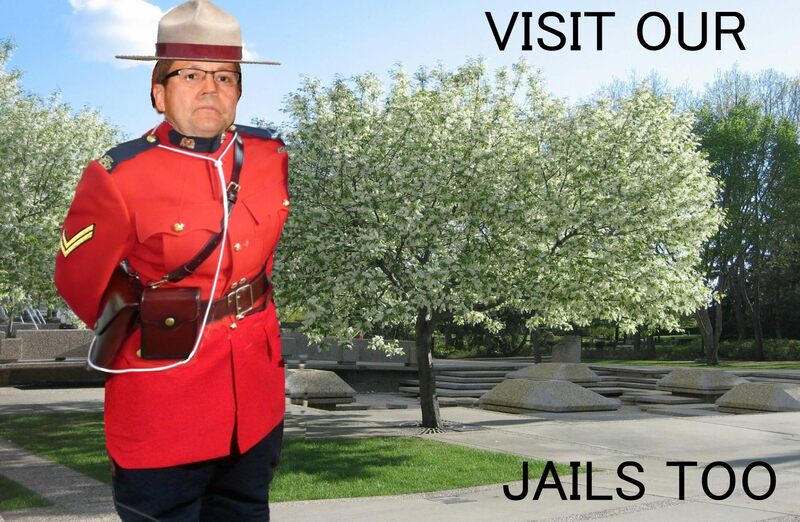 “two years’ night-time house arrest for fraudulently pocketing more than $40,000 while president of the White Rock Sea Festival” …so this thief steals $40,000 and then is “punished” by having to sleep in his own bed at night… these health boards are nothing but high paying jobs for the liberals friends. 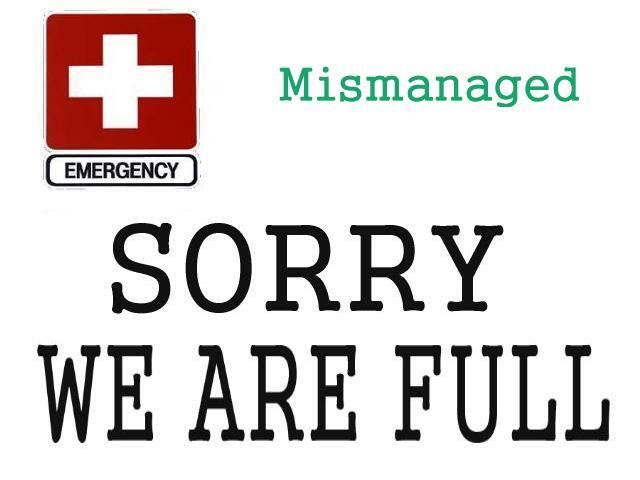 we don’t need them. 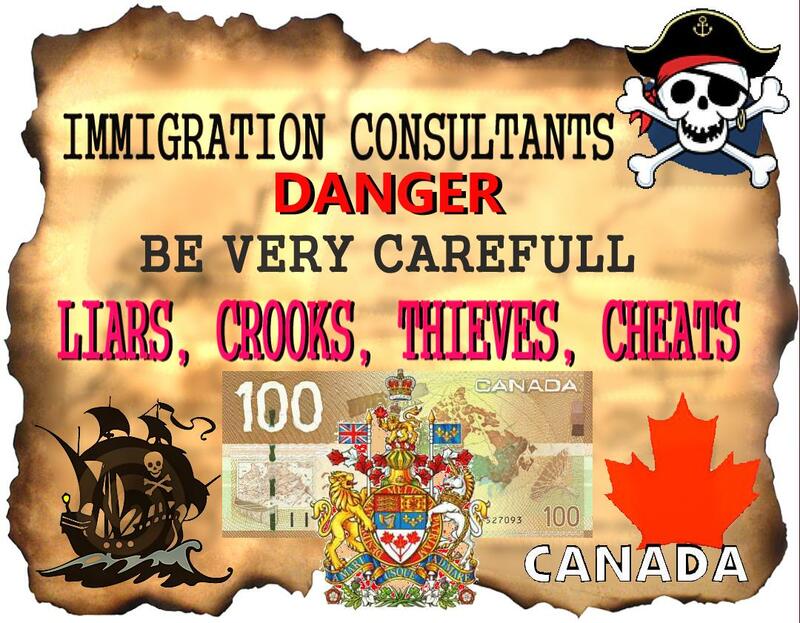 All of this is just the tip of the icebergs, it seems when it comes to computer vendors, computer consultants the mostly immoral persons surface, and get the jobs Canada wide as well, Ontario included now, and for decades in the federal, provincial, municipal levels now too..
By the way the government of British Columbia, Canada is already well known for not caring about the poor people, the citizens good welfare or legal, human rights.. they seem to be self centered, selfish and crappy. 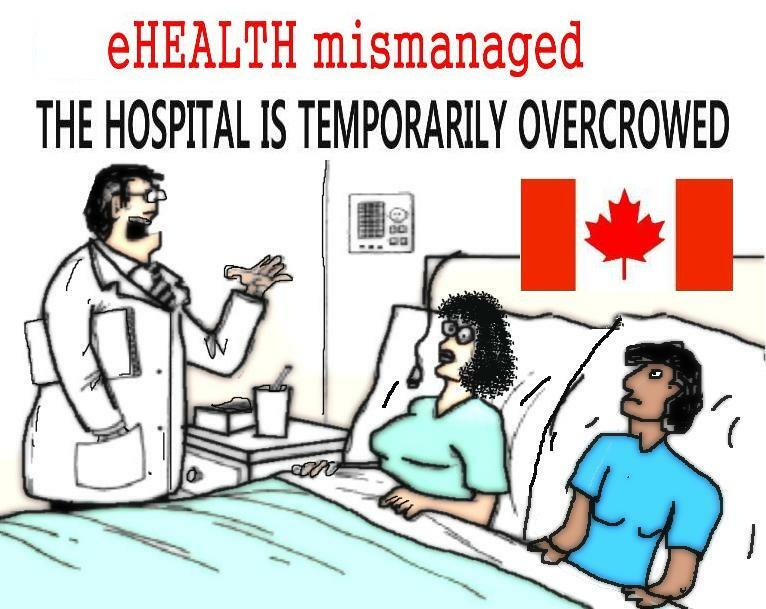 We read continually in the news how pretentious government ministers do a bad job of managing the health care system, as well as the pretentious Hospital managers now as well. 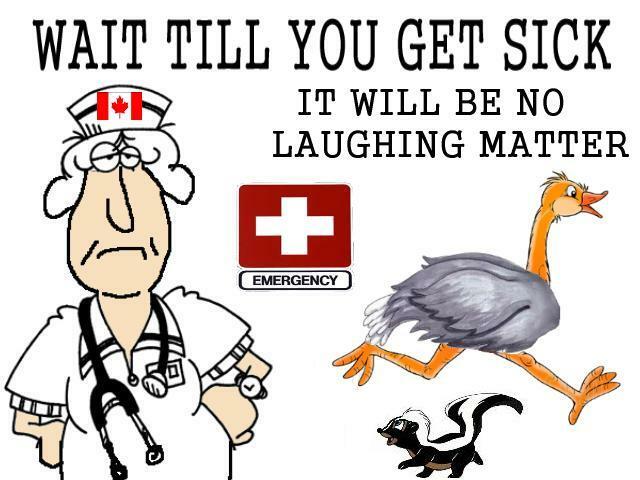 For a few years I was not getting enough looking after from the local Quebec medical establishment, while they were busy charging with their services with my health card. 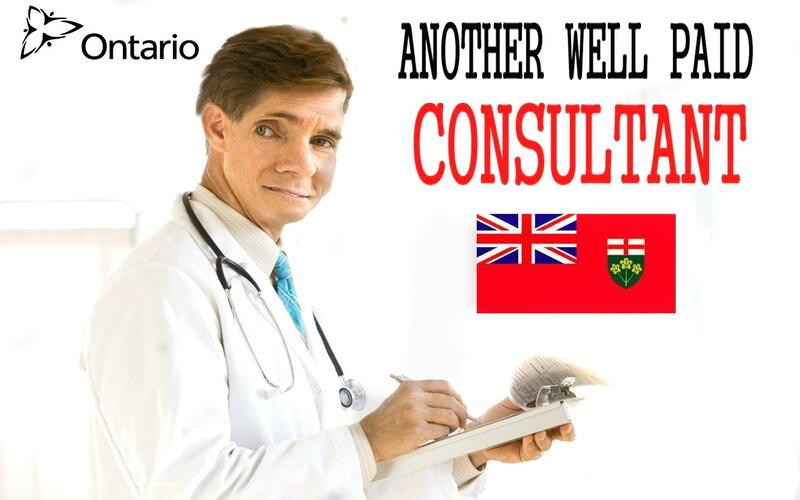 So I next had merely informed my main doctor that I was writing a report to the federal and provincial health minister of how I was being treated by him, and well next the doctor started to take his work seriously and to give me adequate care.. 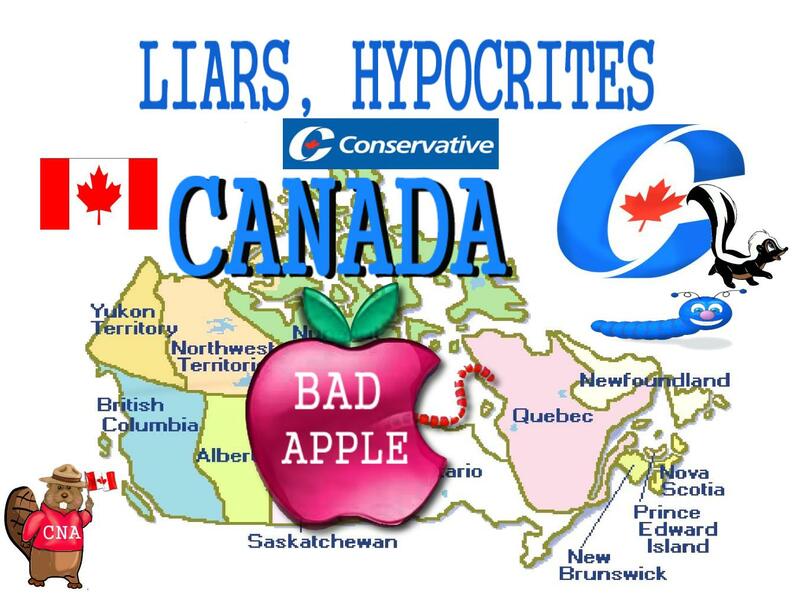 The federal Conservatives were elected in 2006 on a promise to do better than the Liberals. 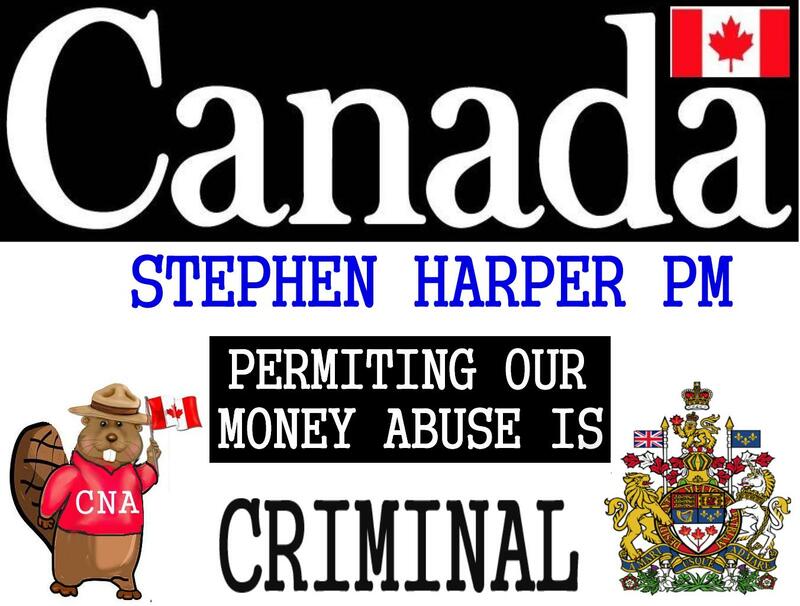 Stephen Harper pledged to end an array of Liberal abuses. 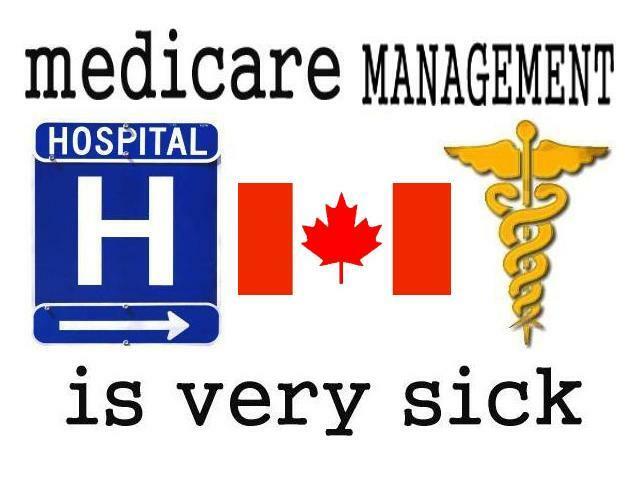 No more care and feeding of Liberal-friendly lobbyists and cronies. No more fat contracts directed to Liberal firms. No more stuffing public bodies — from courts to the Senate to the bureaucracy — with Liberal fellow travellers. 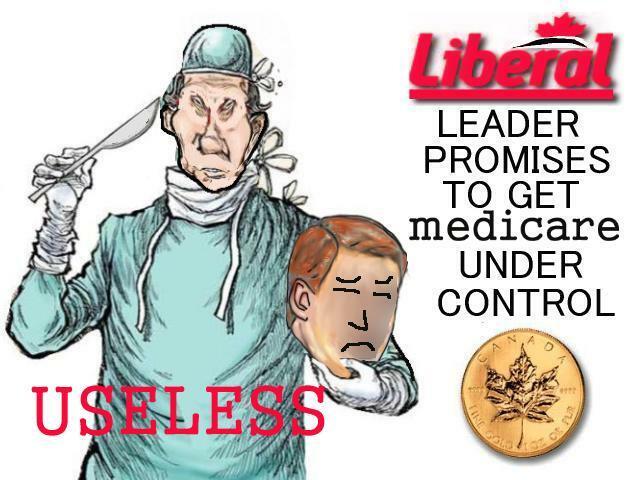 No more Liberal hubris, no more Liberal hypocrisy. 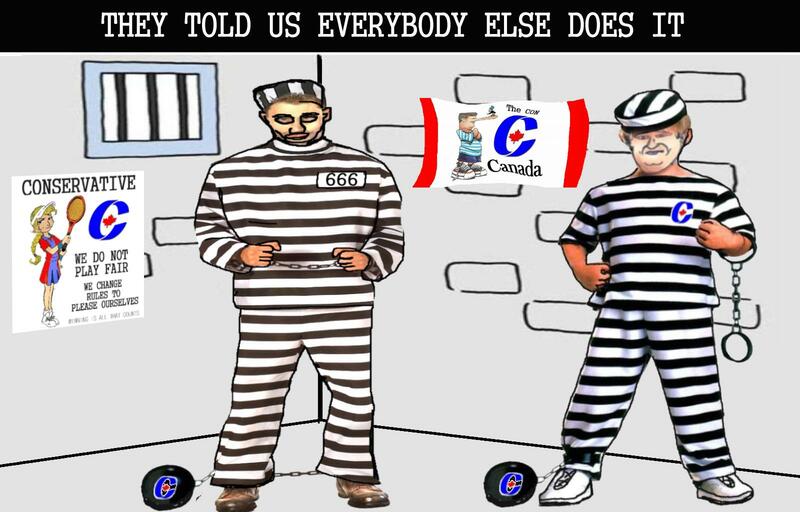 Instead, Mr. Harper’s government resorted to co-opting the Liberal playbook and refining, rather than eliminating, its many tricks. 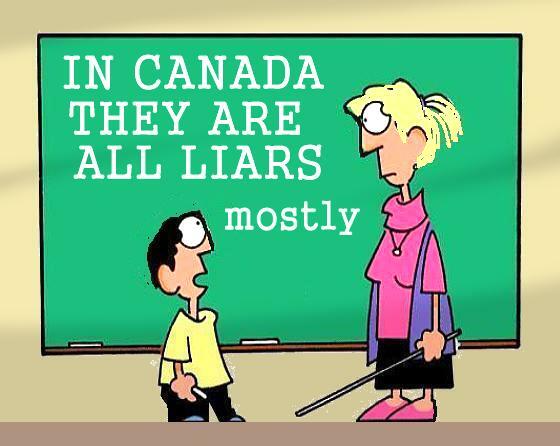 The Conservatives introduced the Accountability Act, but remain reluctant to hold themselves accountable for much of anything. On Thursday, Justice Minister Rob Nicholson dismissed the latest attempt to improve Canada’s privacy and access-to-information laws, arguing that a collection of proposed reforms were unnecessary and cumbersome. 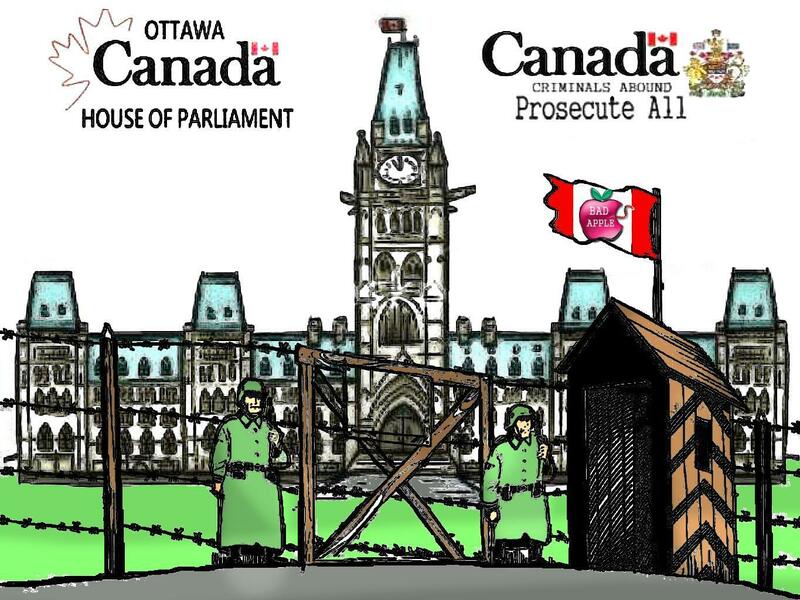 Cumbersome is an apt word for the system Canadians must endure in seeking access to public information. As journalists, we can attest that the delays are lengthy, the user fees are arbitrary and the information — when and if it is eventually supplied — is likely to be heavily edited.. extending a broken system is hardly a satisfactory improvement. 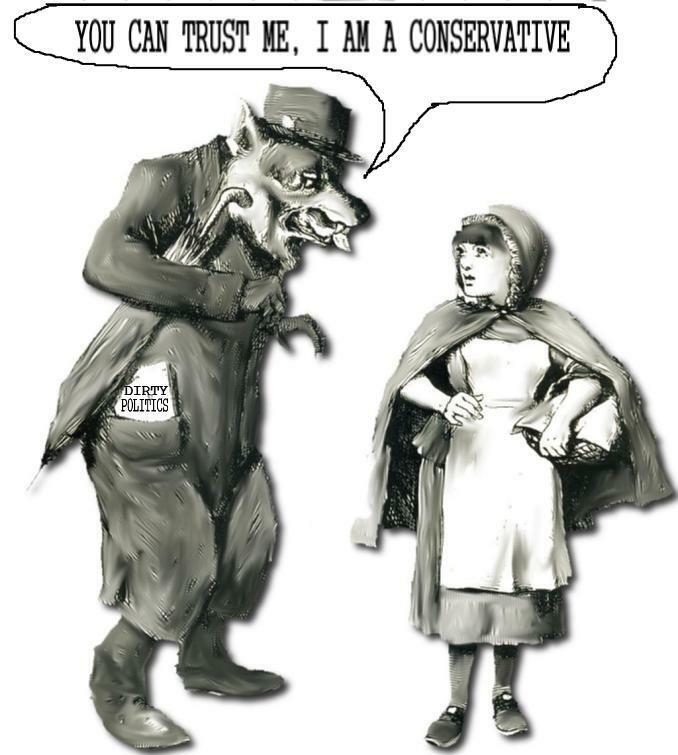 In other areas, the Conservatives have taken the worst of Liberal practices and adapted them for Tory use. Liberal dominance of the Senate has been eroded with a steady stream of Conservative appointees, with the Prime Minister often picking Tory bagmen and partisan faithful. Boards, commissions, advisory bodies and the gamut of rich pickings available for patronage appointments likewise have been “balanced” with obedient Conservatives. A party that used to rail at the Liberals’ willingess to direct public money to Liberal ridings, and its shameless toadying to Quebec, now pours money into Conservative constituencies and laughs off its own egregiously partisan activities in Nova Scotia as just the way the locals like to do business. 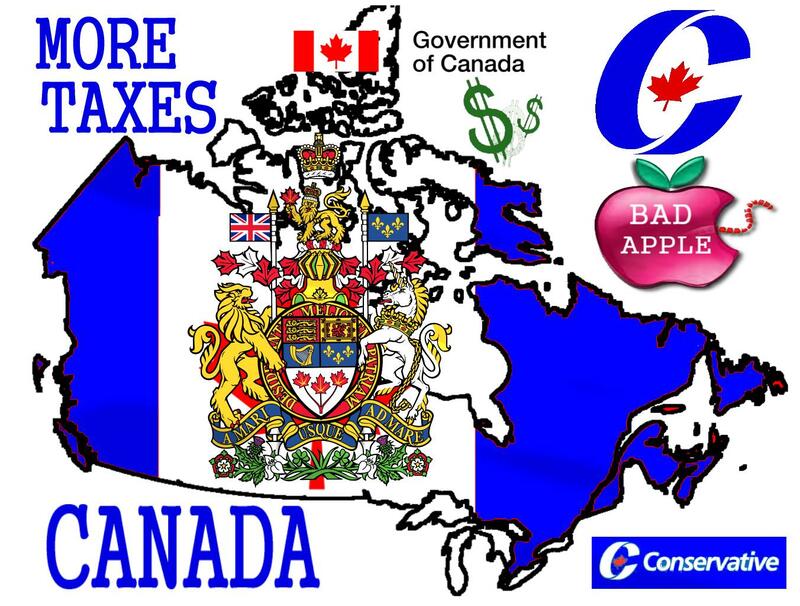 The latest uproar, over the government’s propensity for including its party logo on giant ceremonial cheques used to distribute stimulus money, could be dismissed as just more of the same, were it not for the brazenness of the Tory reaction. The Prime Minister’s Office sent out a memo to MPs advising that logos were not allowed, but chief spokesman Dimitri Soudas assured local MPs there was nothing to stop them putting their own names on the cheques, and defended their right to claim credit for successfully funneling public money to benefit their ridings. That’s an attitude we’ve seen before, from haughty and complacent Liberal regimes so accustomed to power they came to treat it as a right. 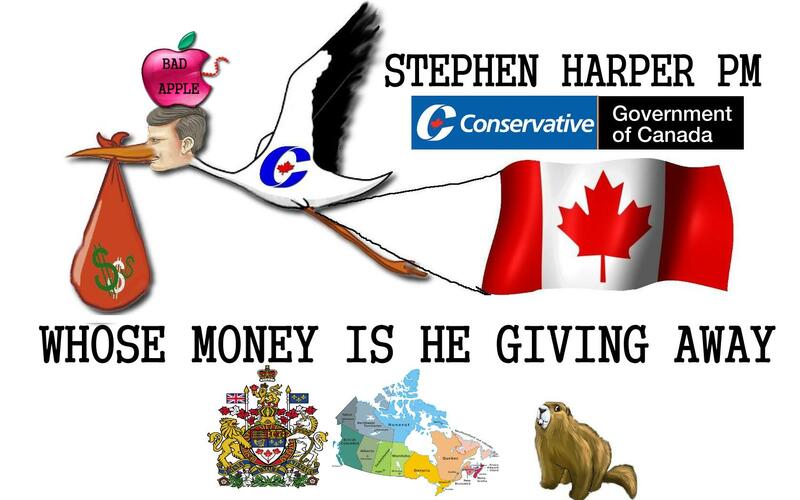 After less than four years in office, the Harper government appears to have similarly lost sight of the fact the money it spreads around so enthusiastically belongs to Canadians, not to Conservatives. The aim of stimulus money is to offset the worst effects of a recessionary economy, not to win votes for the local Tory MP. 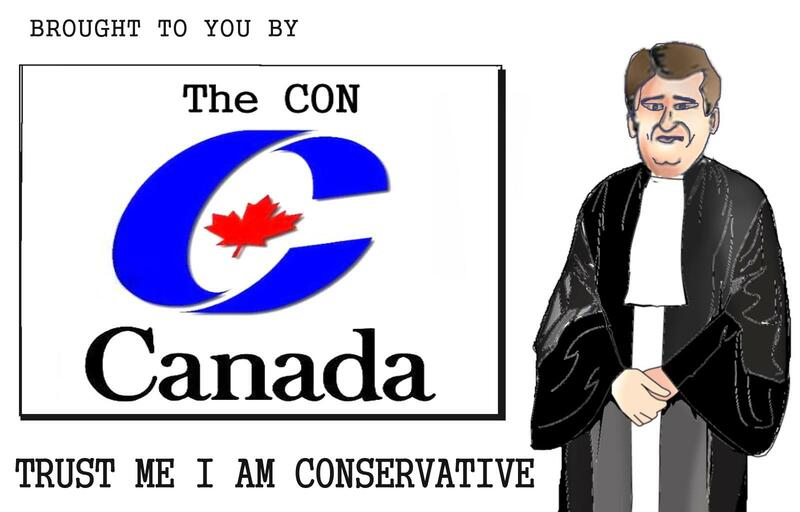 Yes, less than a week after railing against “left-wing ideologues” in Canada’s court system, two faced, patronistic Prime Minister Stephen Harper had appointed five judges with ties to the Conservative Party of Canada . . but I have been saying along he would do this .. Harper is continually saying one thing to us all and doing the opposite. The Conservatives campaigned on promises to make the JACs more independent. But once they next do get the power they do the same thign as all the others, absue it.. for they are liars and hypocrites with a hidden agenda. 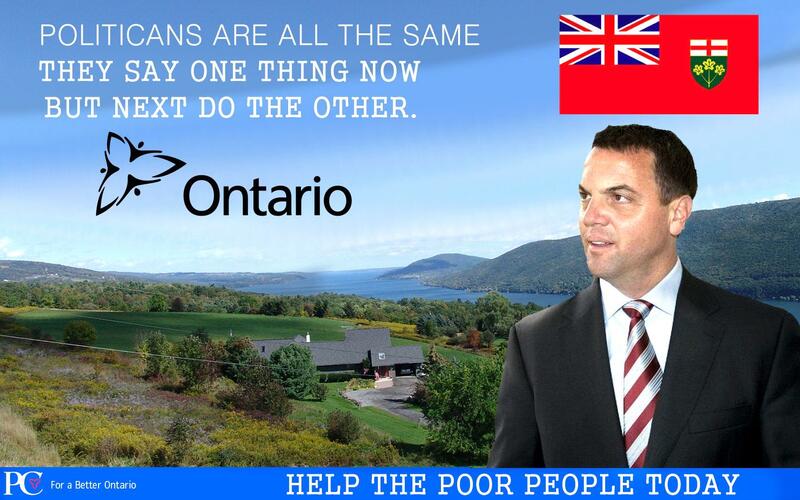 In early September, in a partisan speech in Sault Ste. 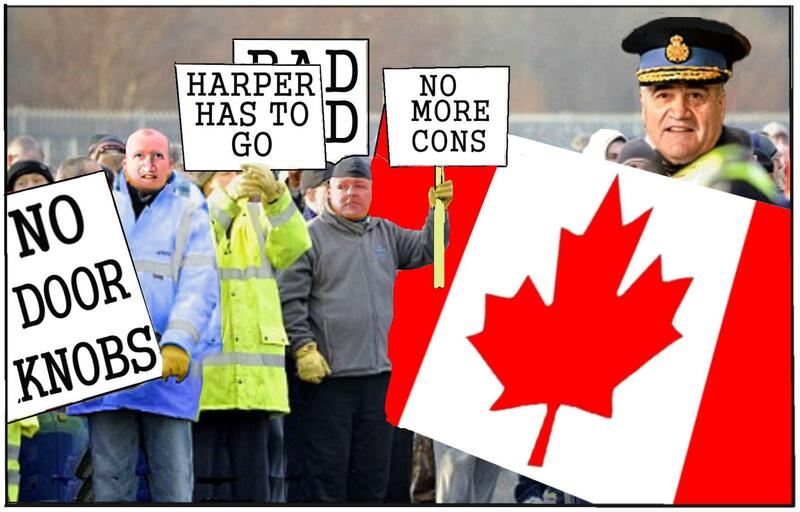 Marie, Ont., Harper said the Liberals, had they won the government last fall, would be putting “left-wing ideologues . 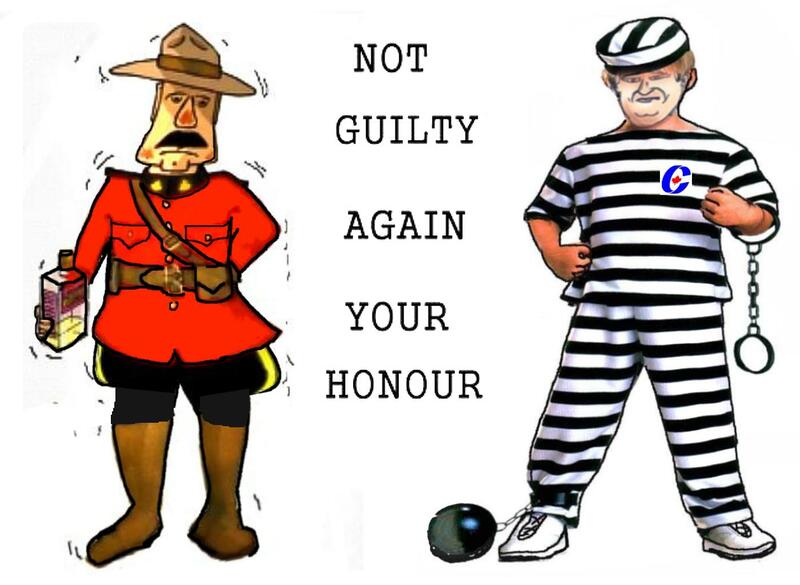 . . in the courts, federal institutions, agencies, and the Senate.” But just a few days later, on Sept. 9, Harper and his cabinet signed off on five judicial appointments, one of whom was a Mulroney-era cabinet minister, and four others who contributed thousands of dollars to the Conservatives since 2004. While in opposition, Harper and other Conservatives frequently criticized the Liberals for appointing judges who had close ties to that party. “This is a very serious matter, calling into question the independence of the judiciary,” Conservative MP Peter Van Loan told the House of Commons in 2005. 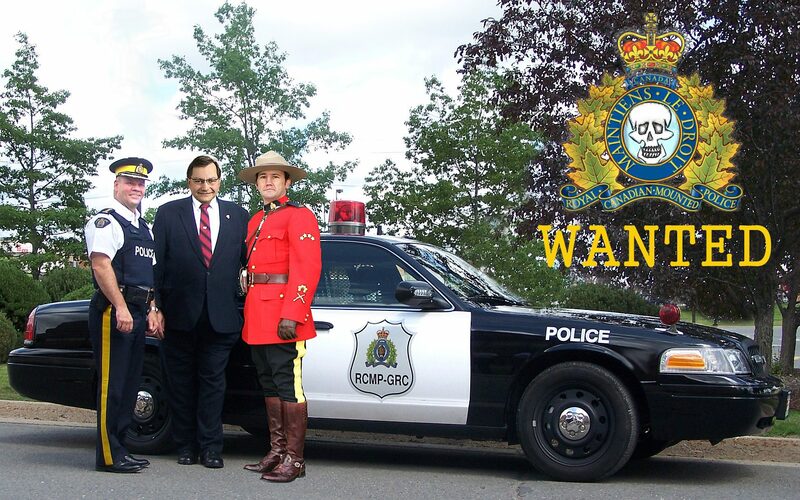 Van Loan is now the country’s public safety minister. 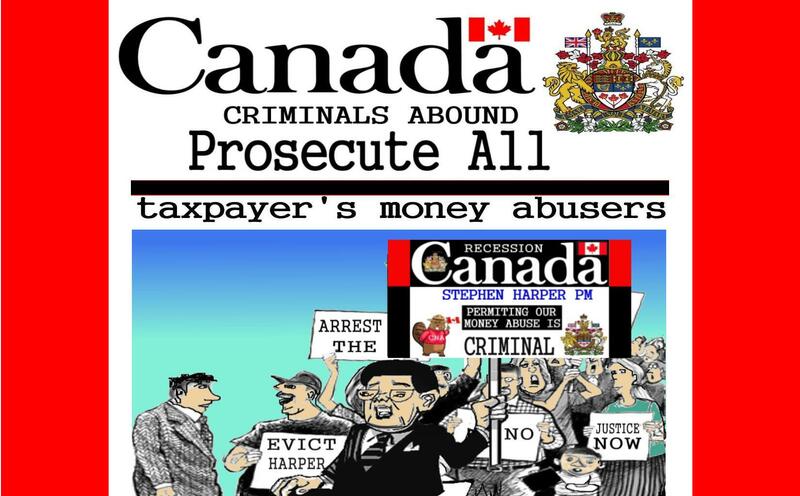 “At at time when Canadians are looking to the courts to deliver justice . 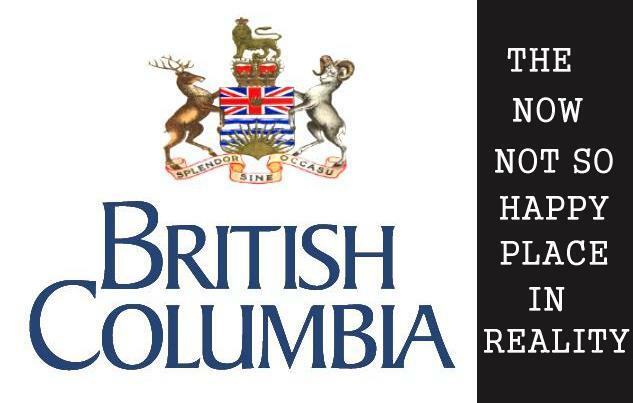 . . this news corrodes public confidence in the courts.” One of Harper’s key campaign promises from 2006 was to create an independent public-appointments commission. But the Tories wanted one of their own biggest financial contributors, former oil and gas executive Gwyn Morgan, to head that commission. Opposition MPs who agreed with the idea of a commission objected to Morgan’s appointment to run it. After Morgan’s nomination was rejected, the Conservatives dropped the idea of a public-appointments commission and have continued to make appointments, by and large, in the same way the Liberals did before them did. Political appointments are handled by senior political staff working within the Prime Minister’s Office. 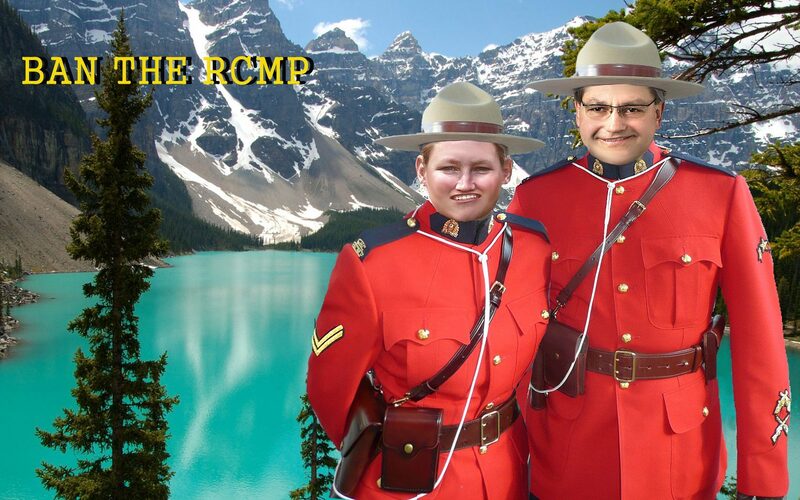 •Heather Jane Chutler – Former member of the Vancouver Quadra riding association board…S he is the ex-wife of Geoff Chutler, a Tory activist who ran unsuccessfully in Quadra in 1993 and 1997 for the old Progressive Conservative party. 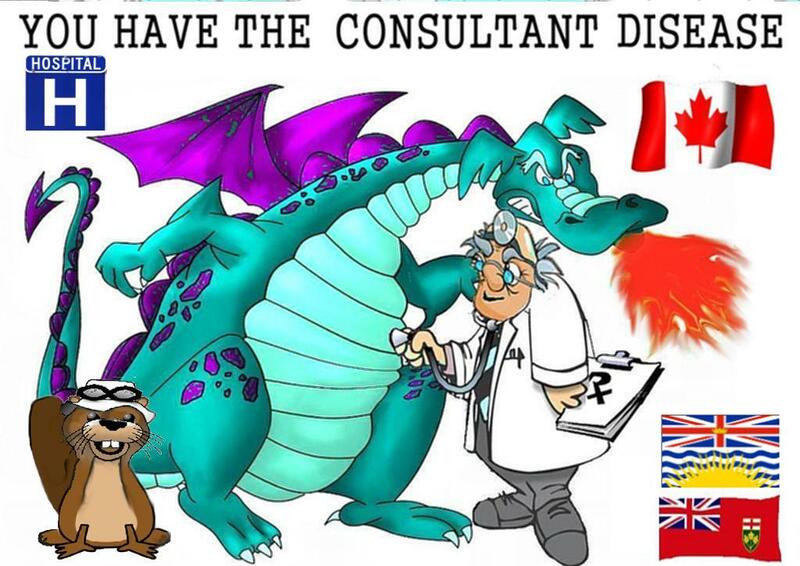 and watch out for more..
More than 3,000 appointments have been made since the Harper government took office. 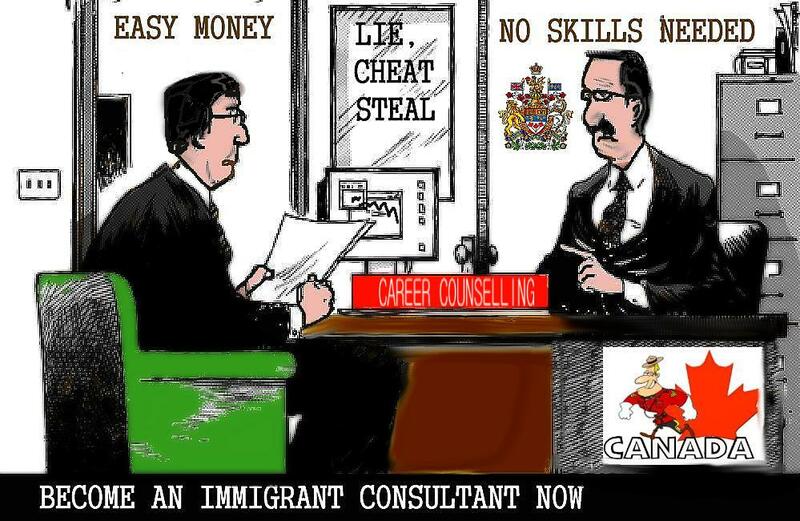 Immigration Minister Jason Kenney’s named of Raminder Gill as a citizenship judge, a job which has a top salary of $102,800 a year. 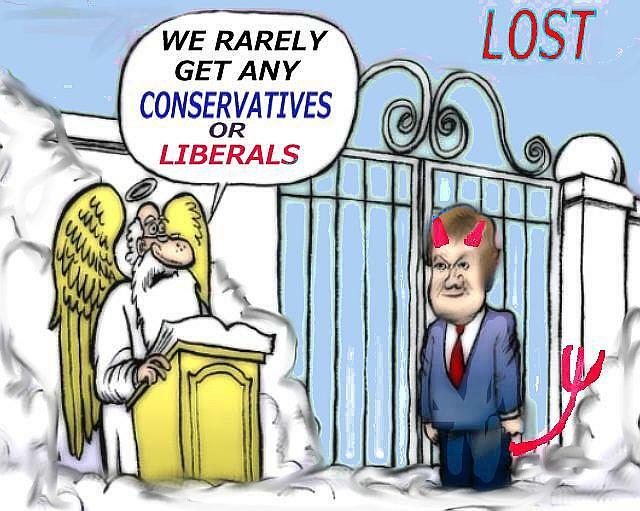 Gill ran and lost three times as a federal Conservative candidate and had also served as a Progressive Conservative in the Ontario legislature. Kenney made two appointments to the Immigration and Refugee Board. IRB members earn a top salary of $116,800 a year. 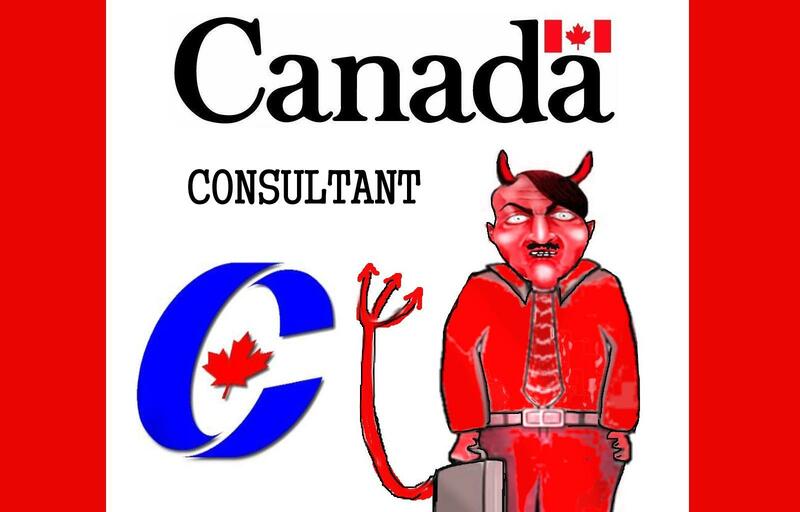 One of those new IRB members is a failed Conservative candidate, Gilles Guenette, and the other donated $1,000 to the Conservative party in 2004. All appointments are based on Conservative merit, This is the promised Conservative accountability and transparency . 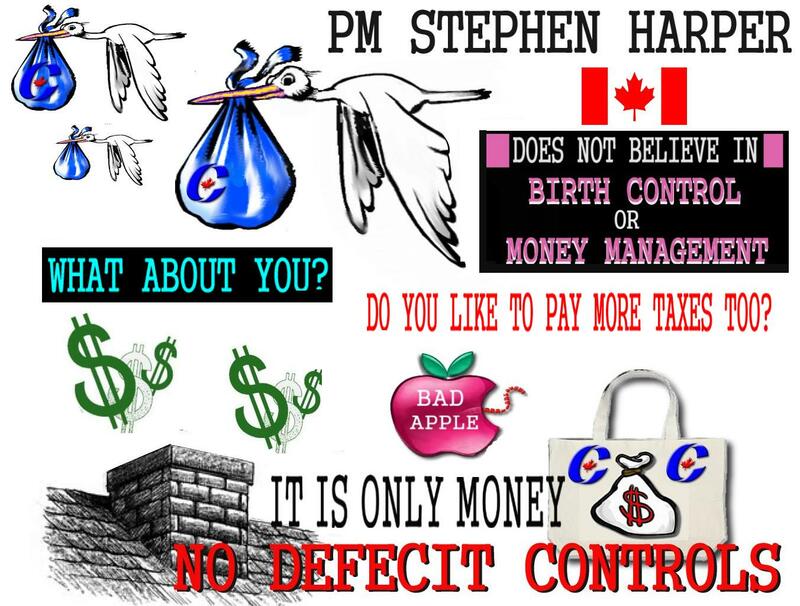 Government website links to Harper piano video; Libs outraged OTTAWA – What does Stephen Harper playing a piano and crooning a Beatles tune have to do with stimulating the sputtering economy? 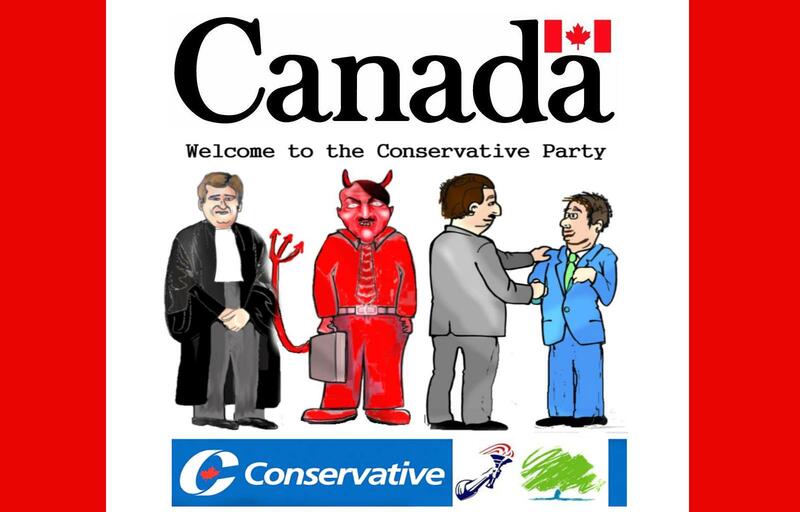 PROMISED TRANSPERENCY AND ACCOUNTABLITY UNDER THE CONSERVATIVES IS A BIG FAT BAD JOKE..